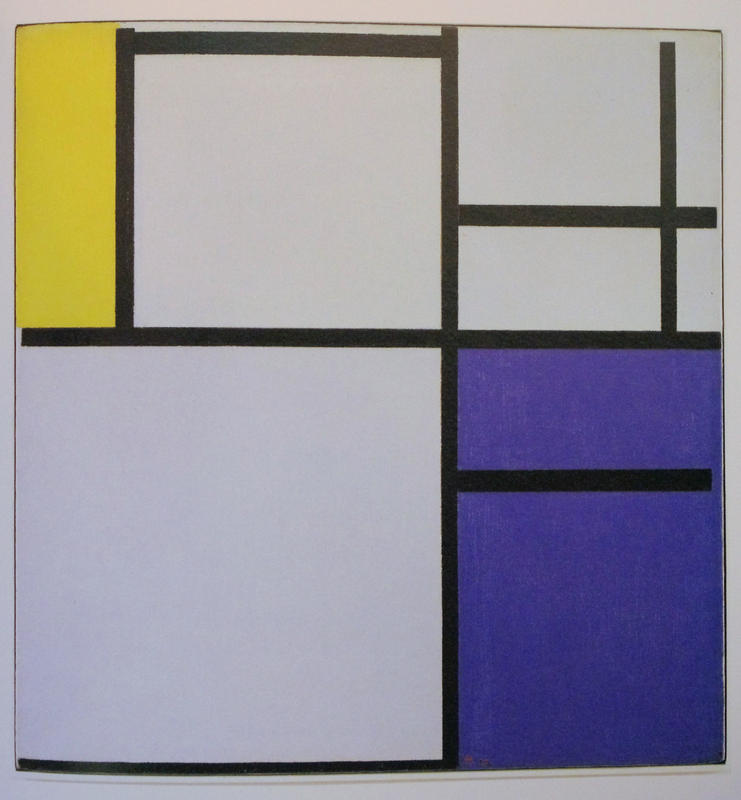 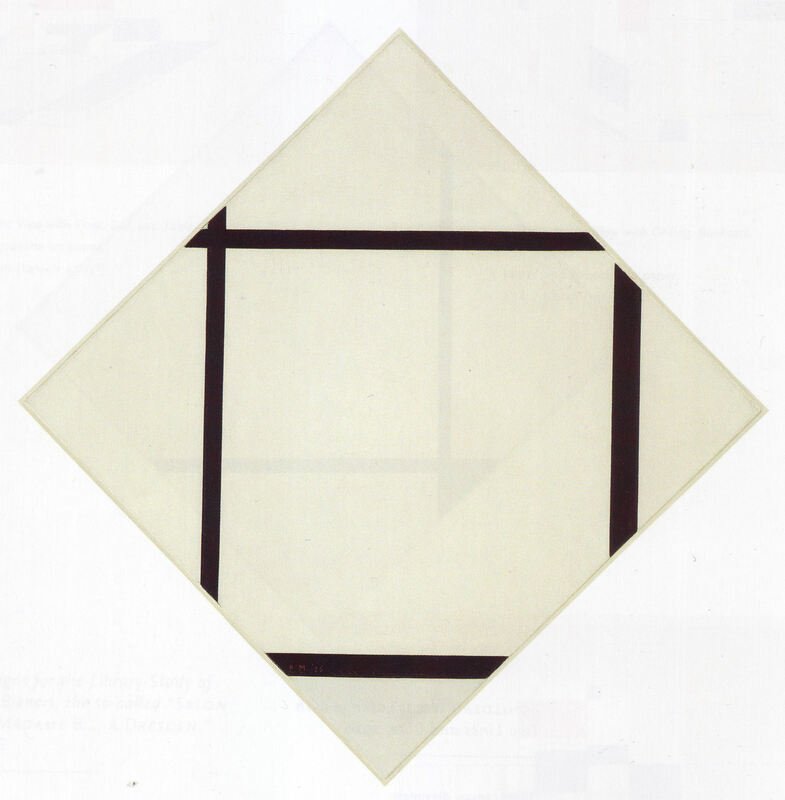 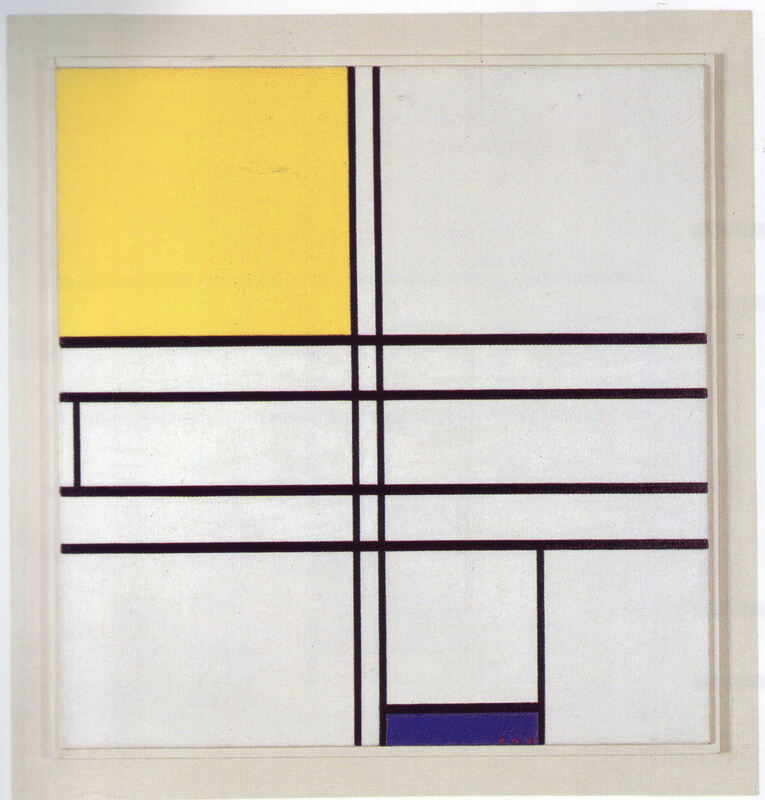 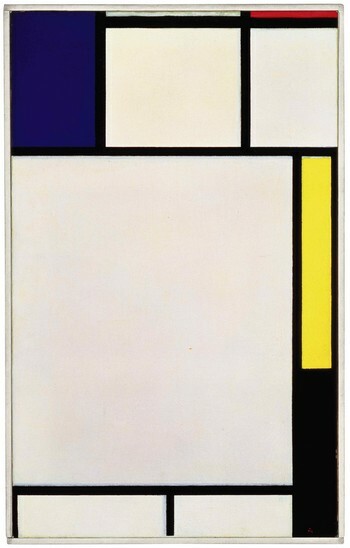 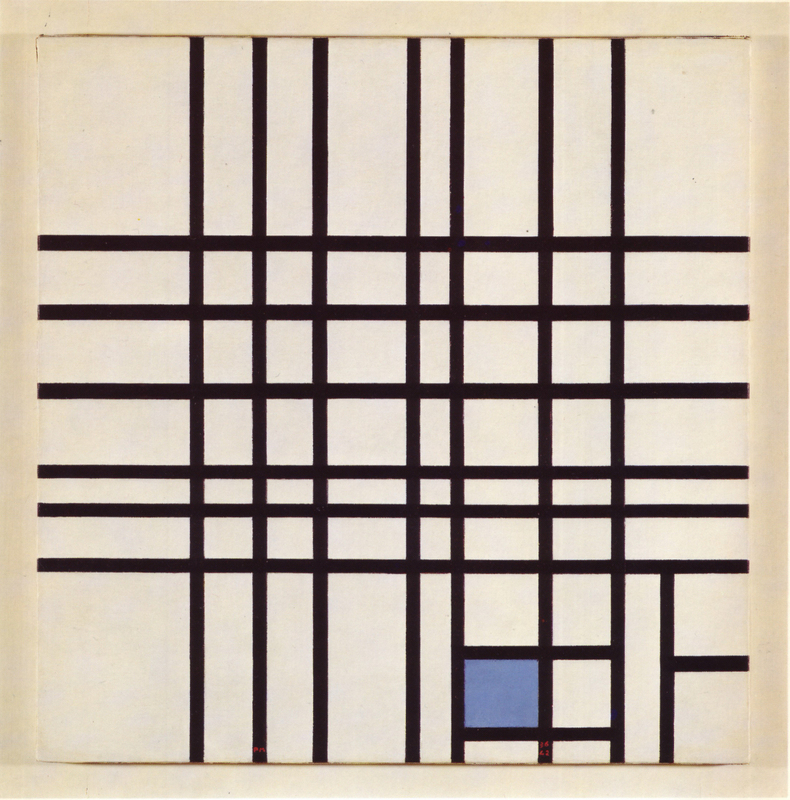 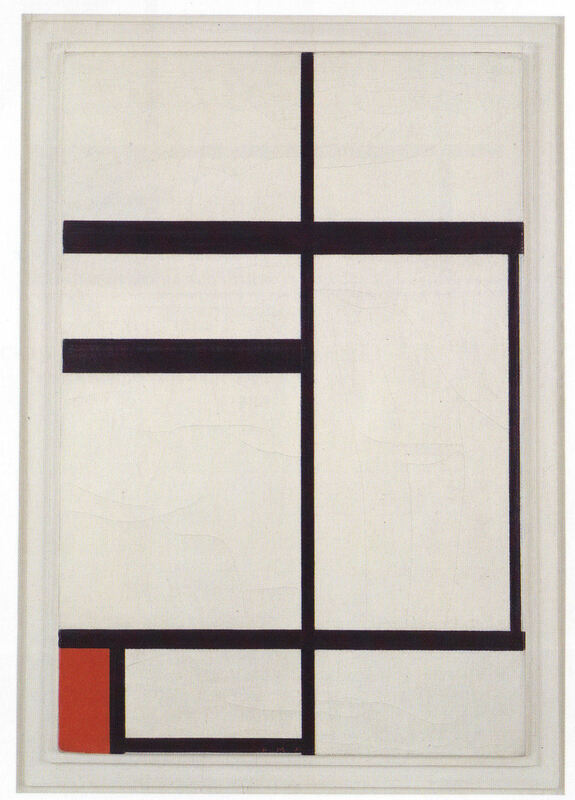 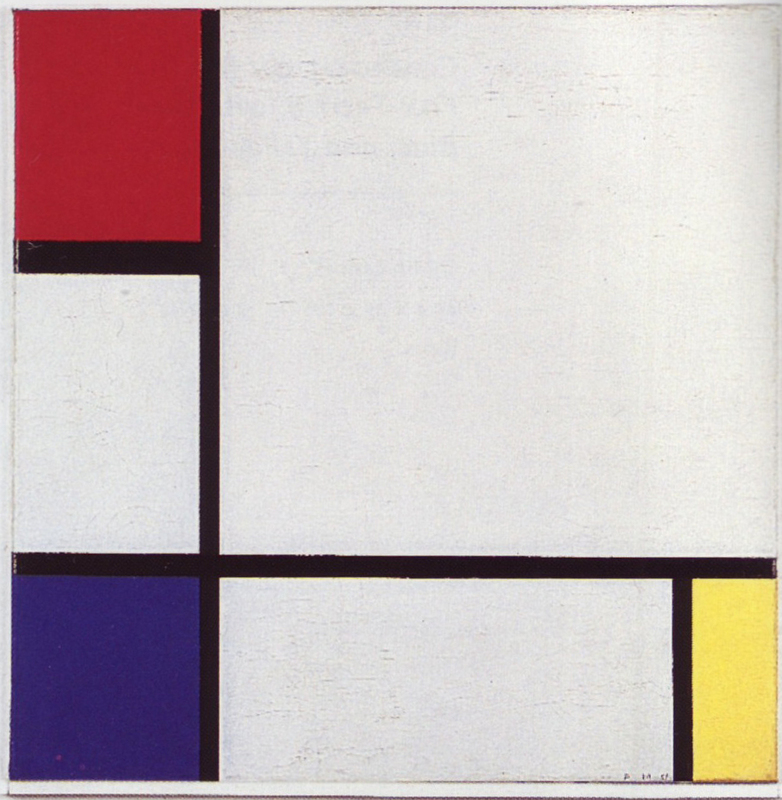 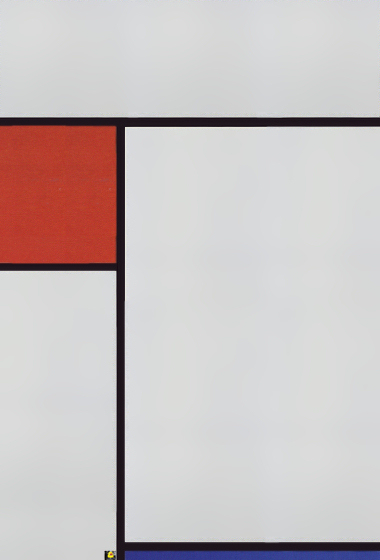 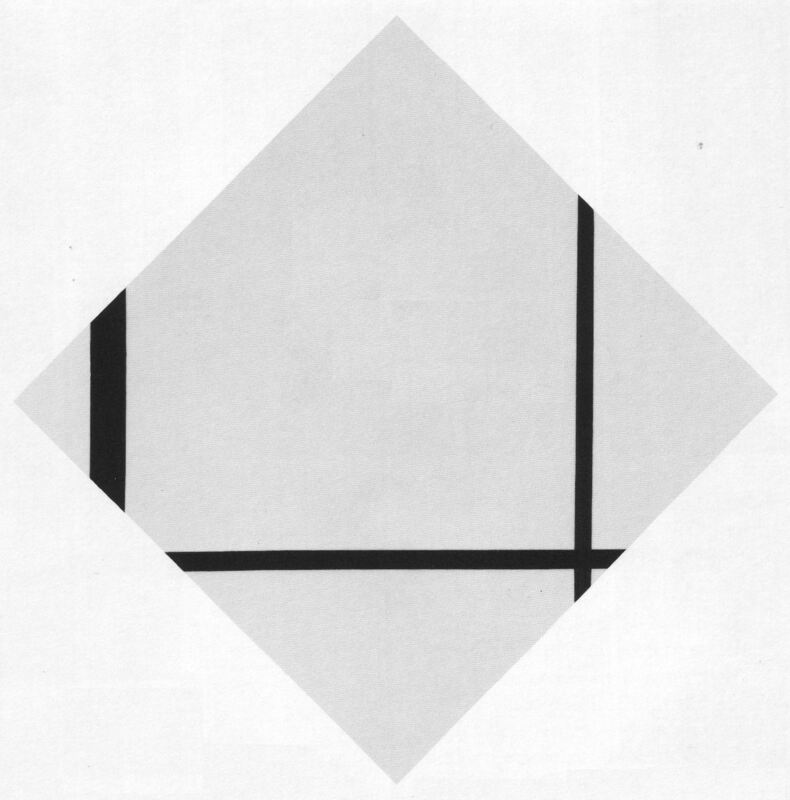 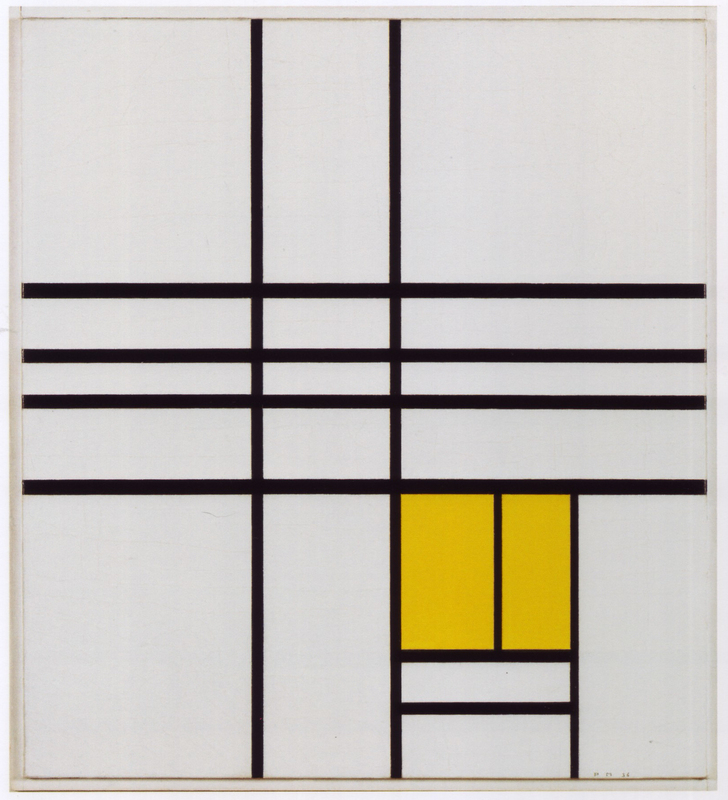 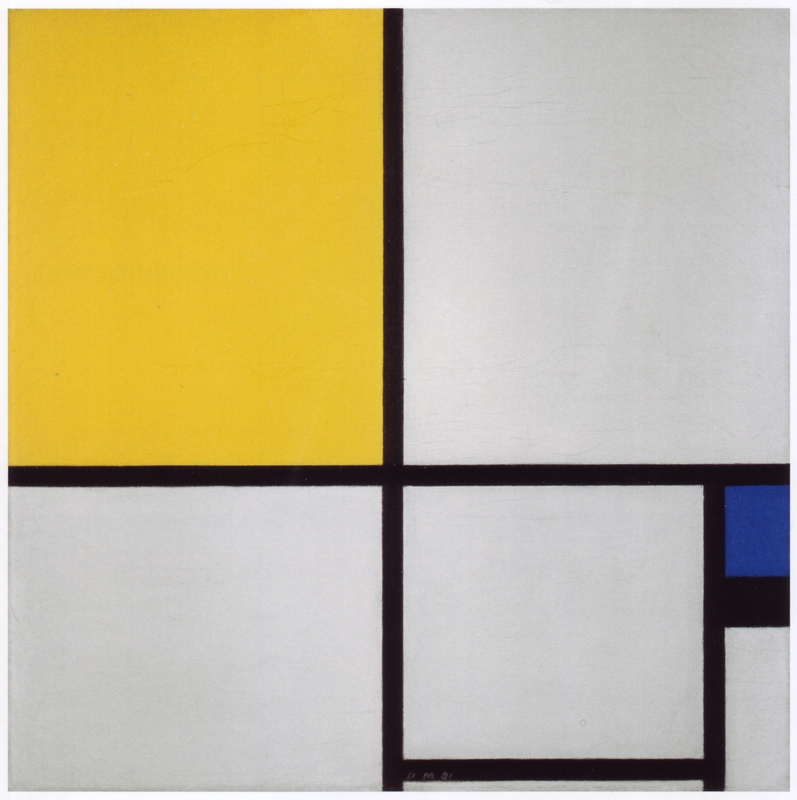 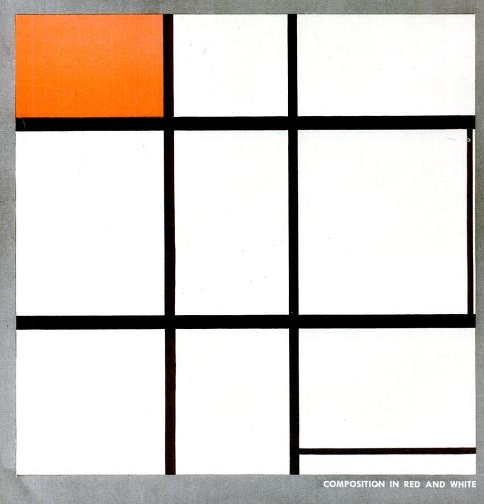 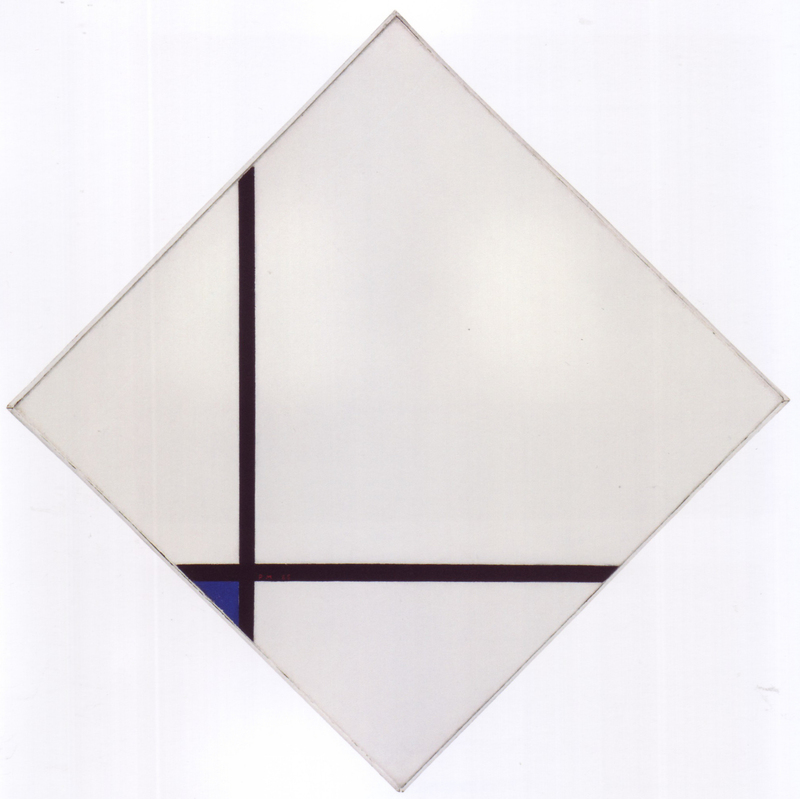 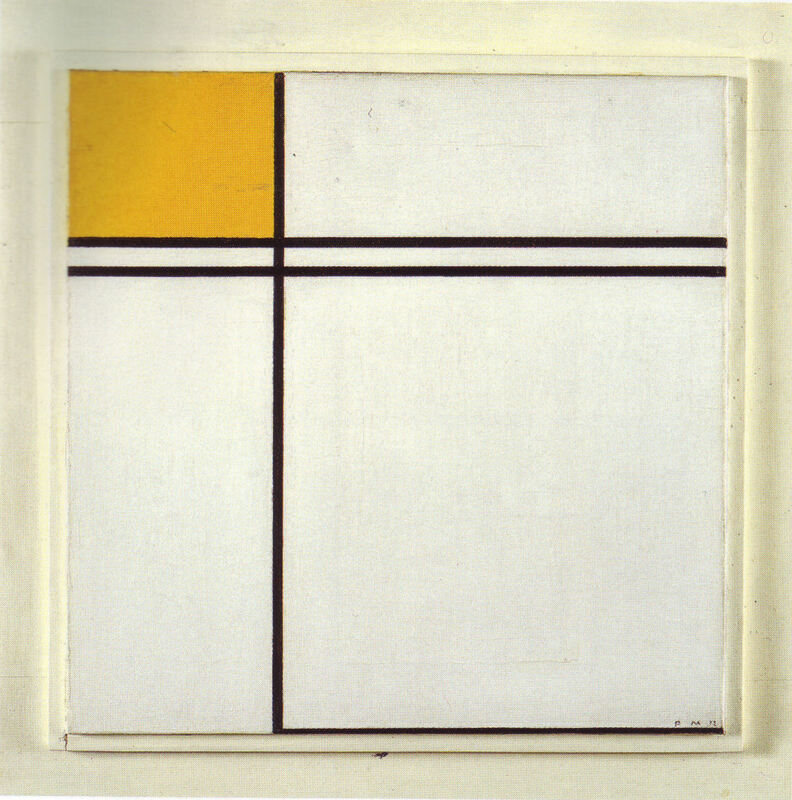 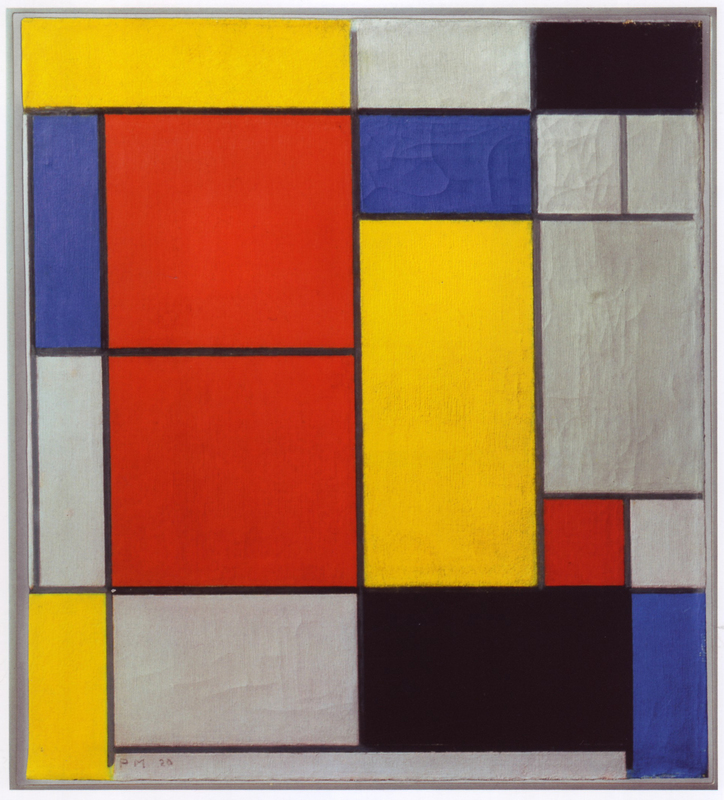 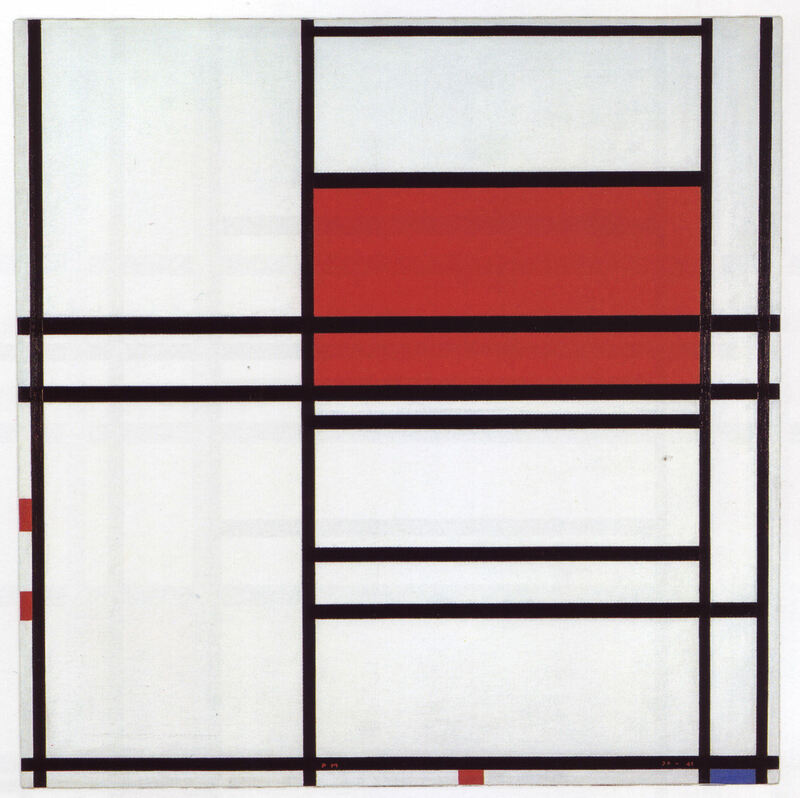 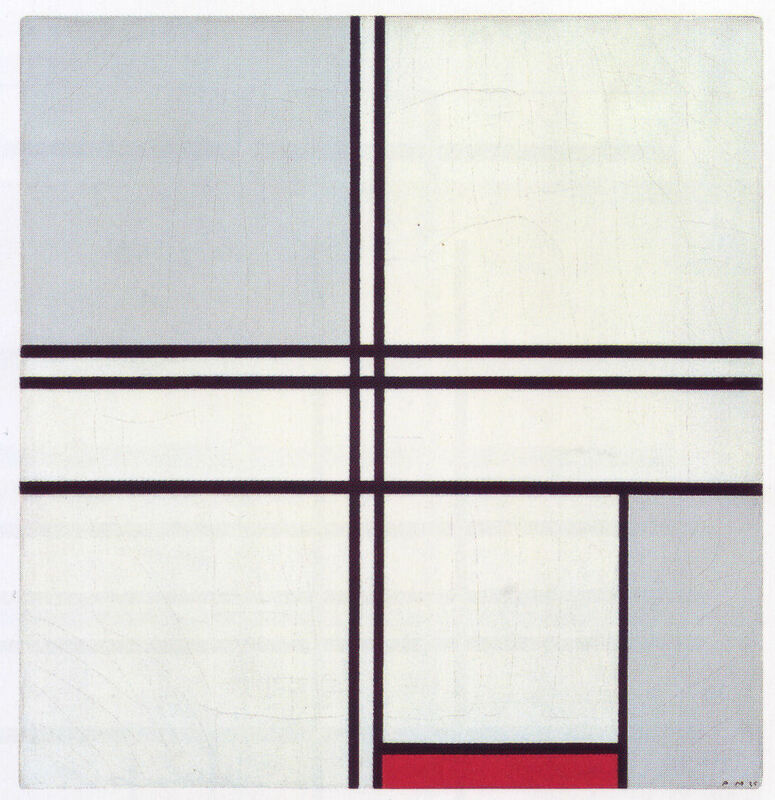 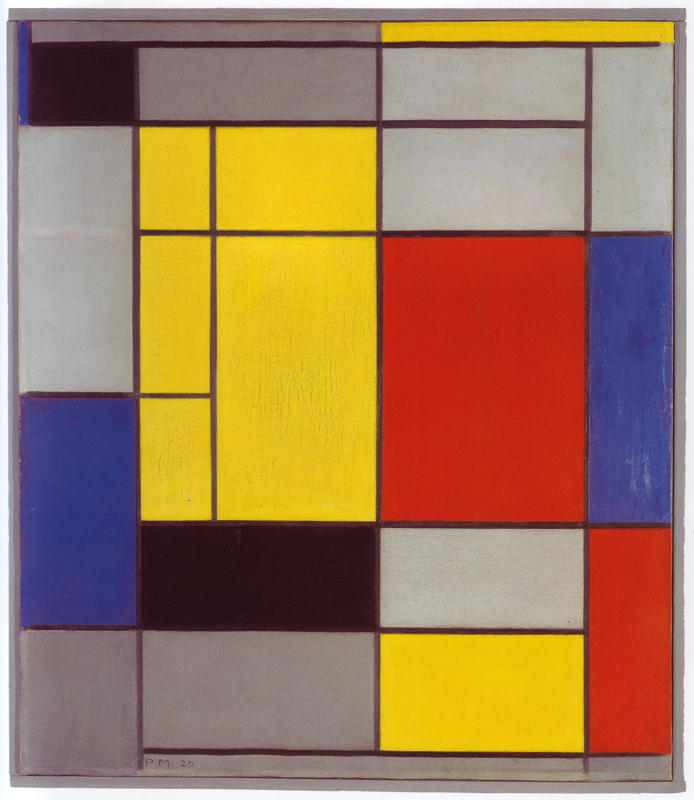 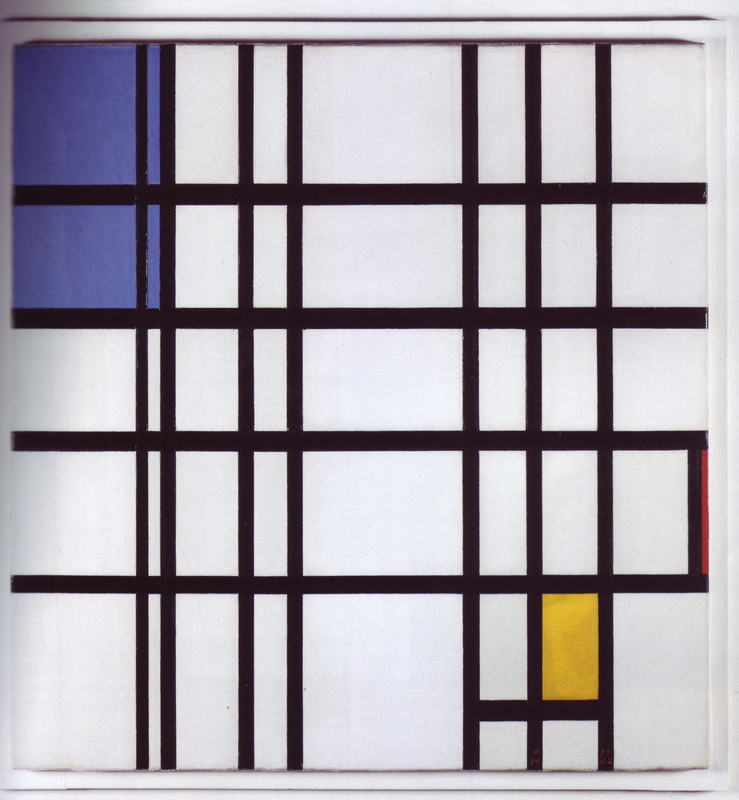 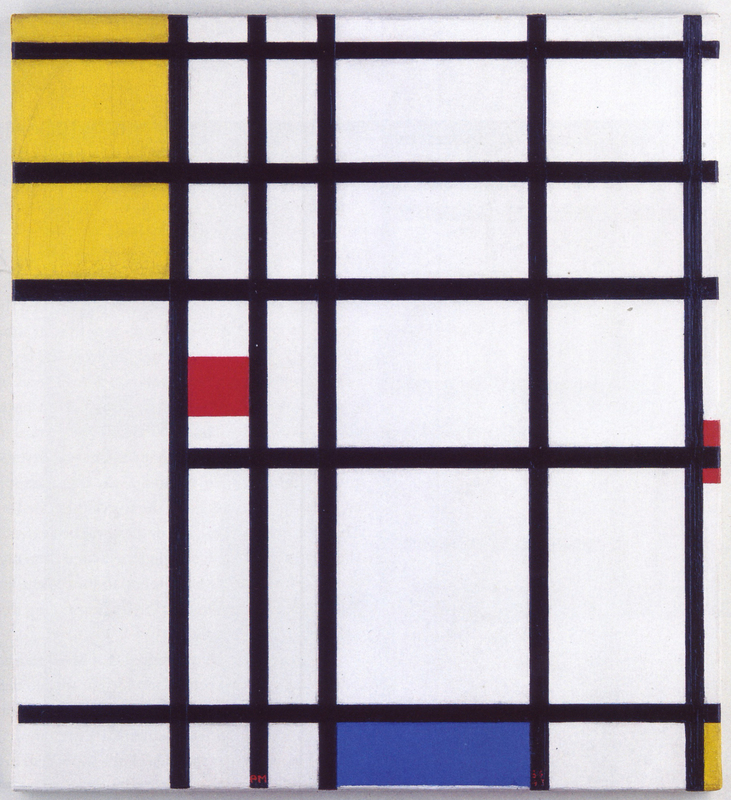 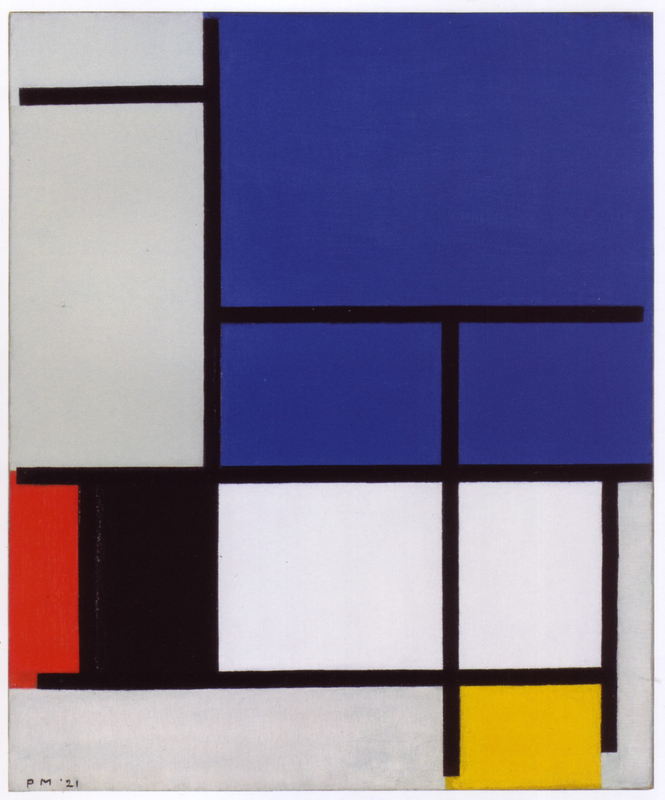 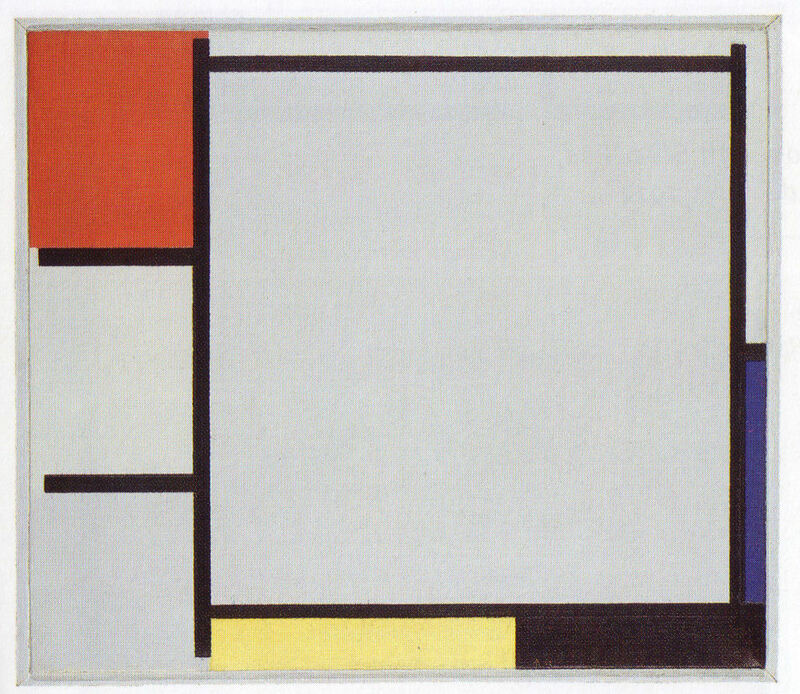 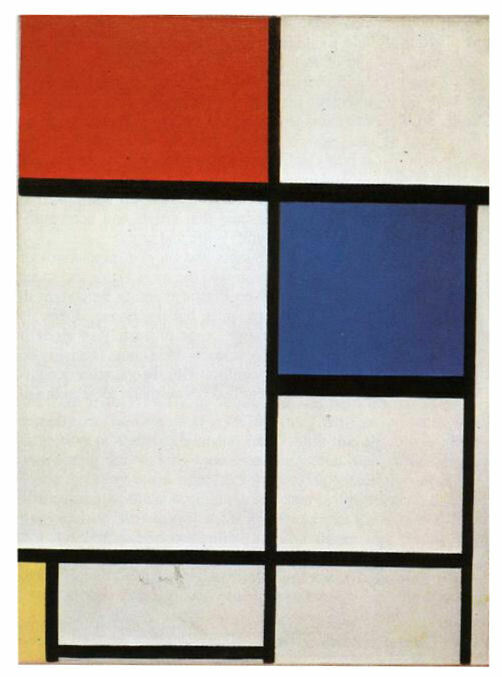 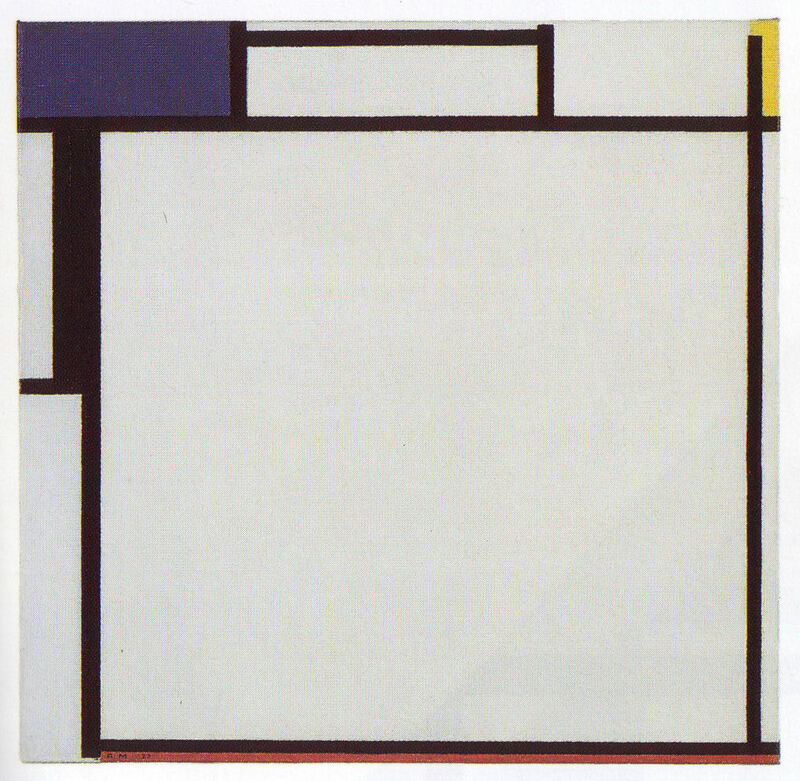 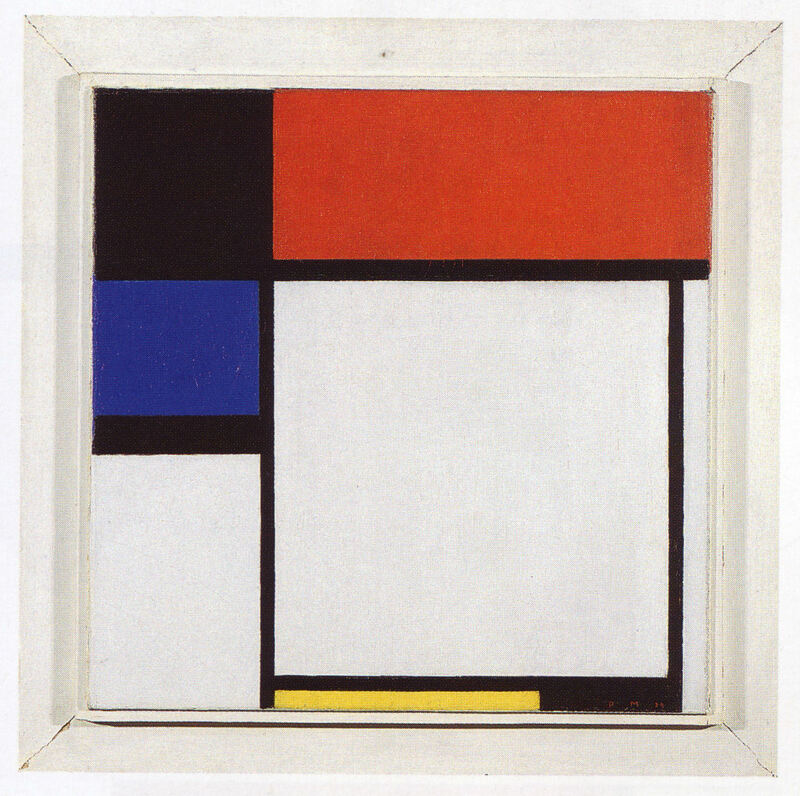 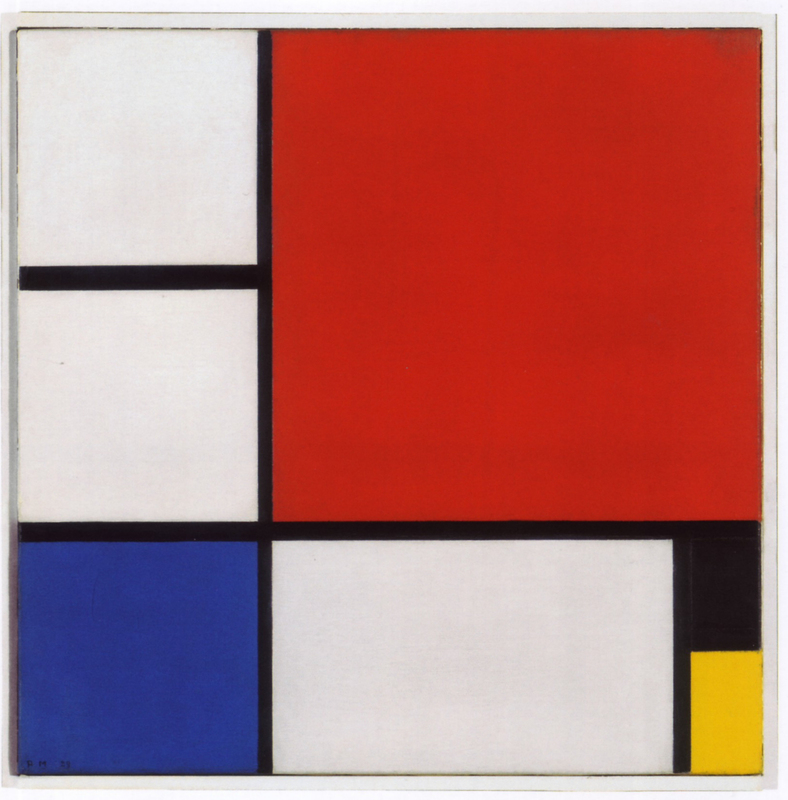 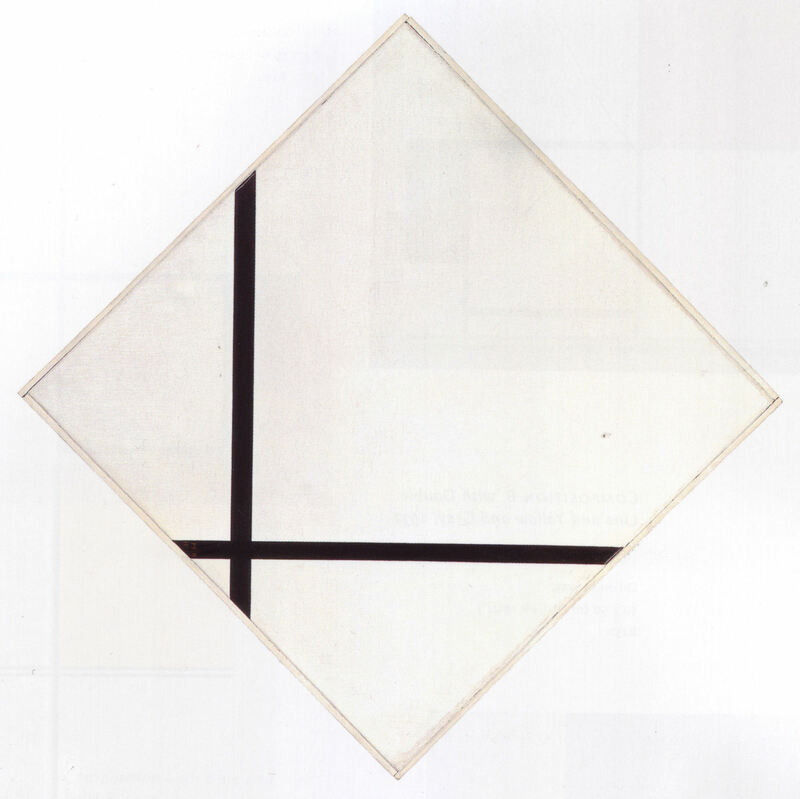 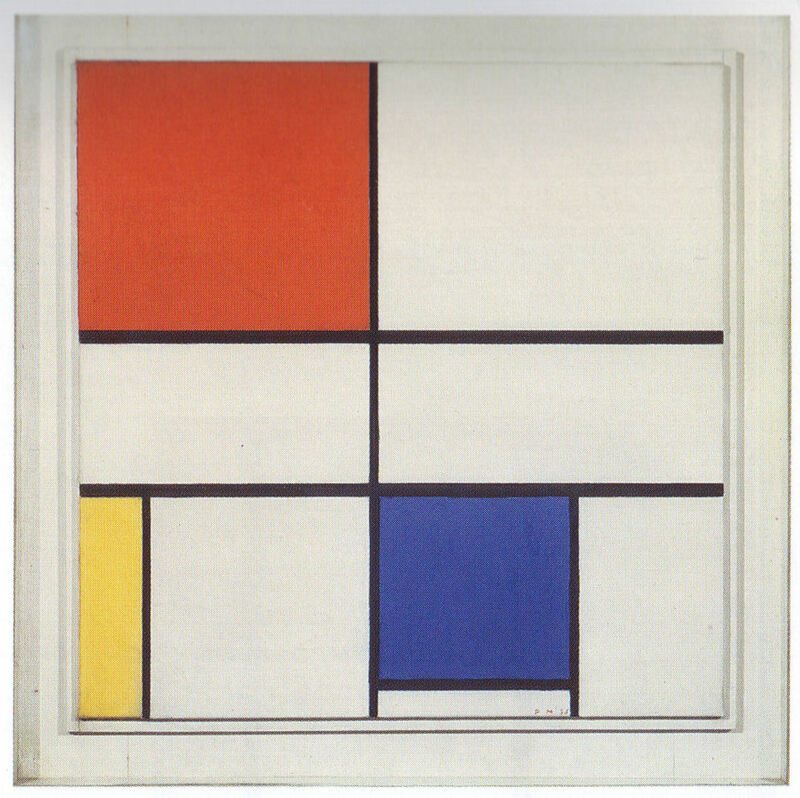 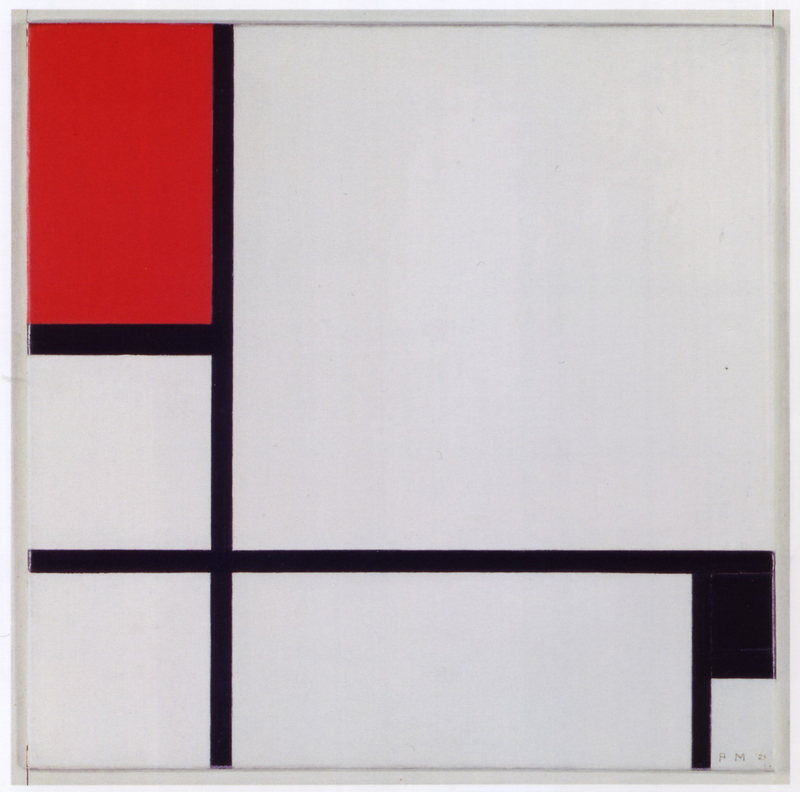 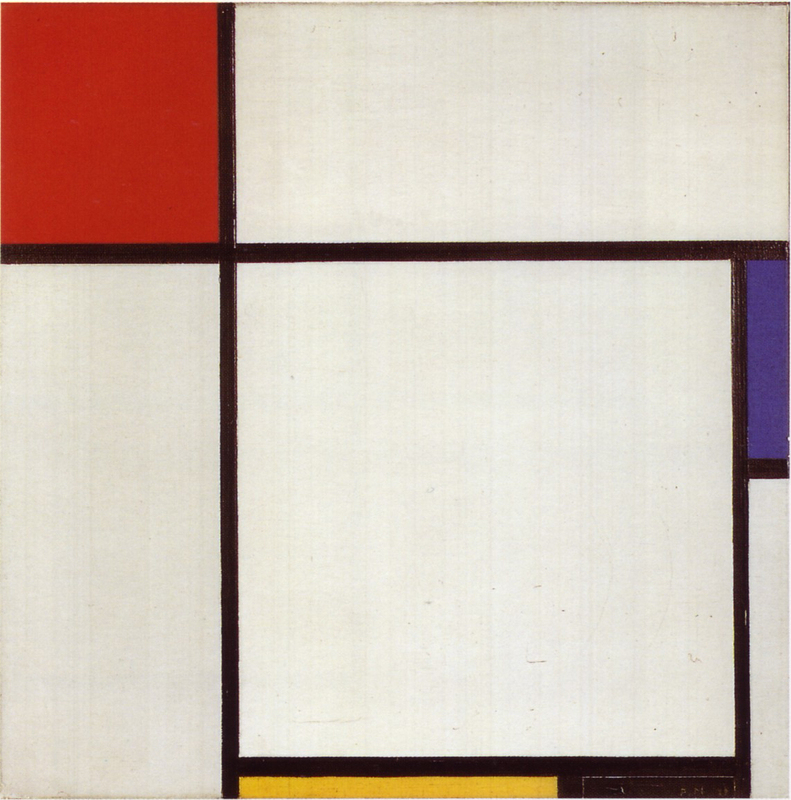 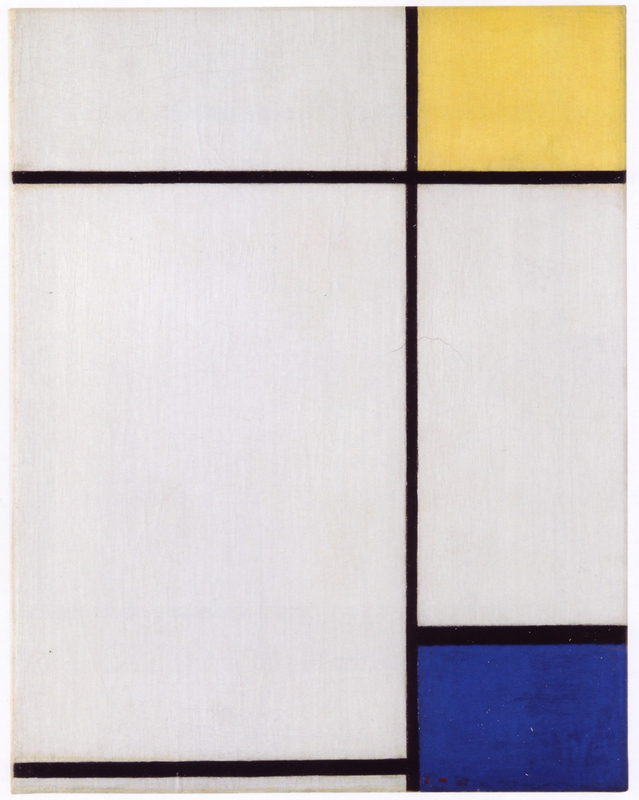 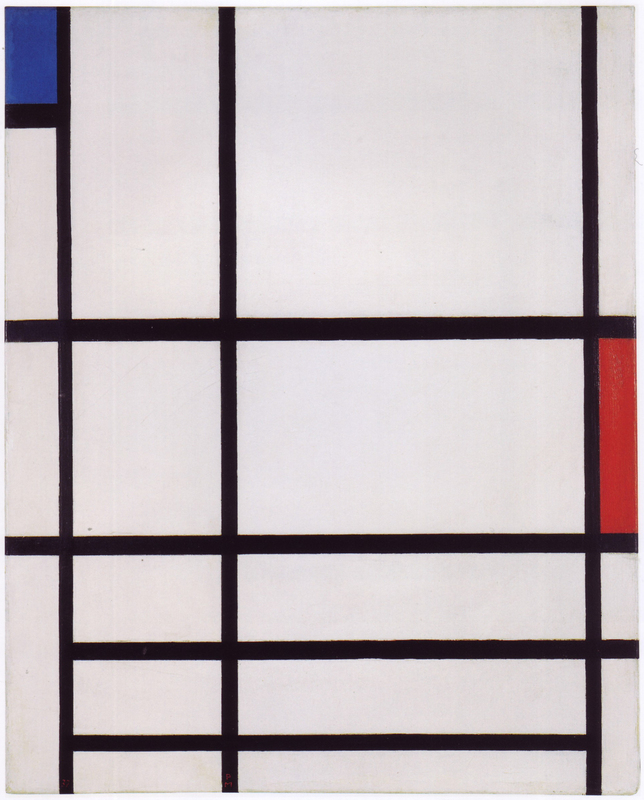 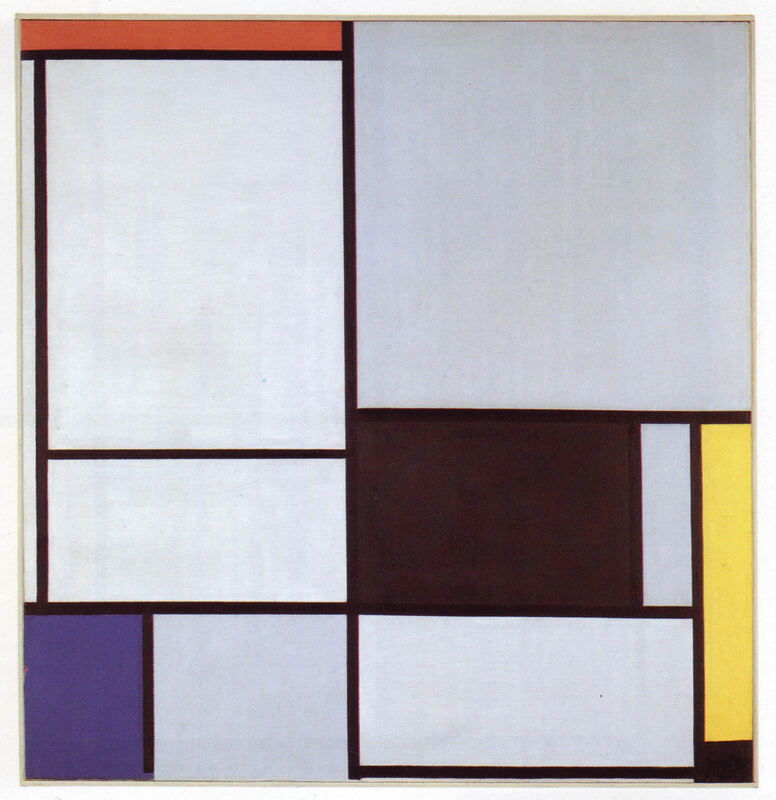 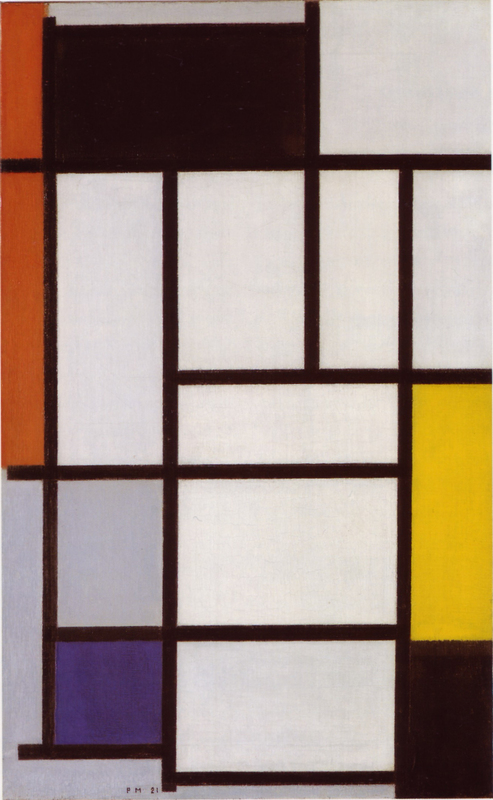 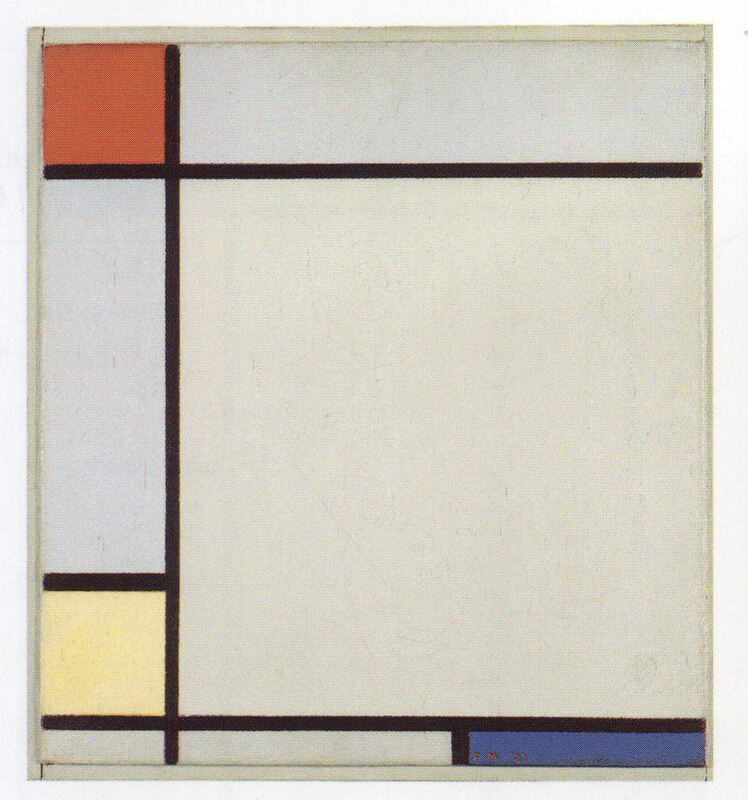 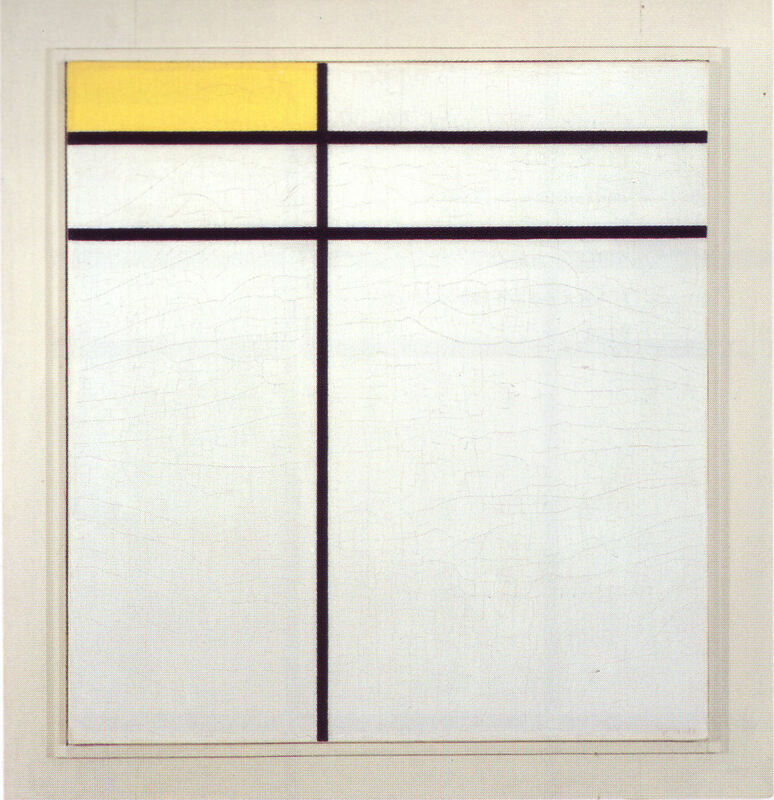 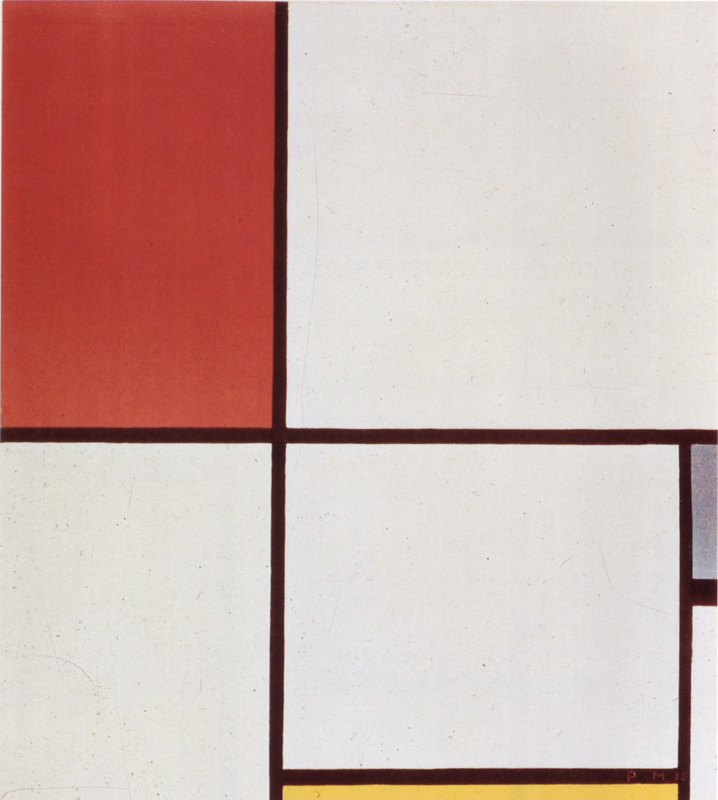 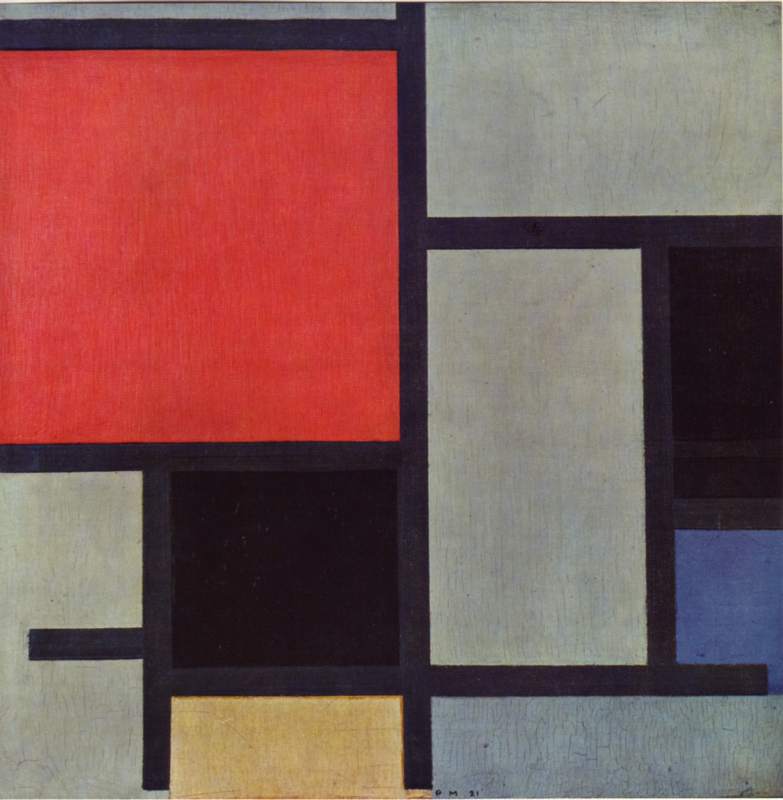 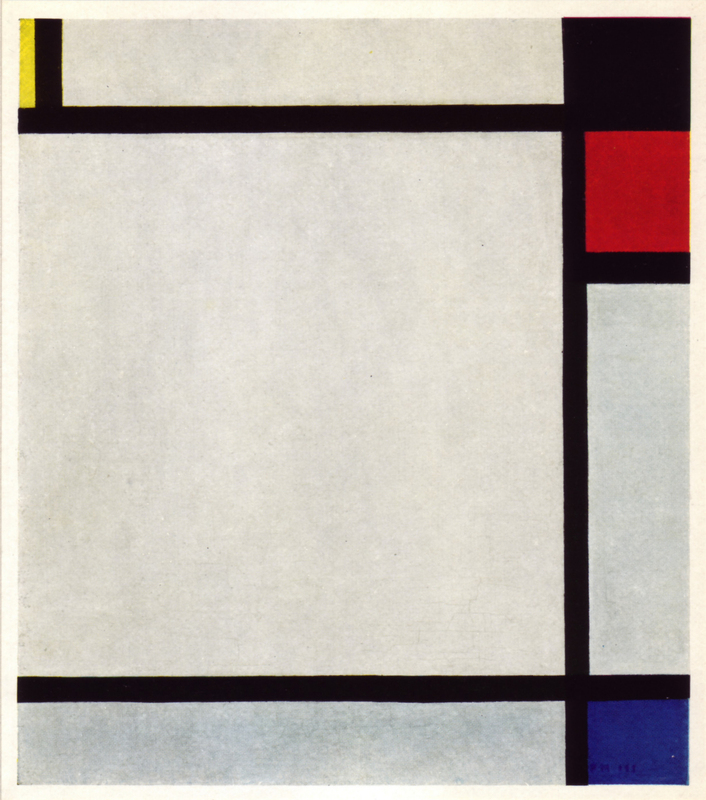 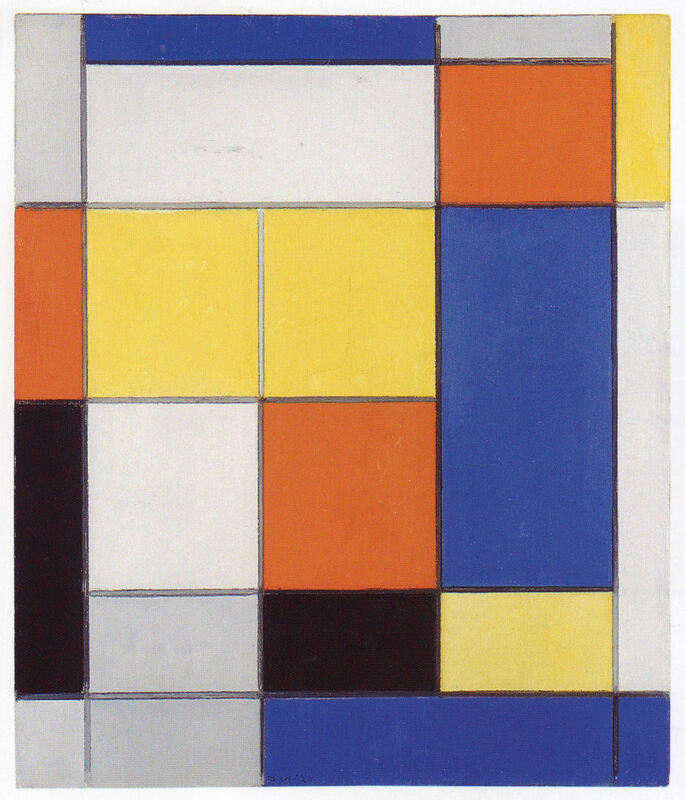 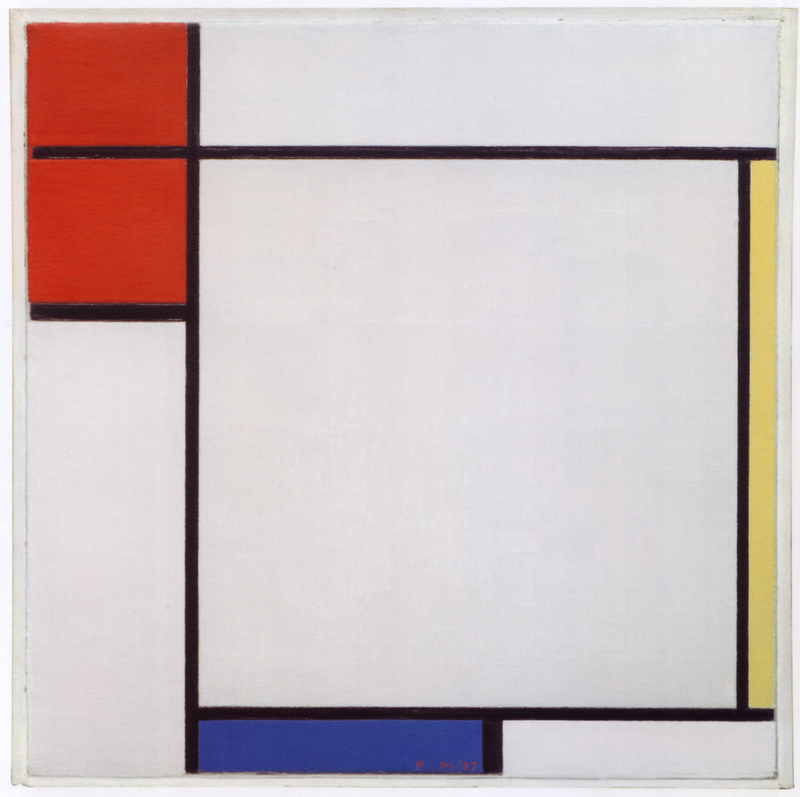 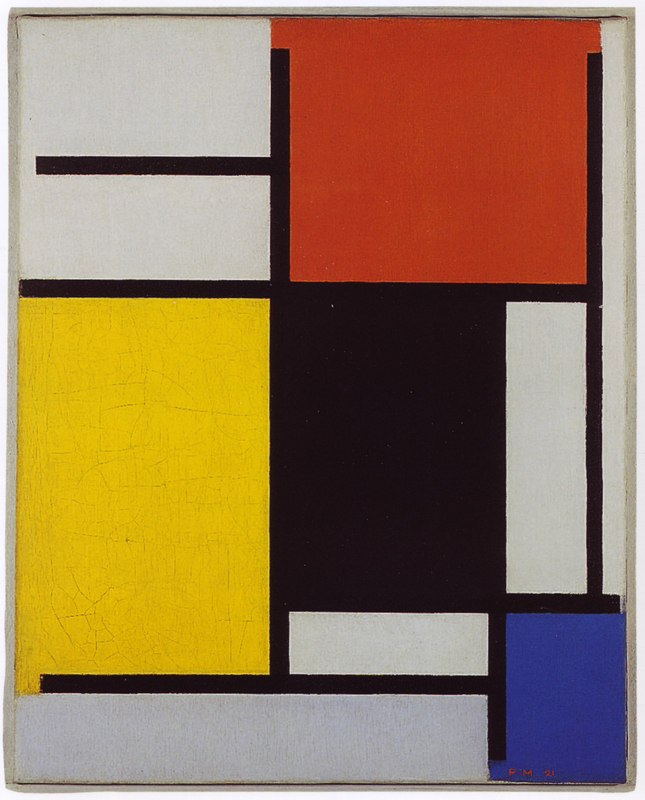 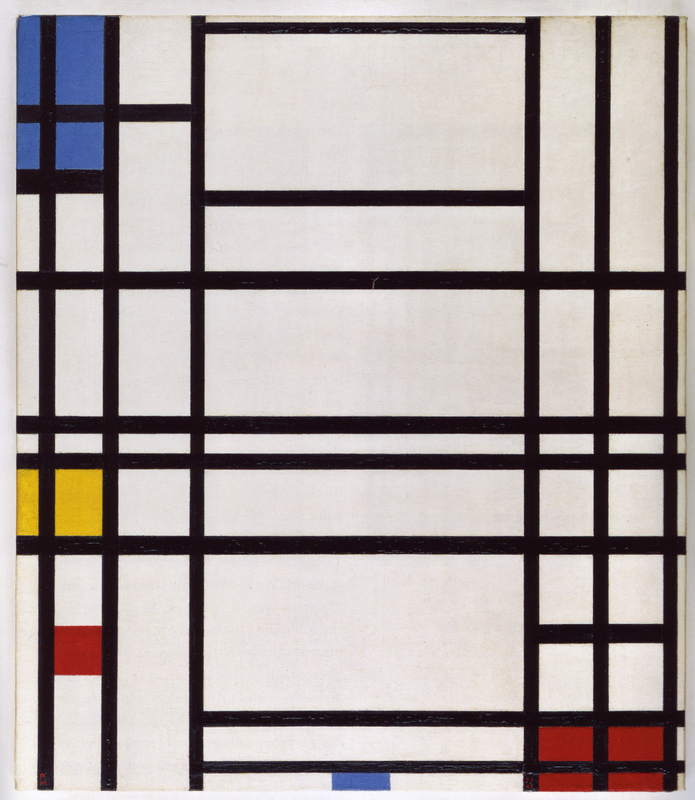 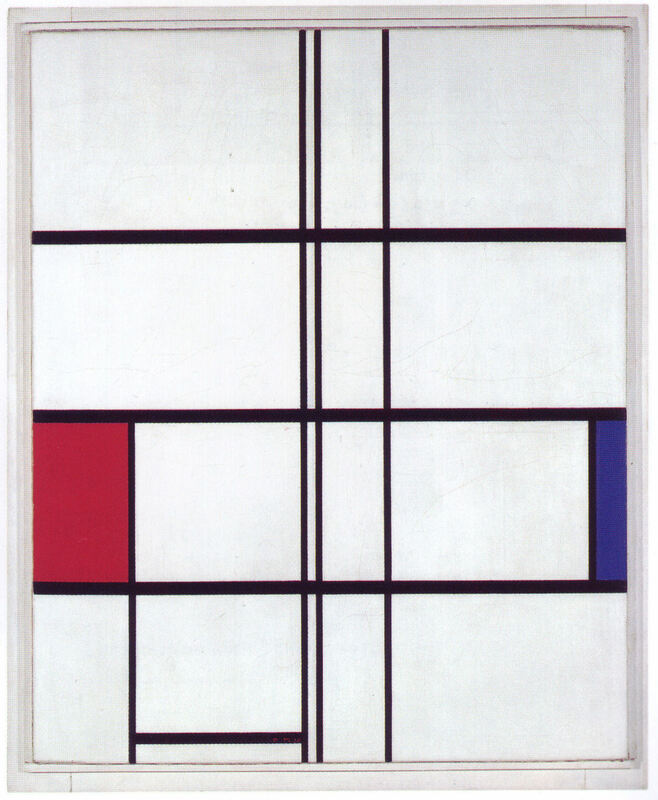 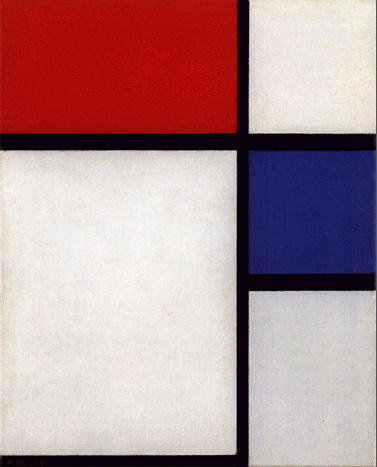 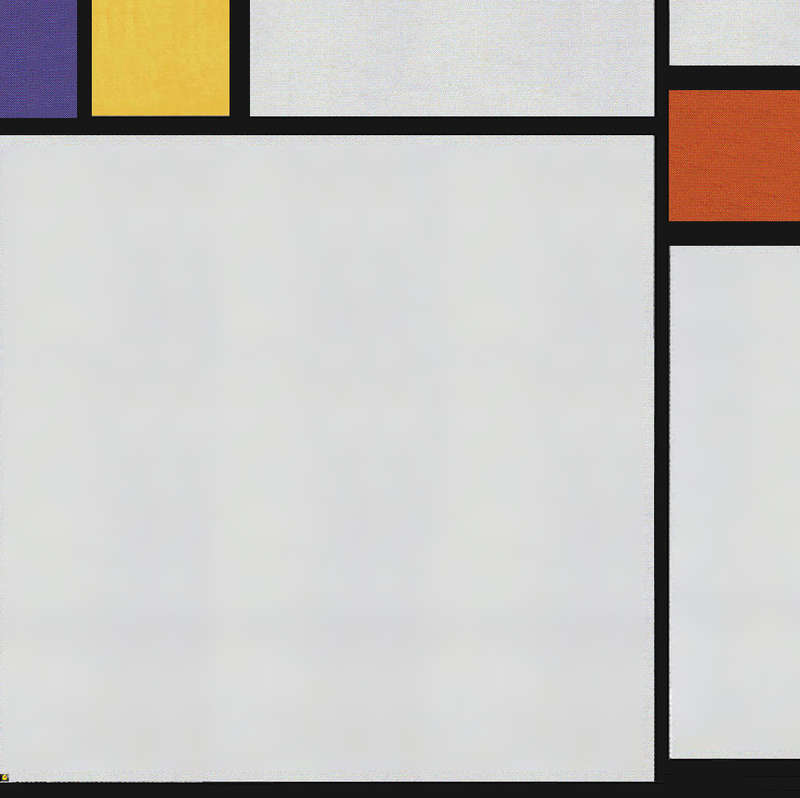 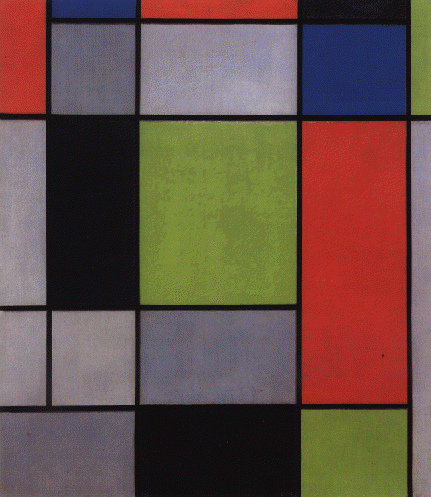 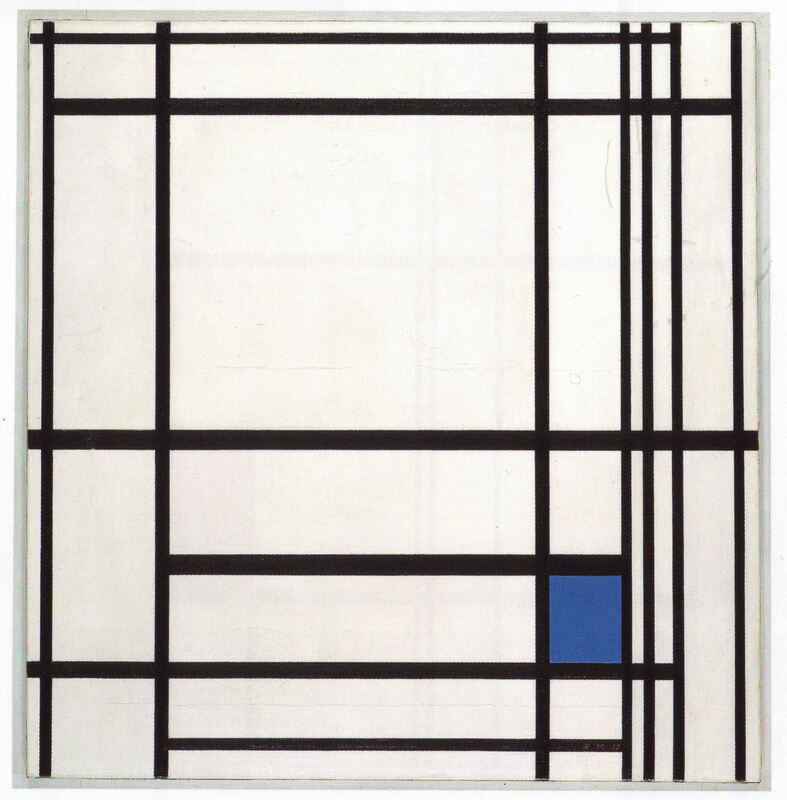 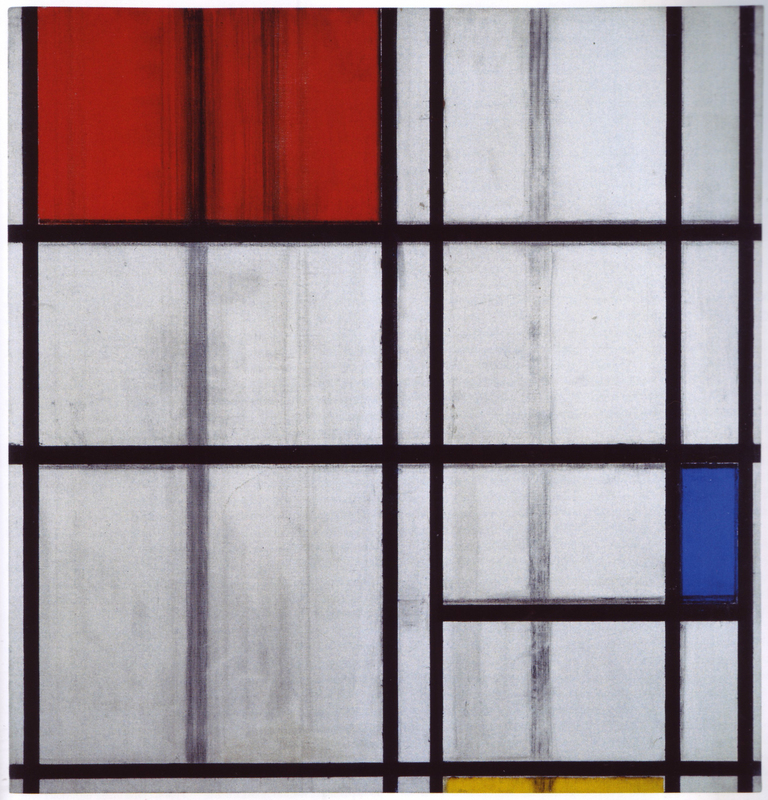 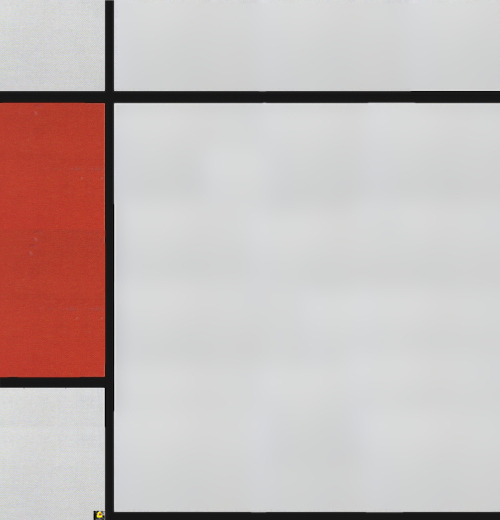 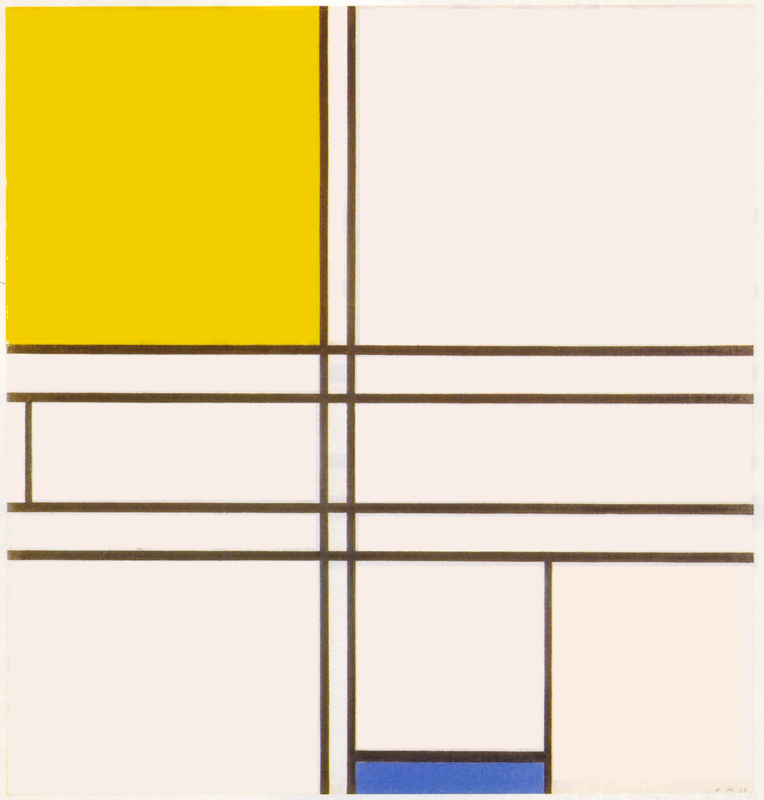 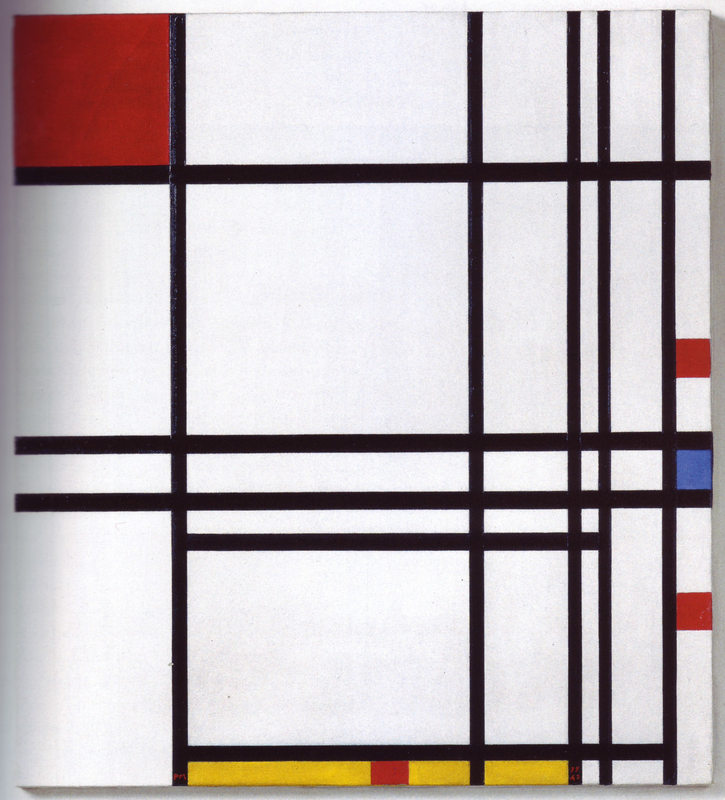 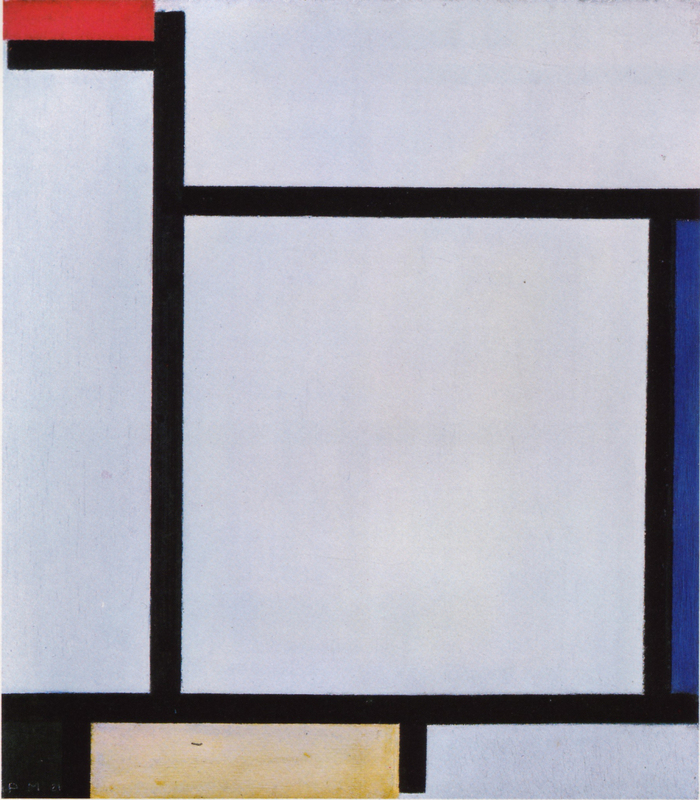 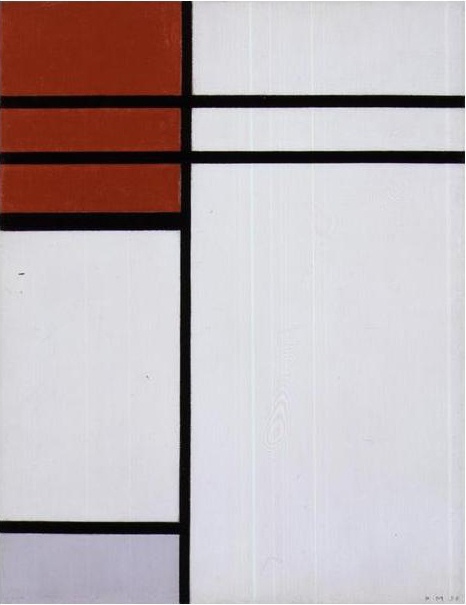 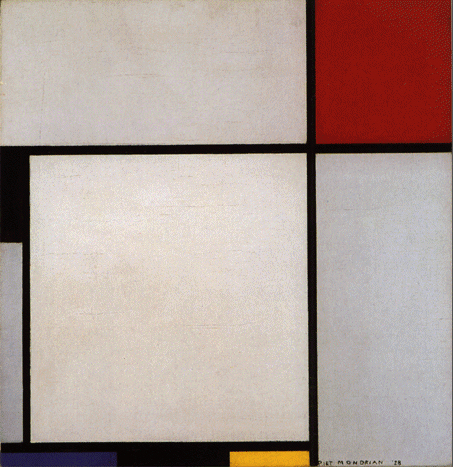 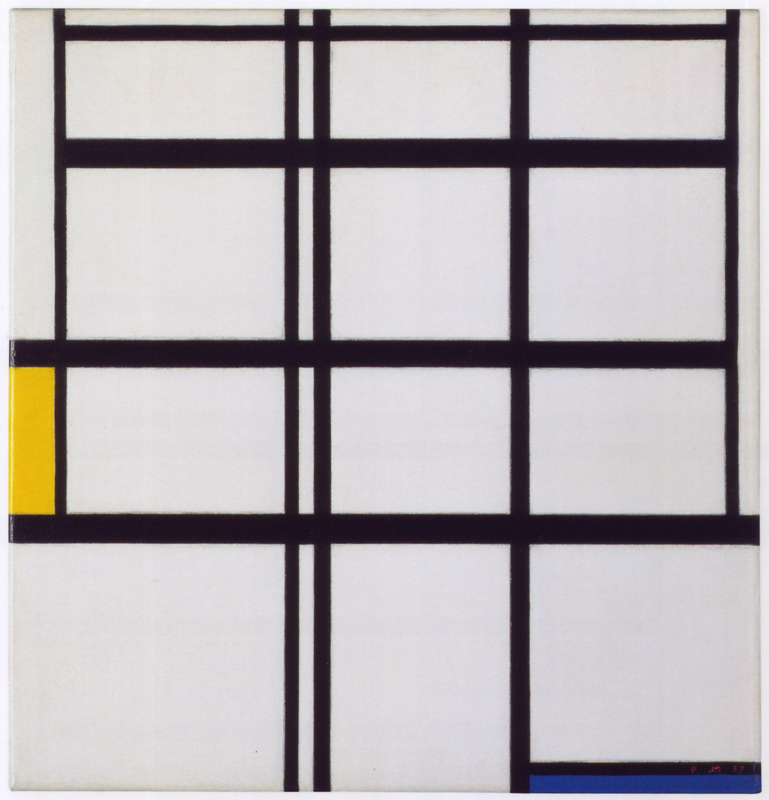 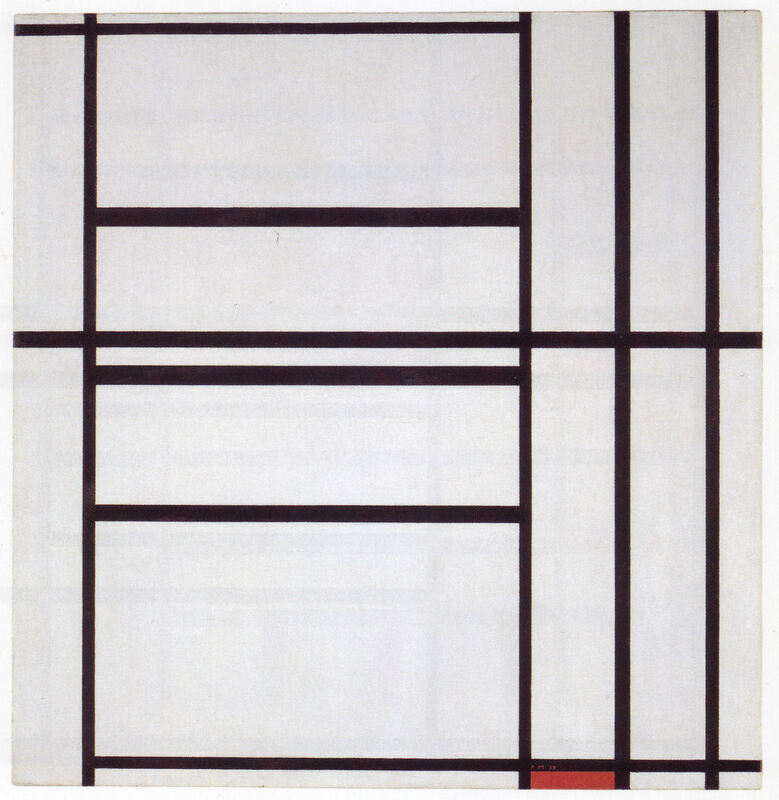 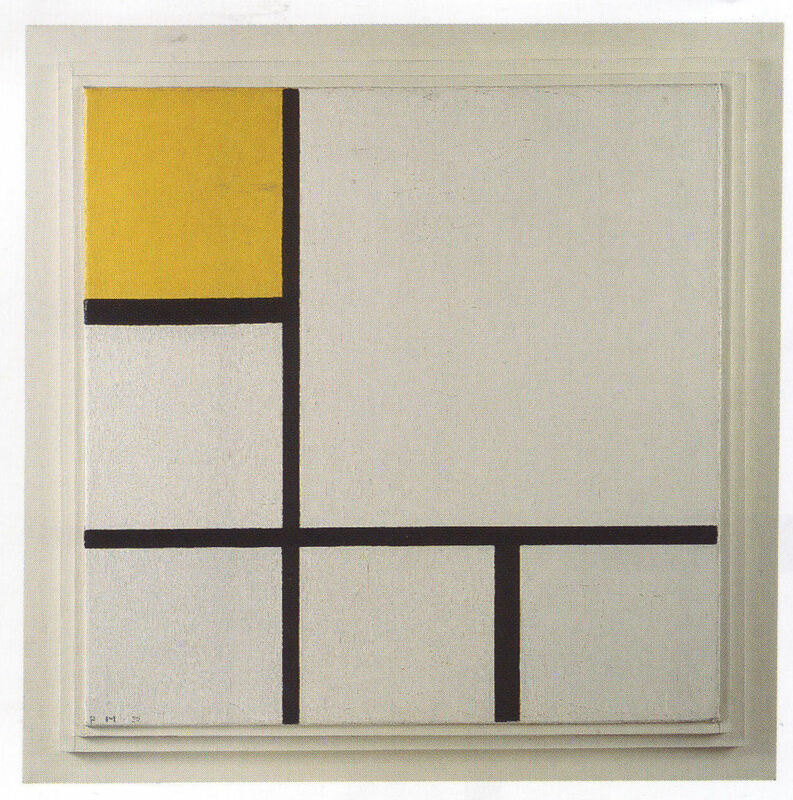 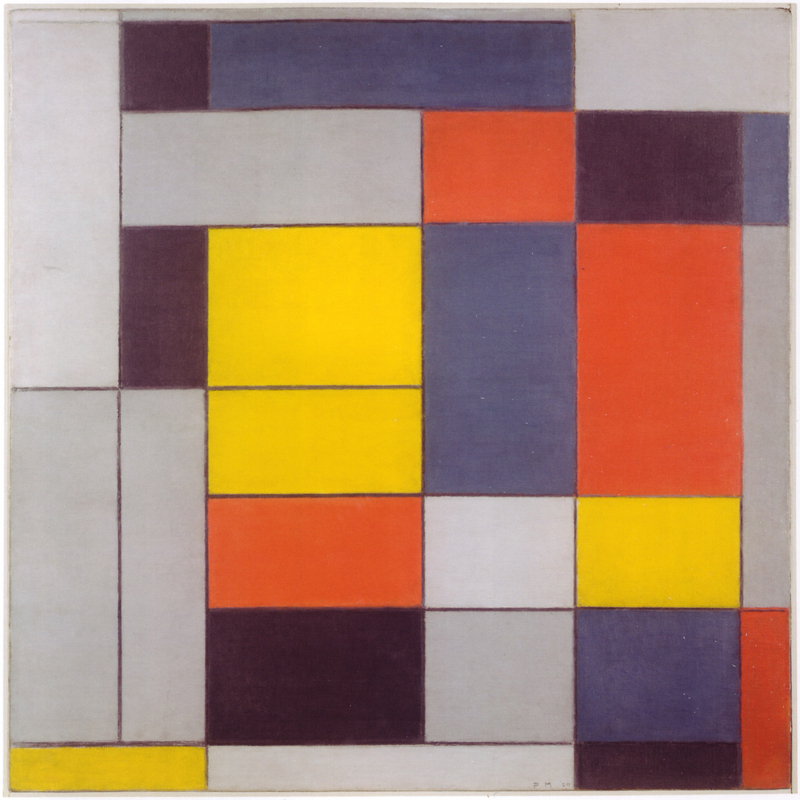 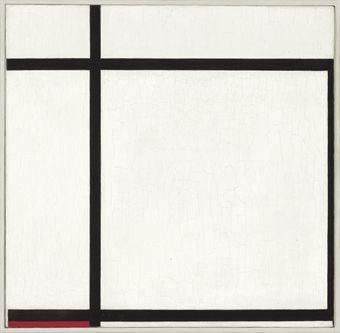 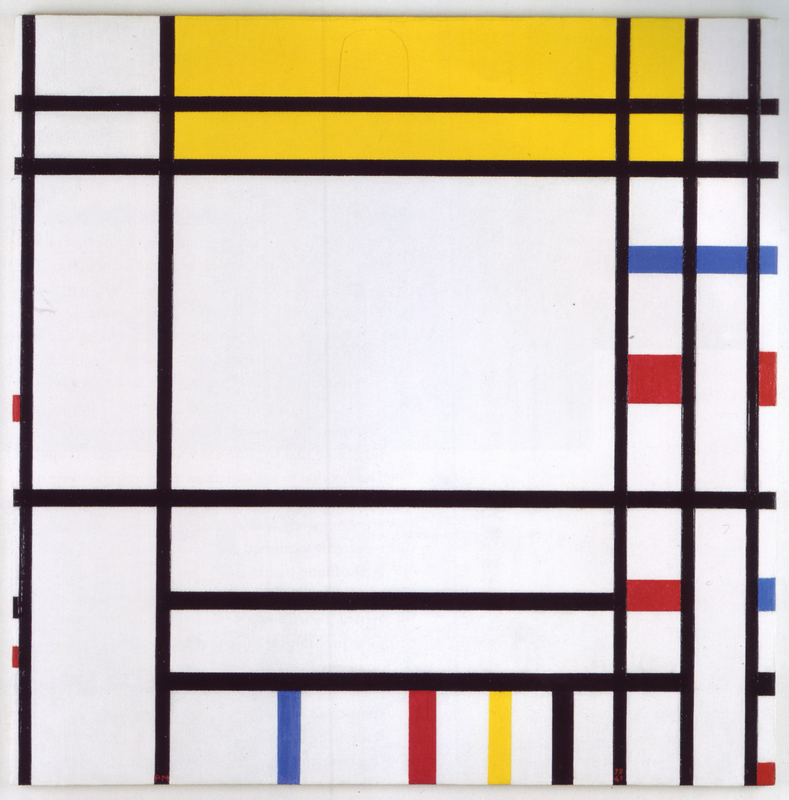 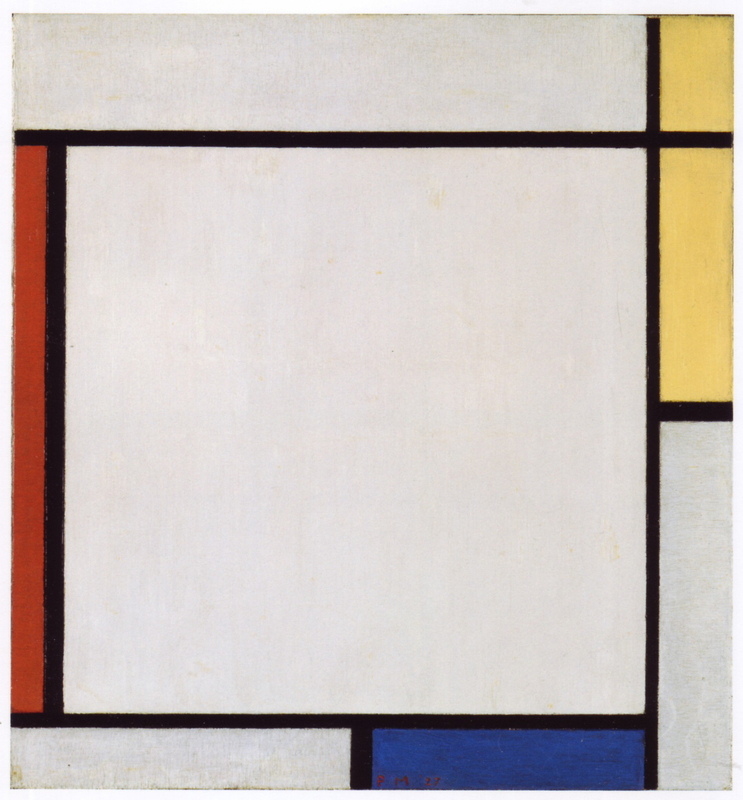 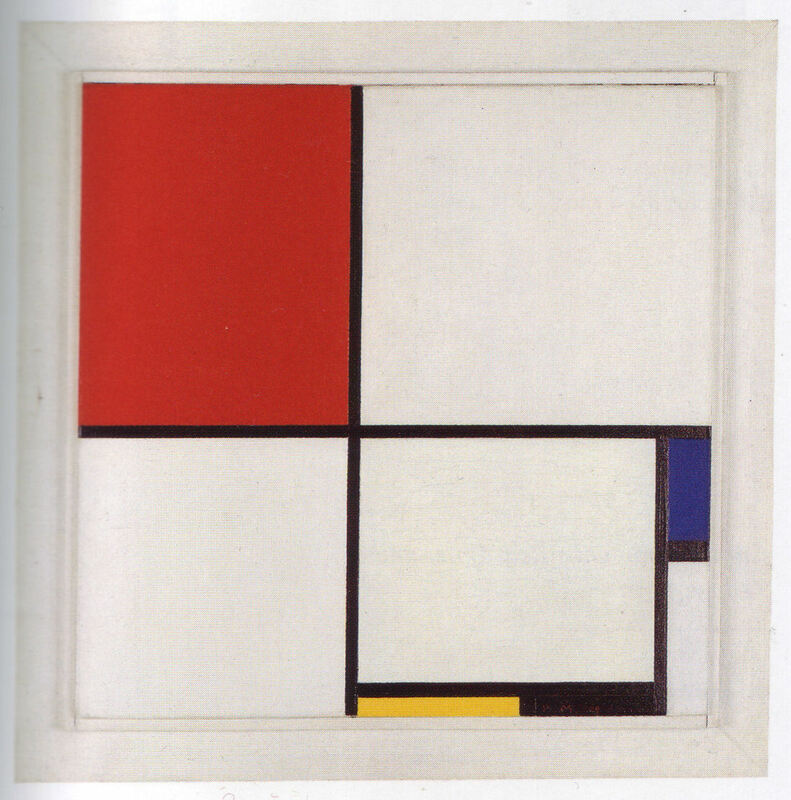 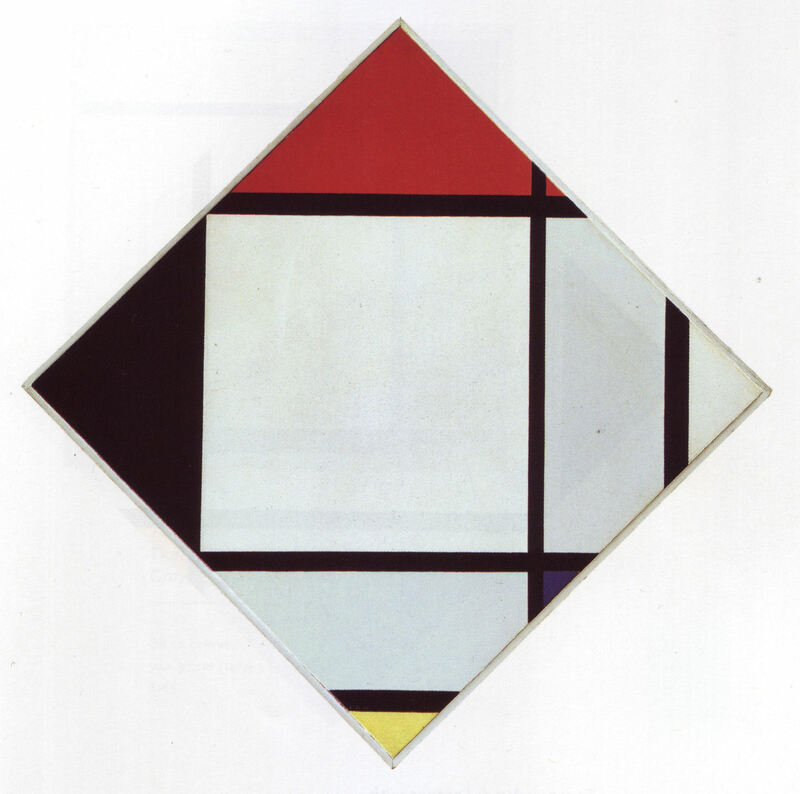 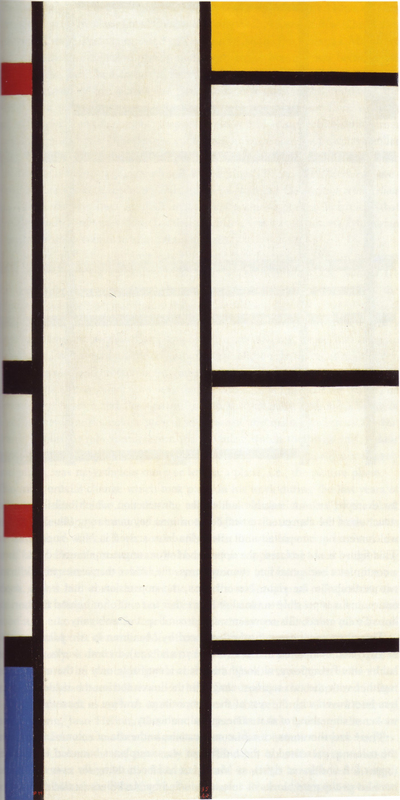 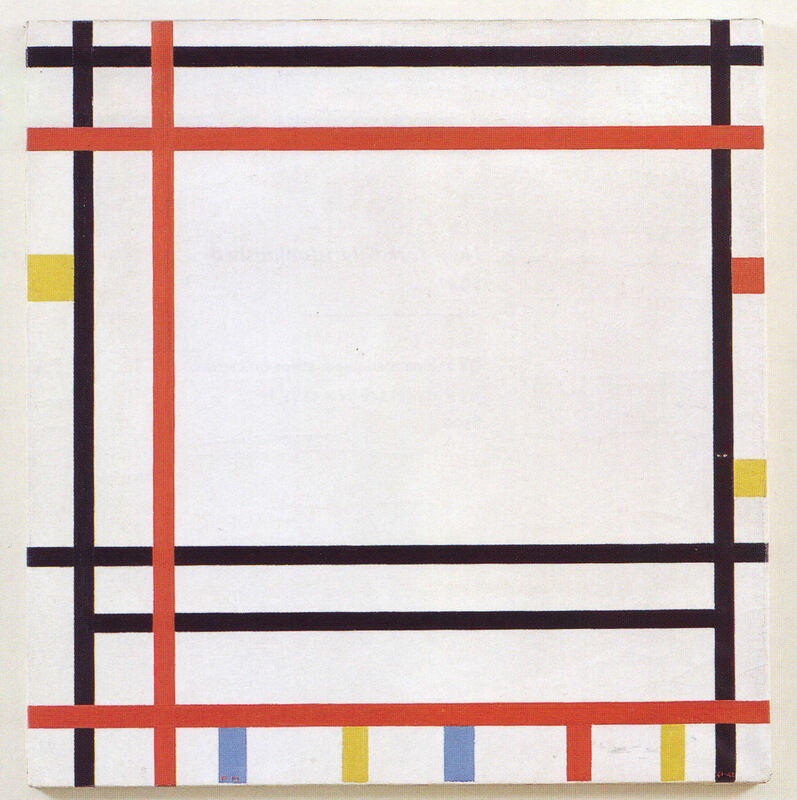 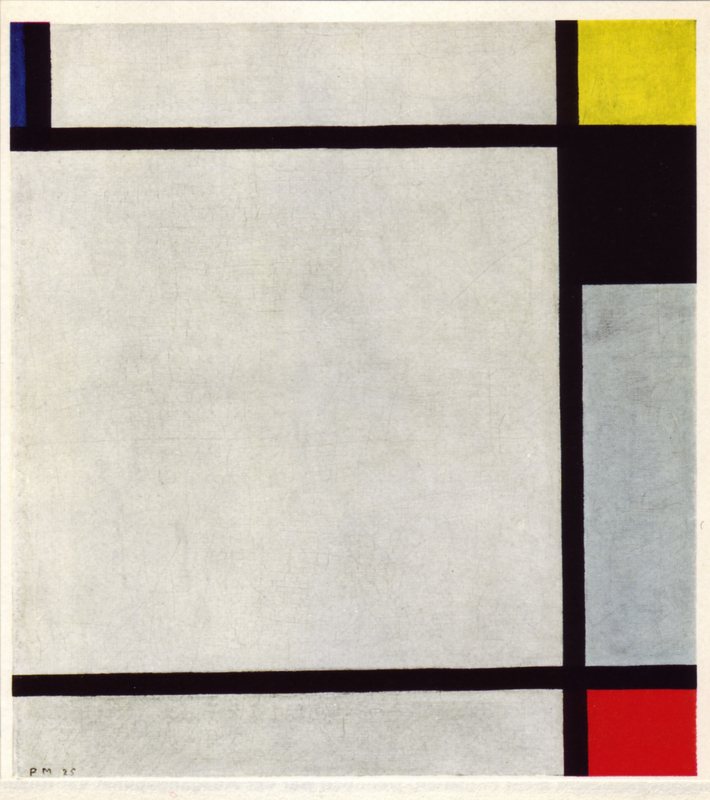 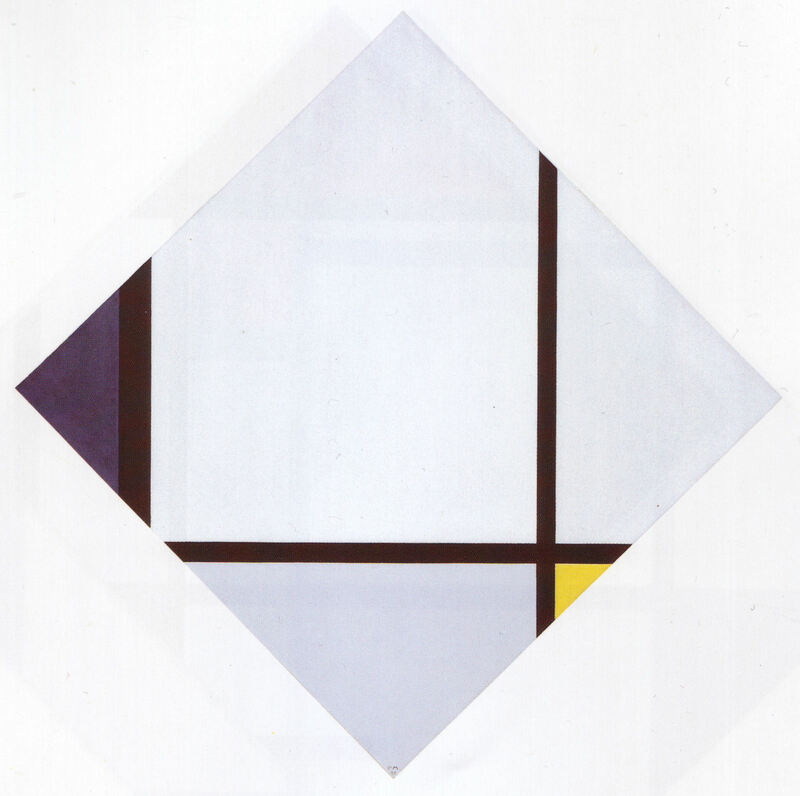 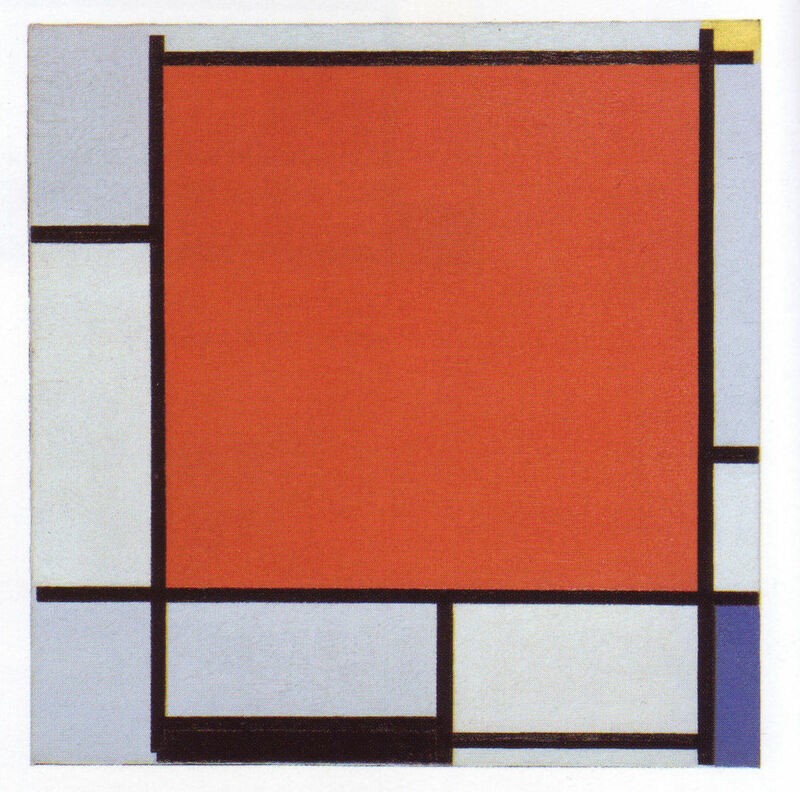 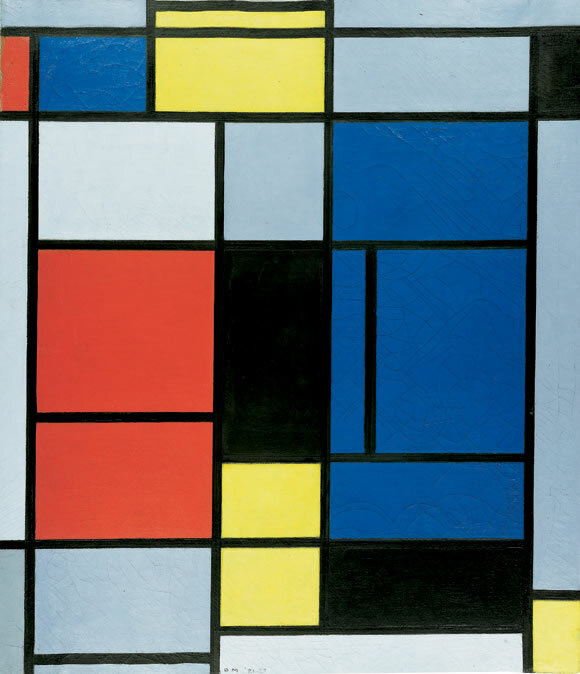 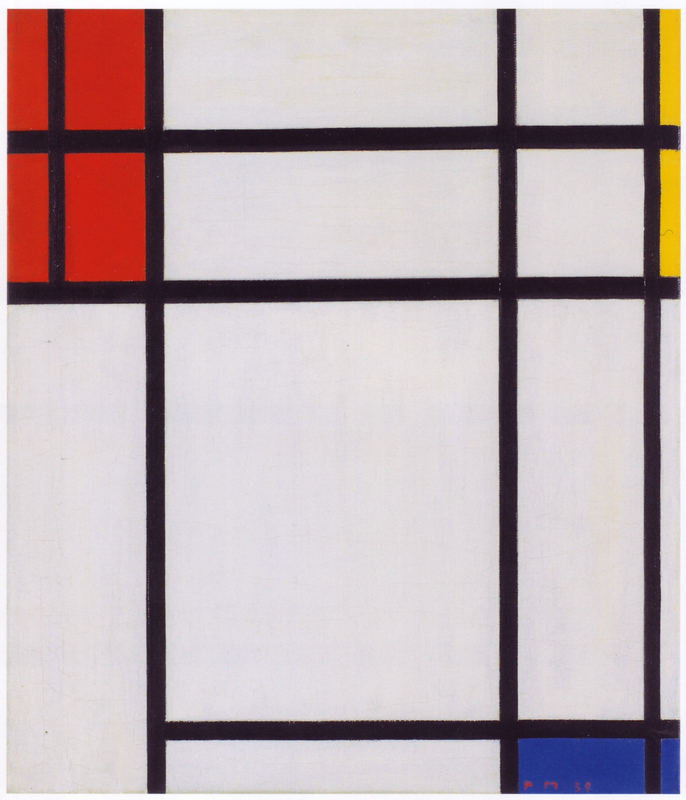 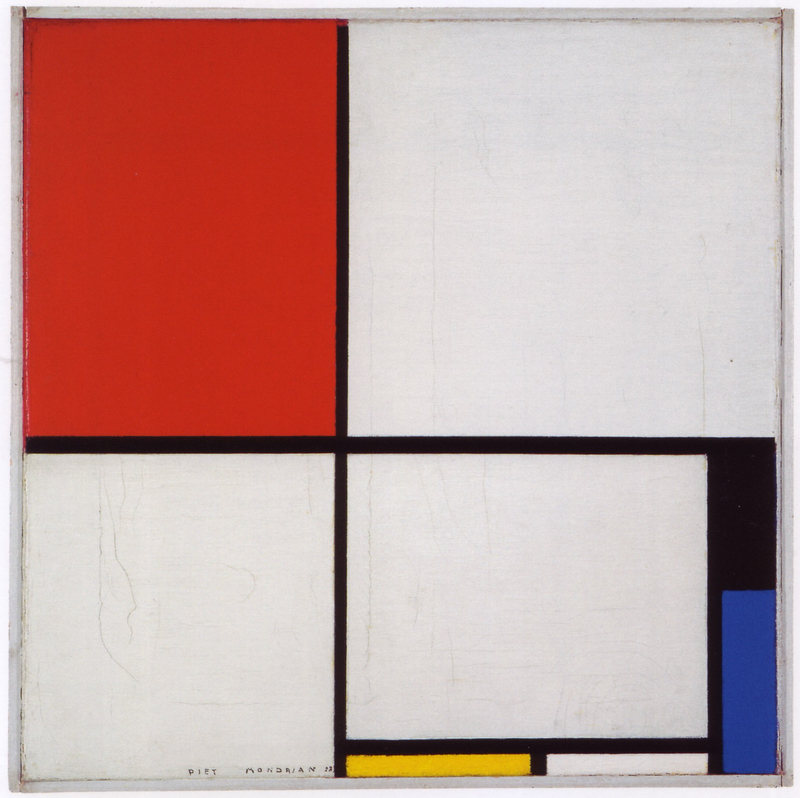 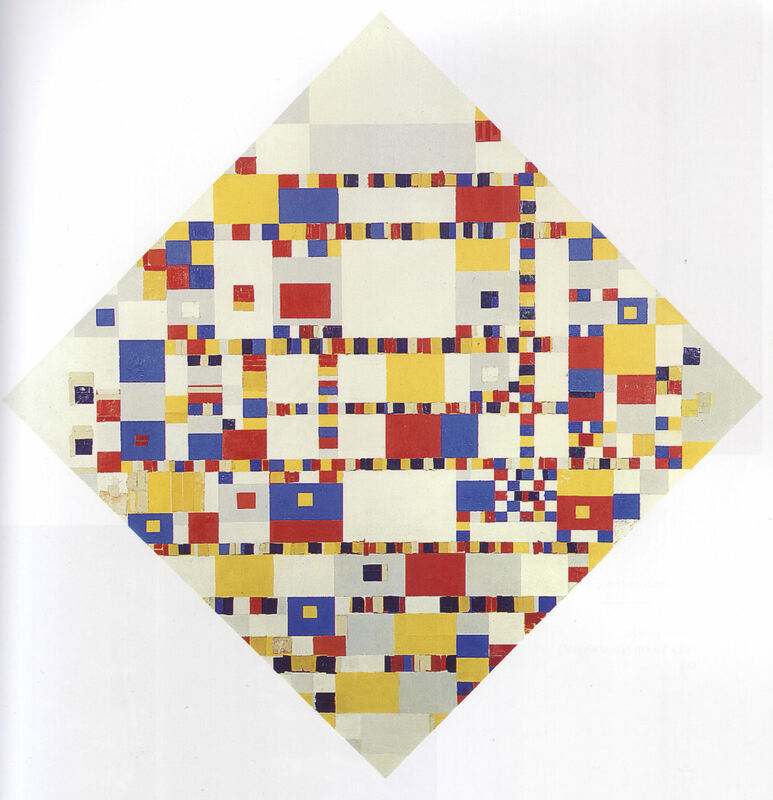 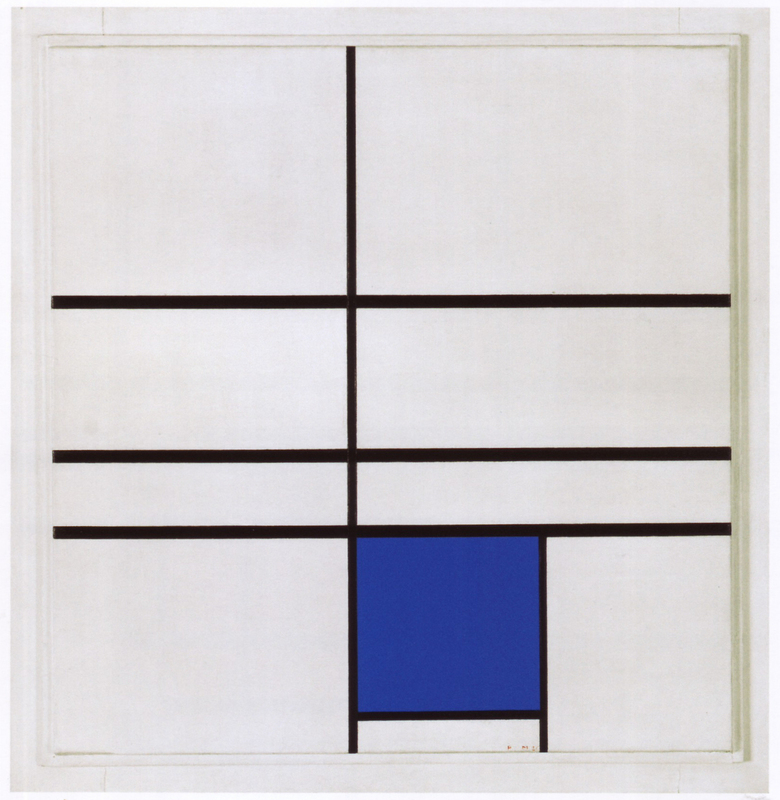 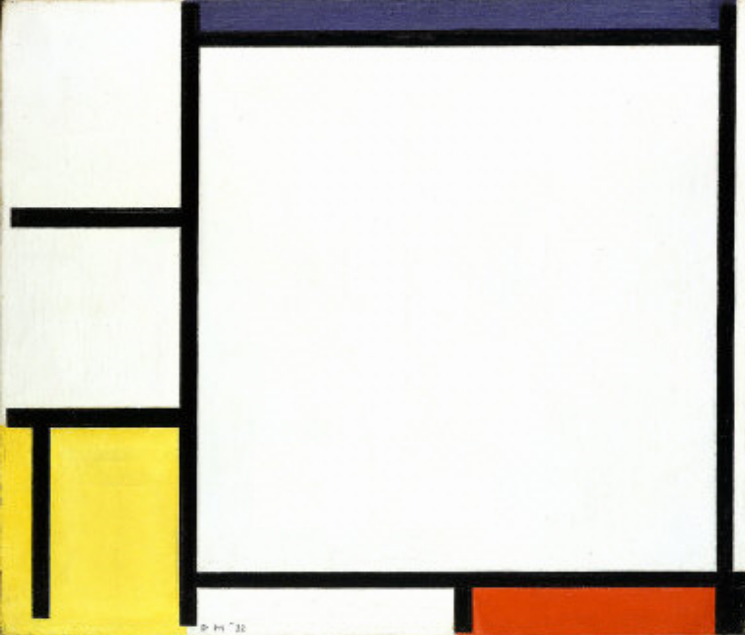 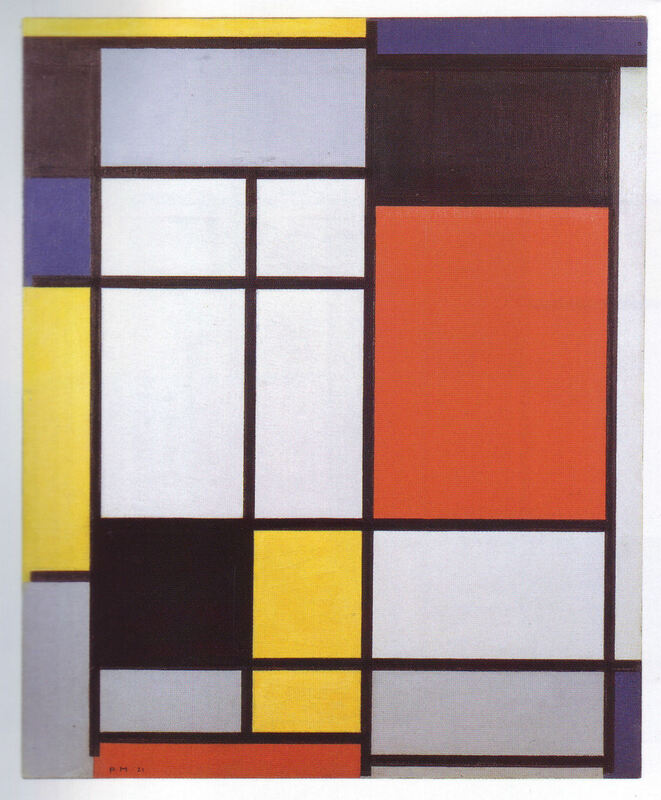 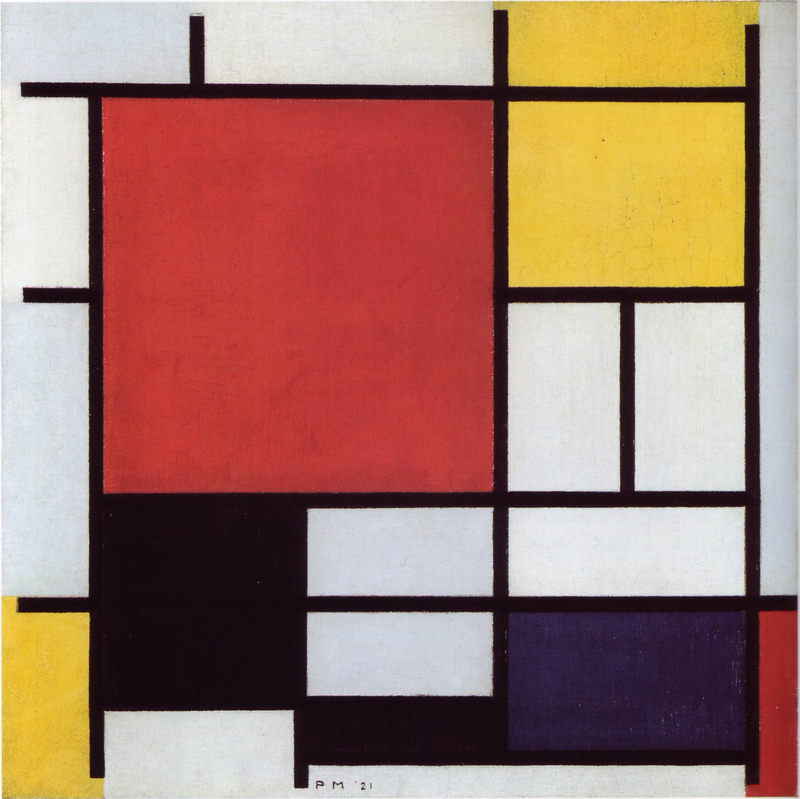 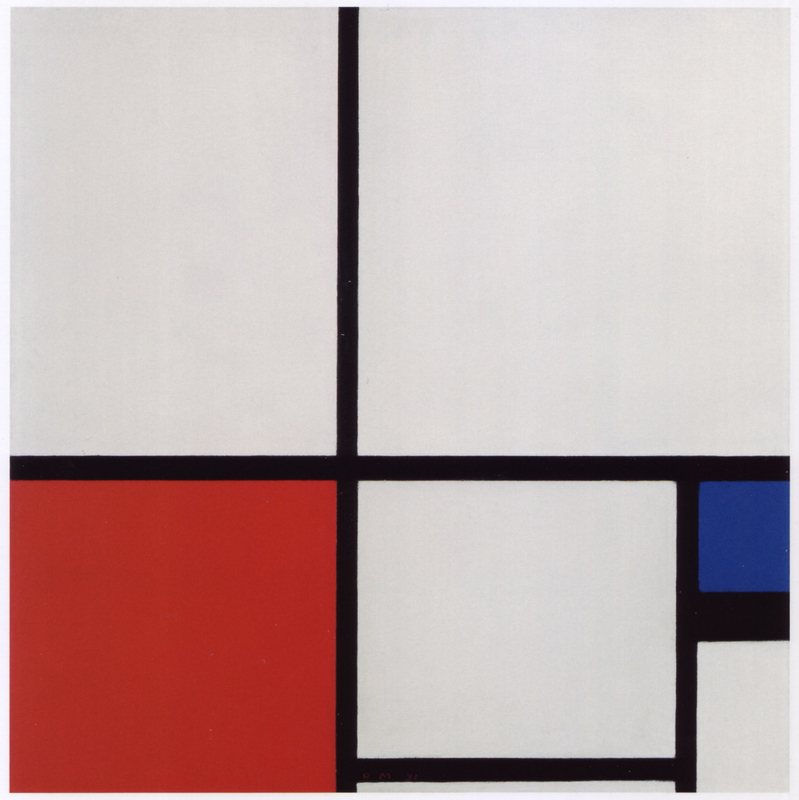 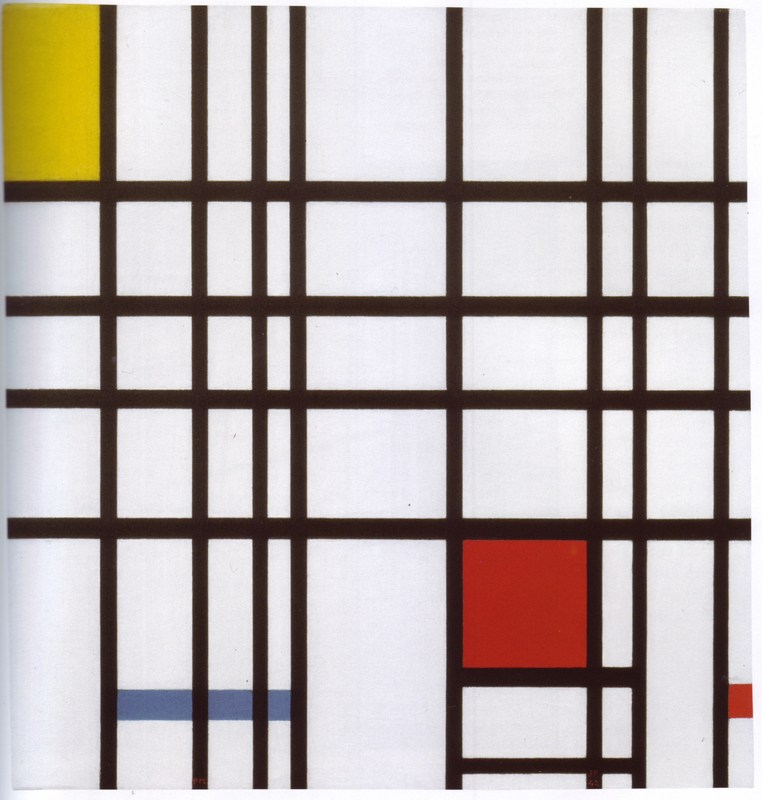 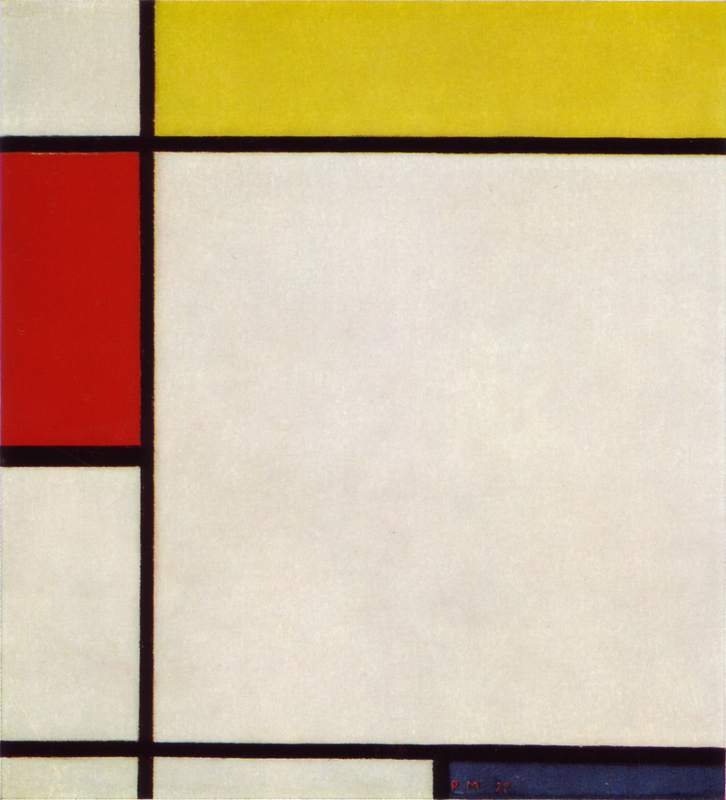 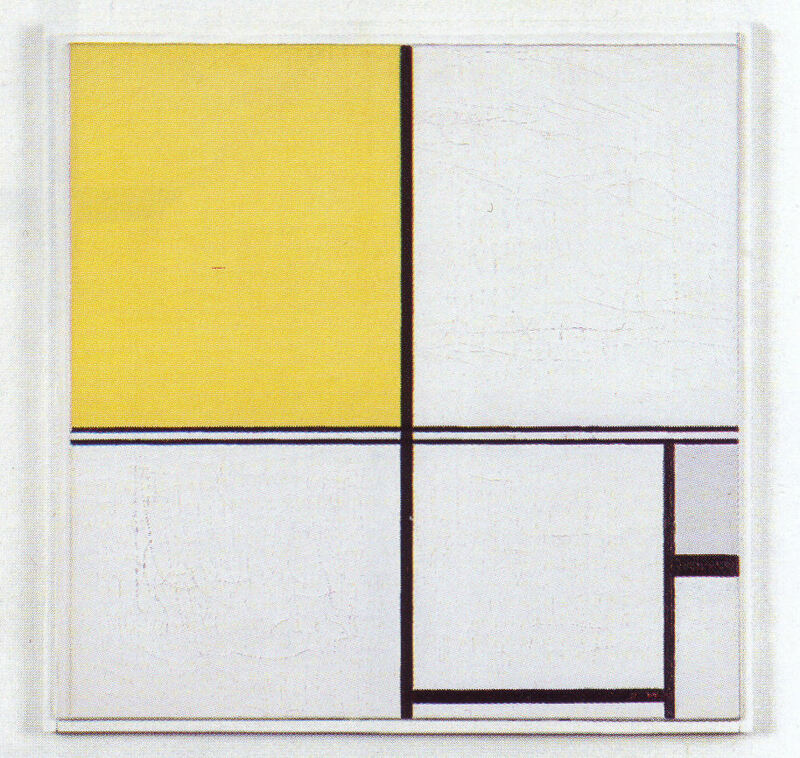 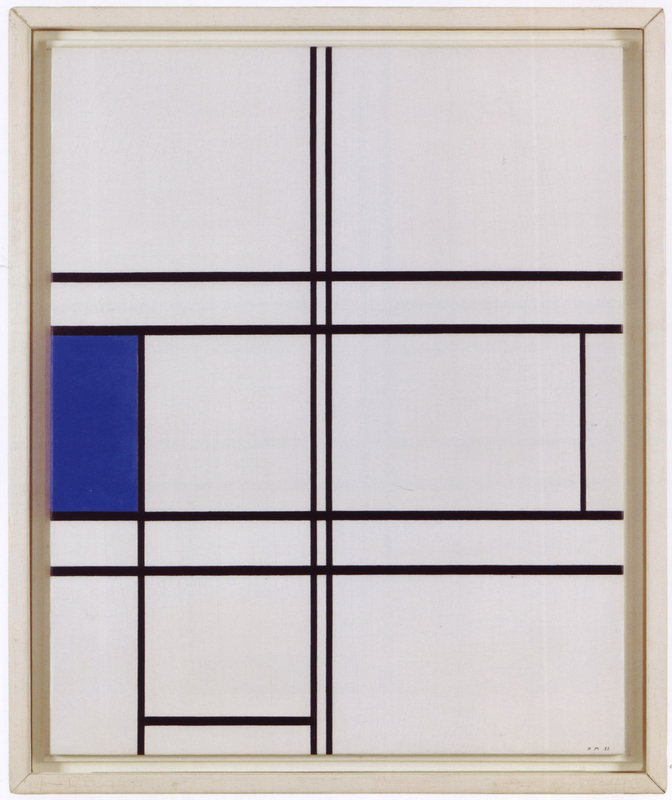 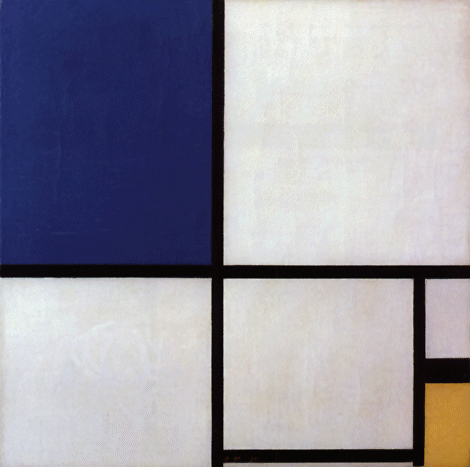 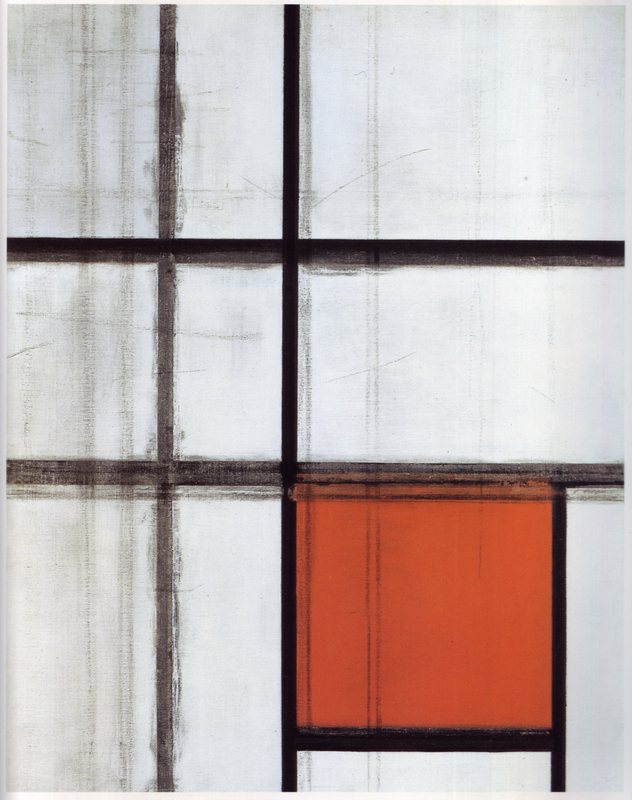 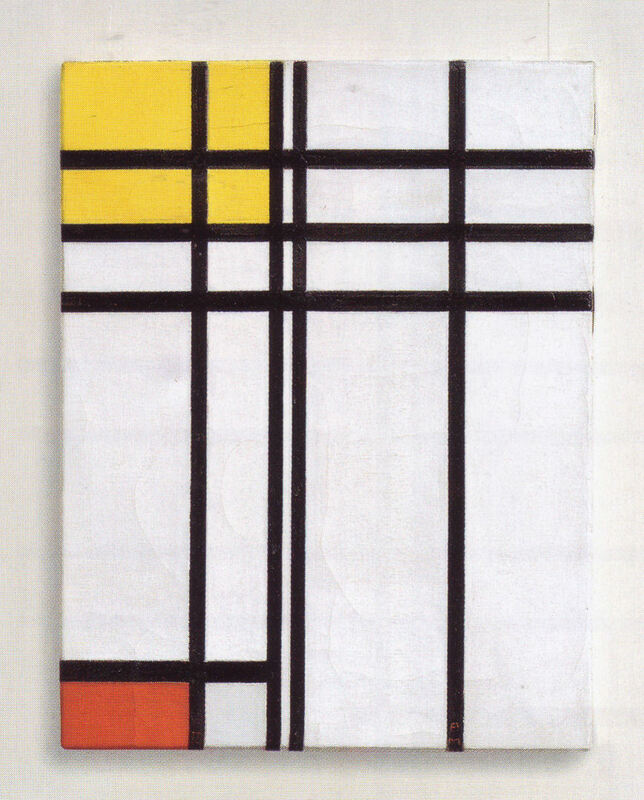 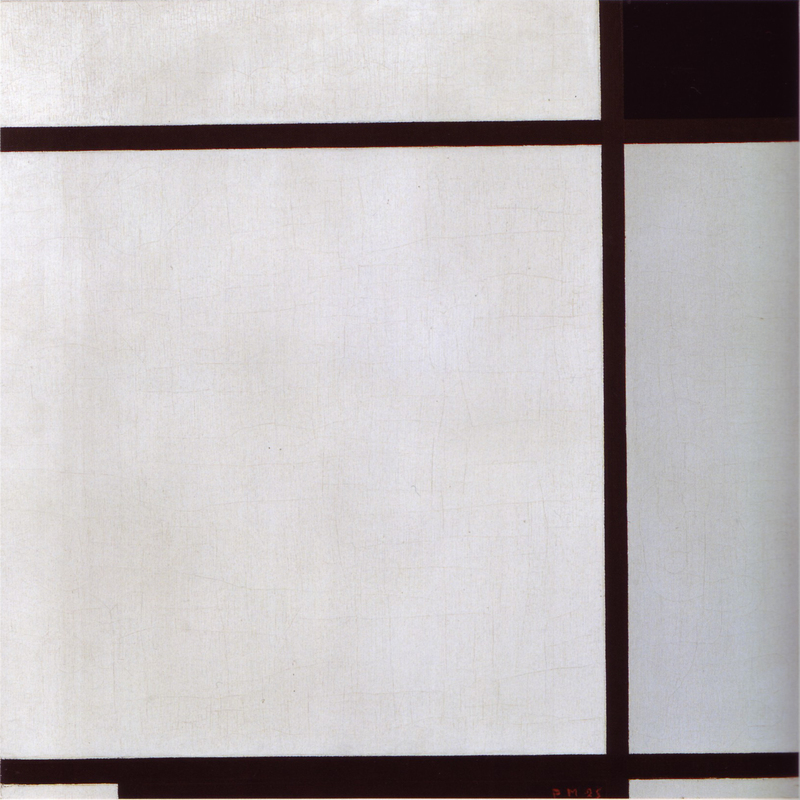 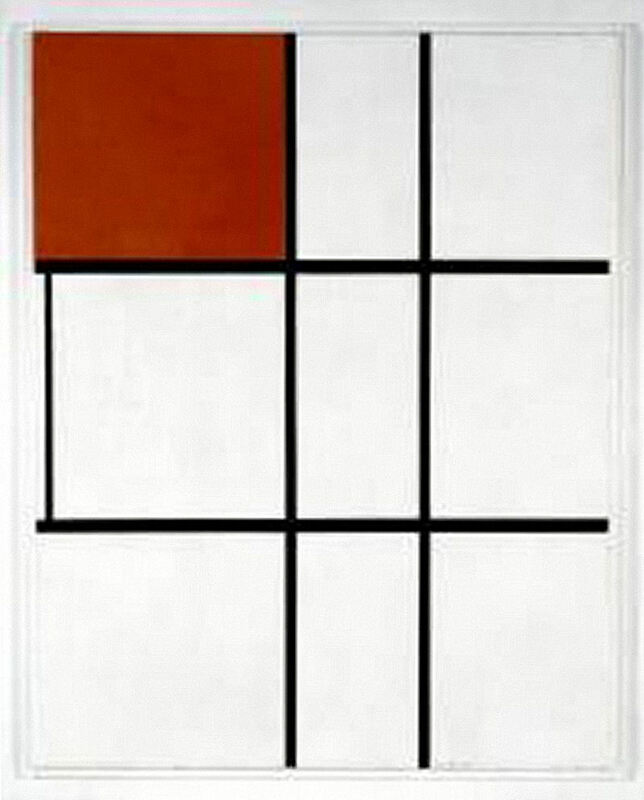 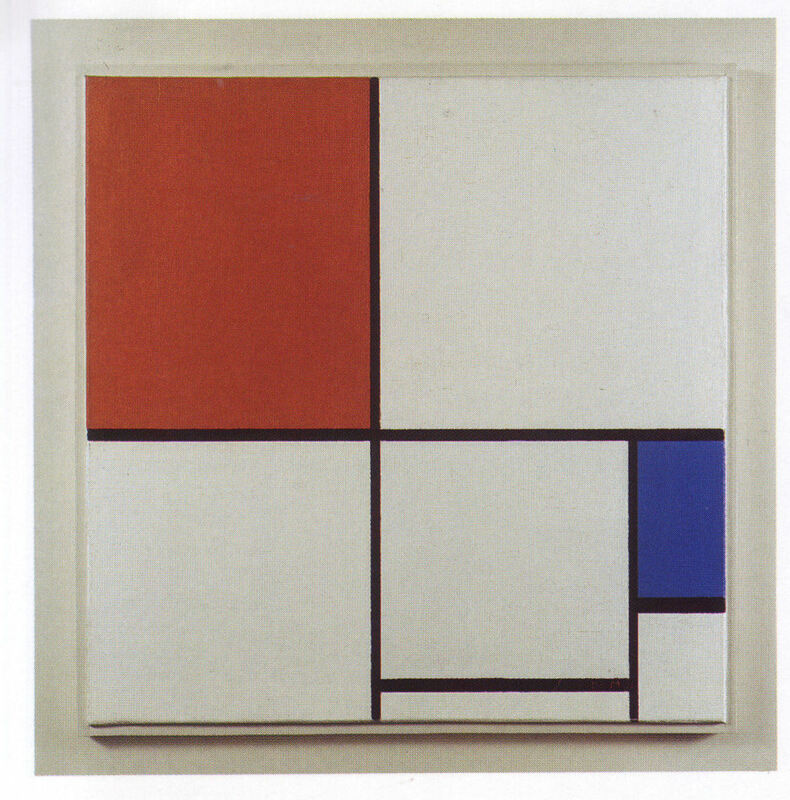 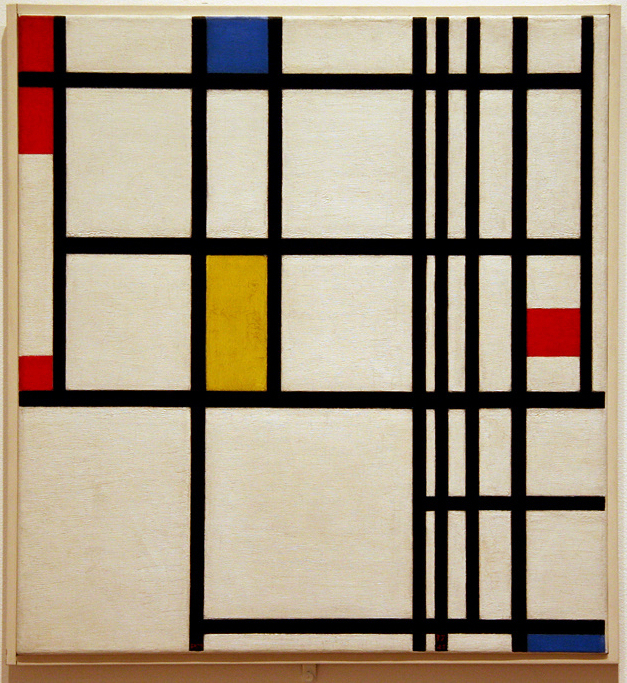 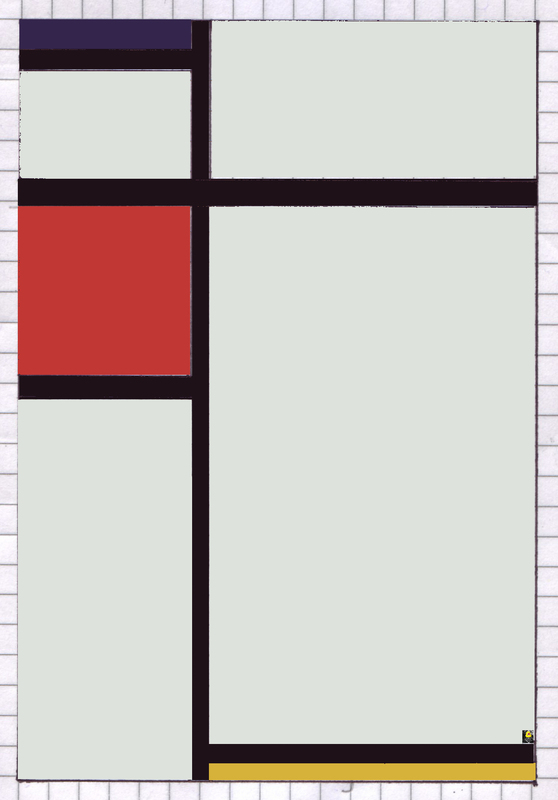 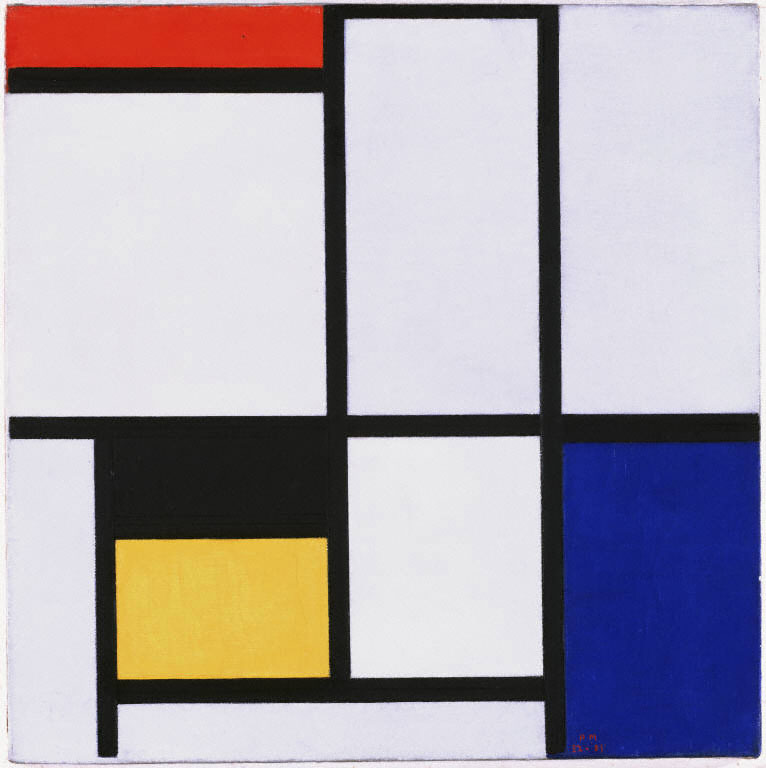 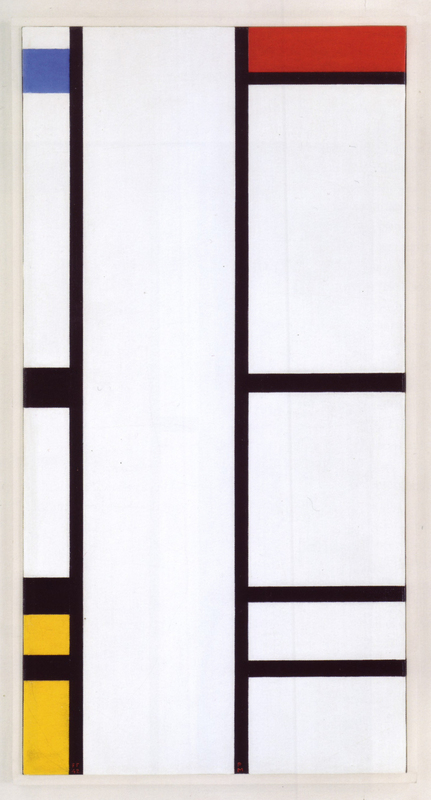 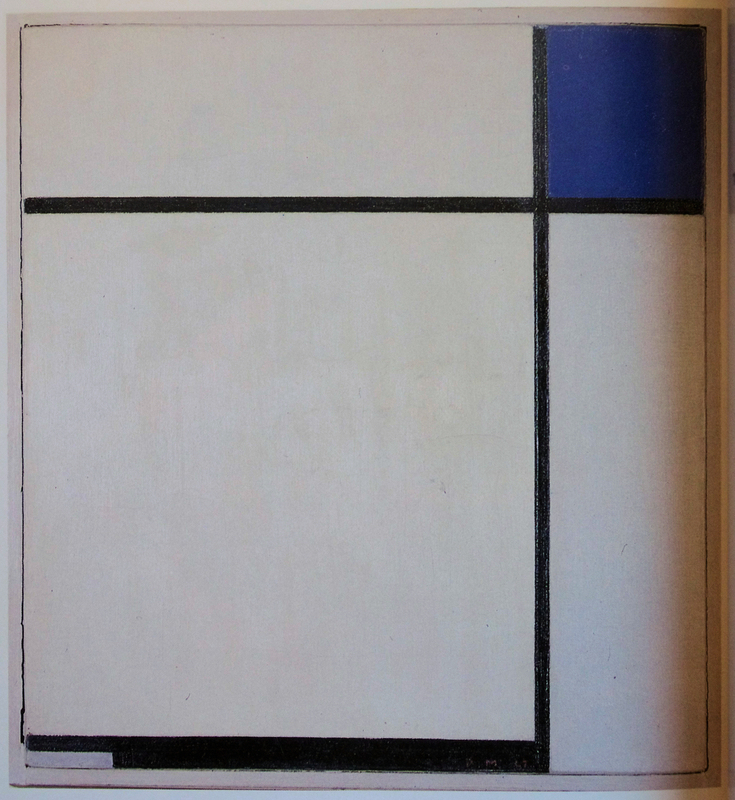 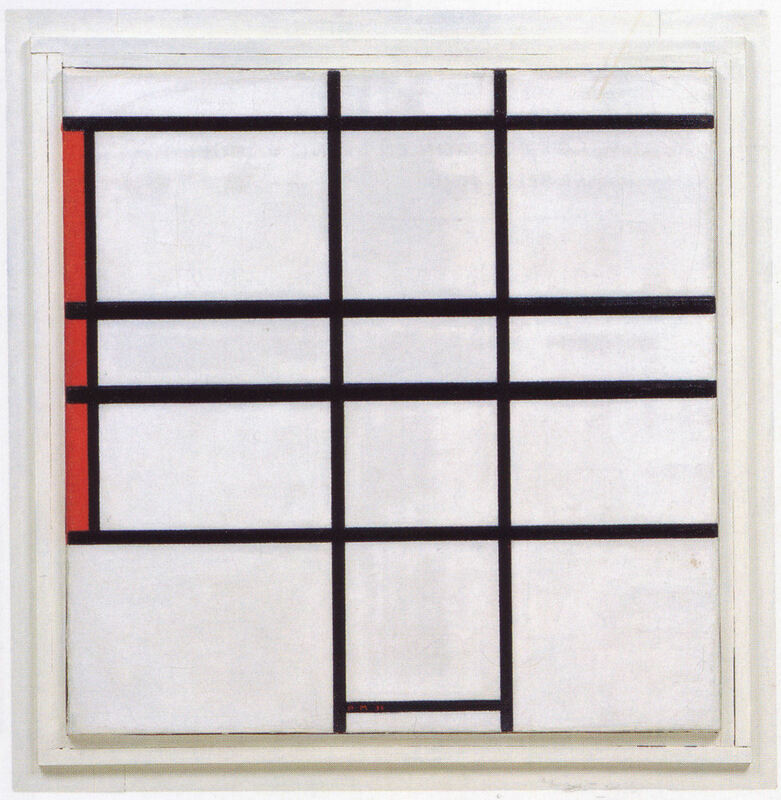 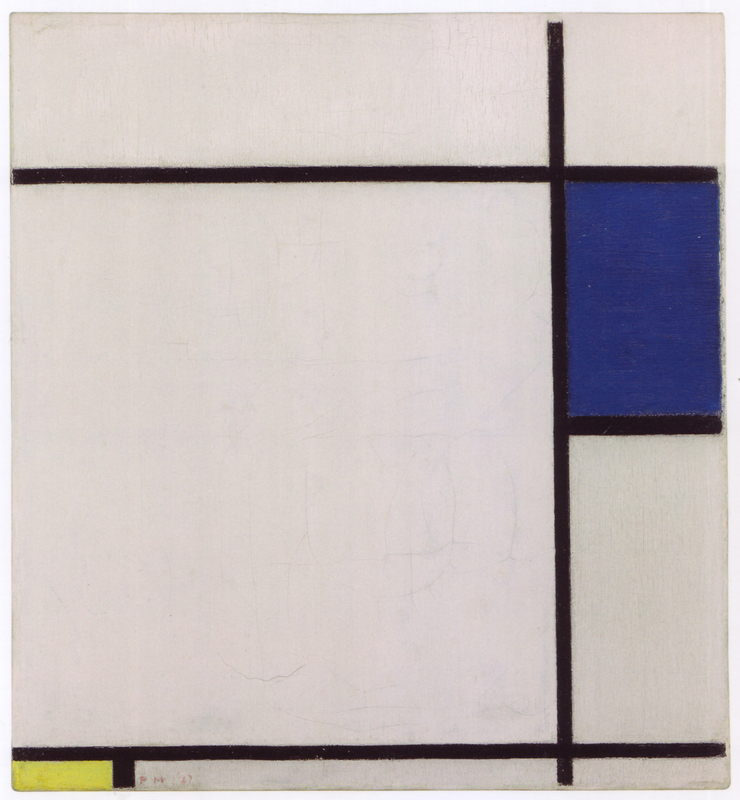 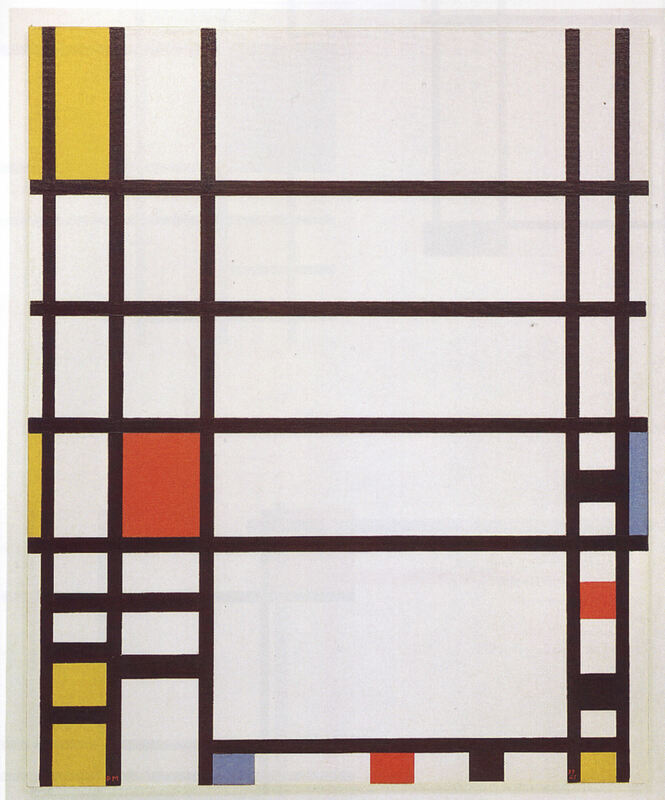 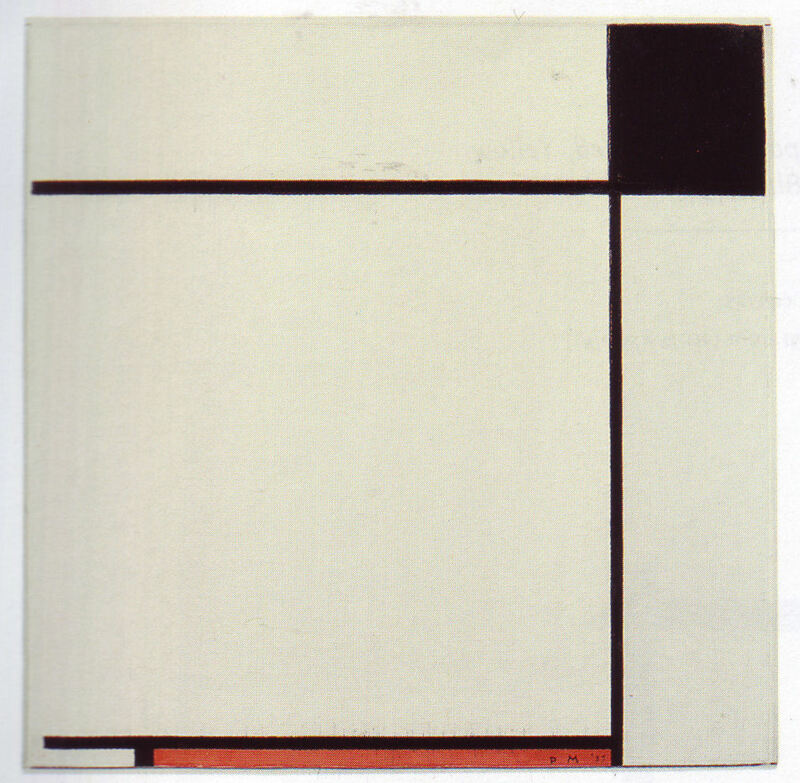 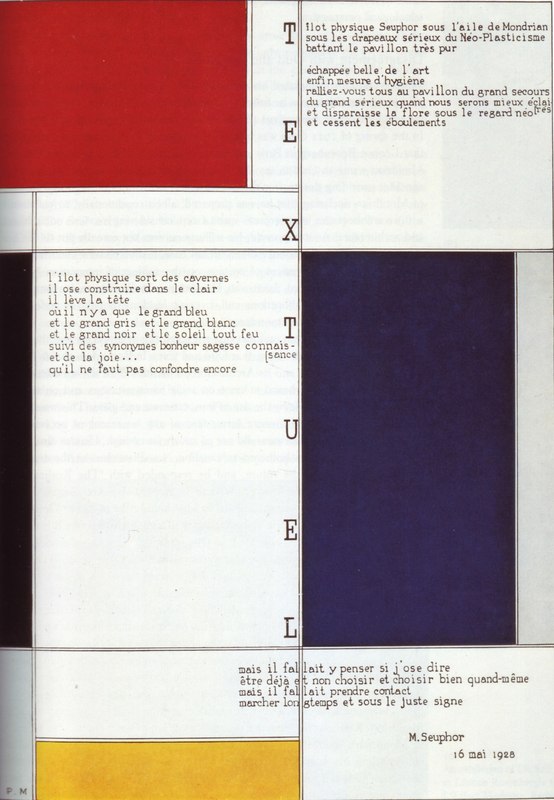 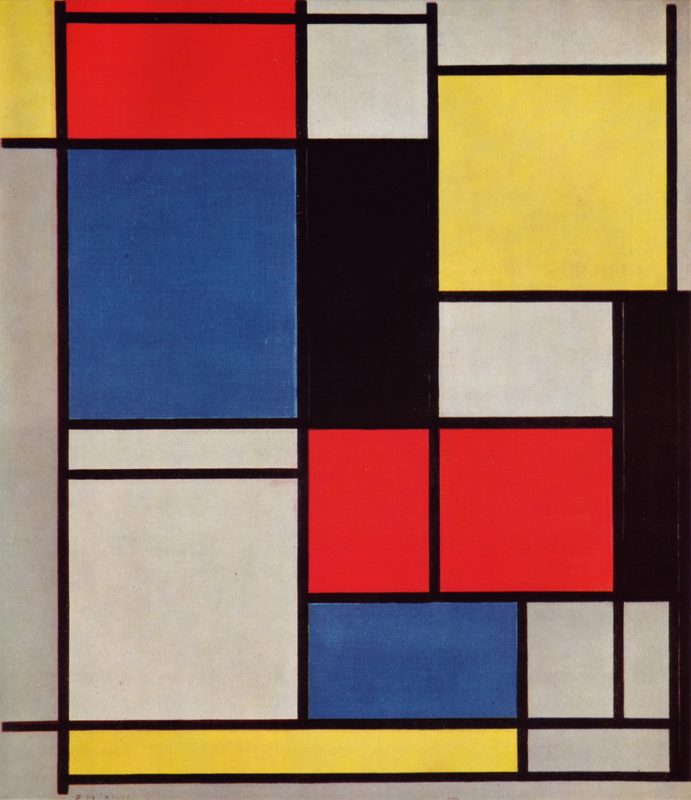 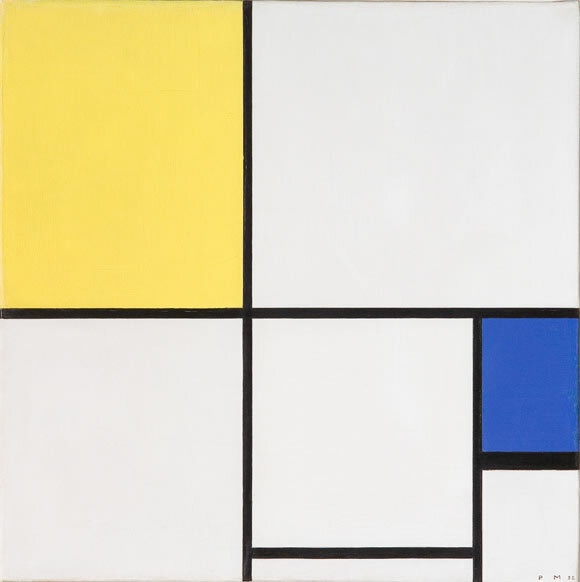 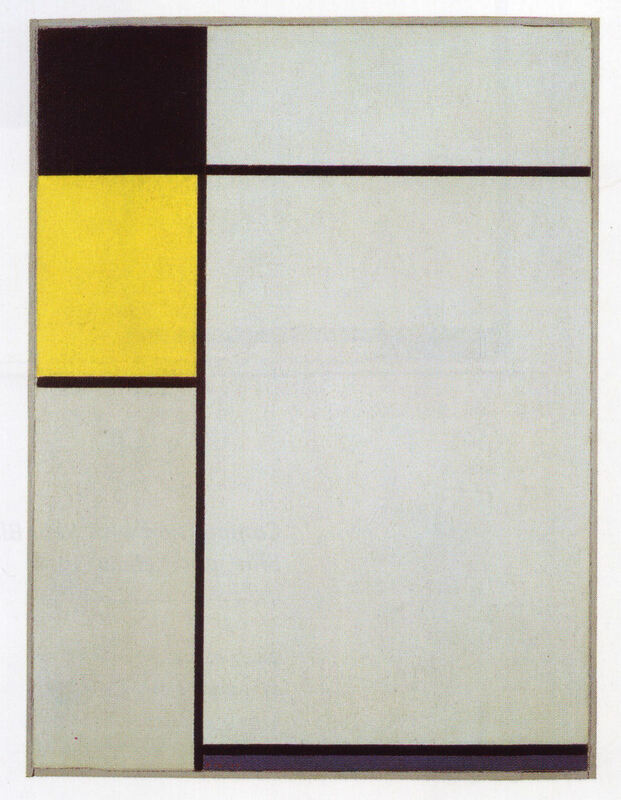 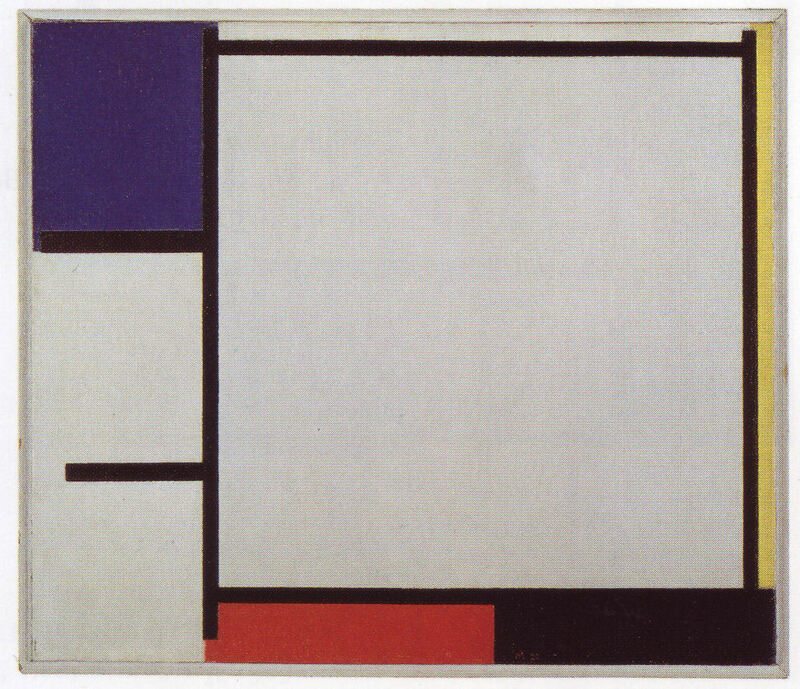 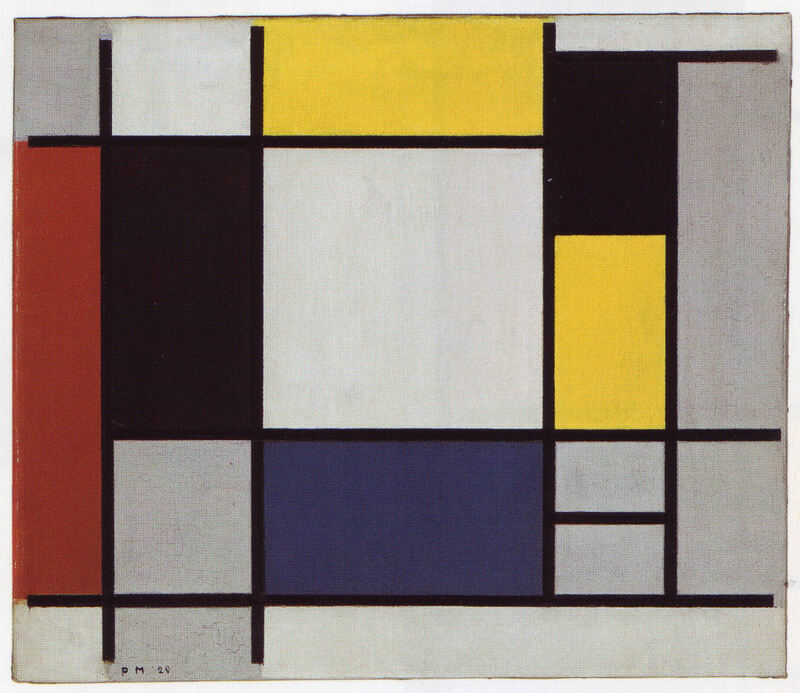 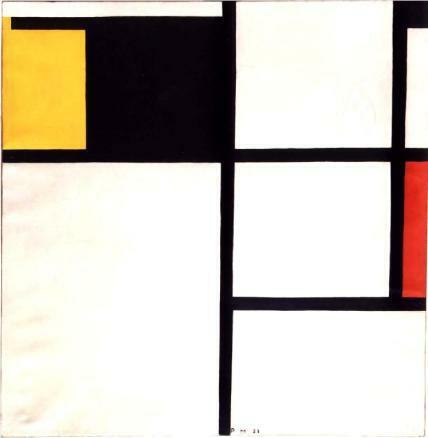 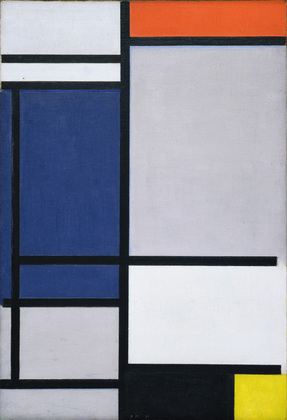 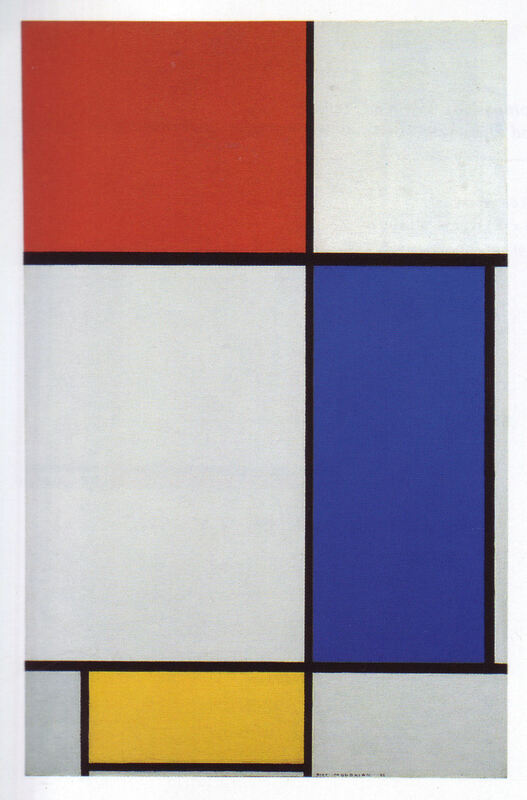 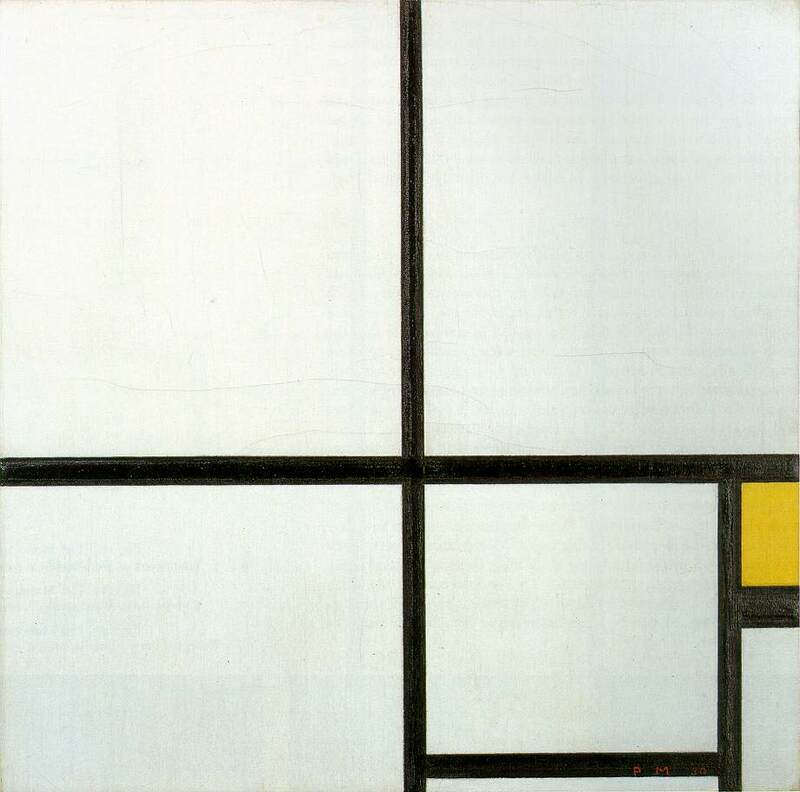 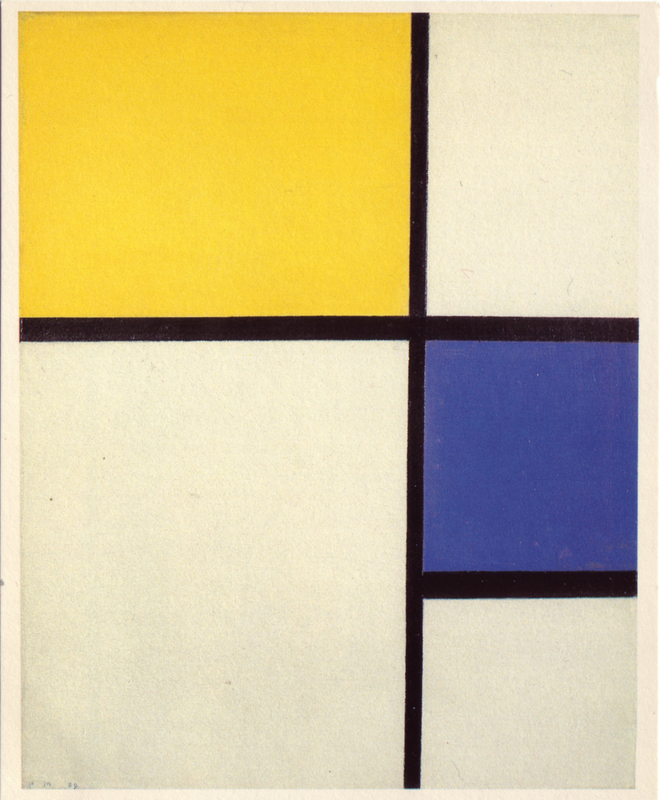 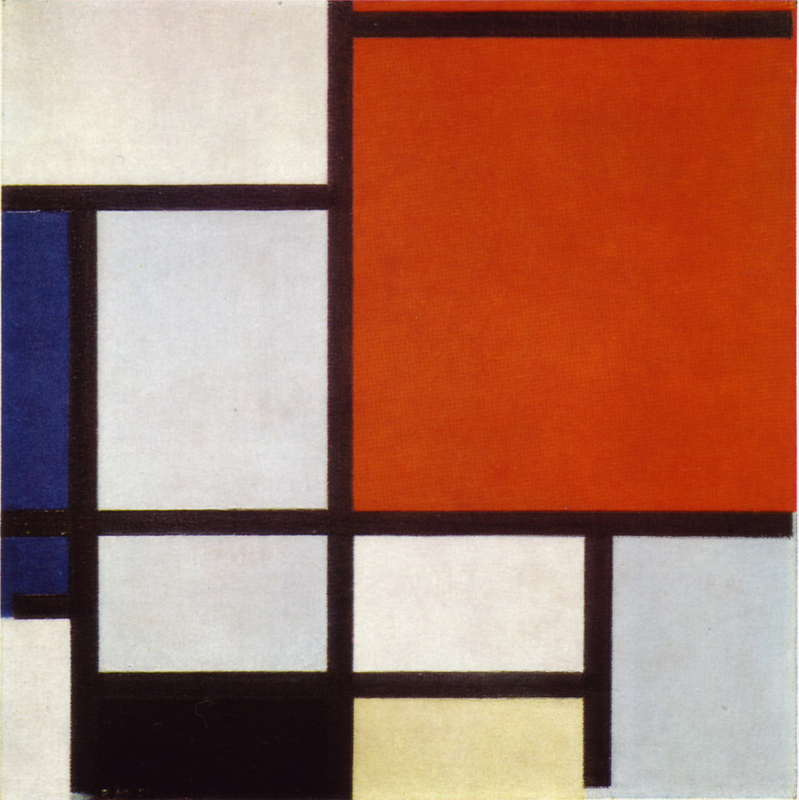 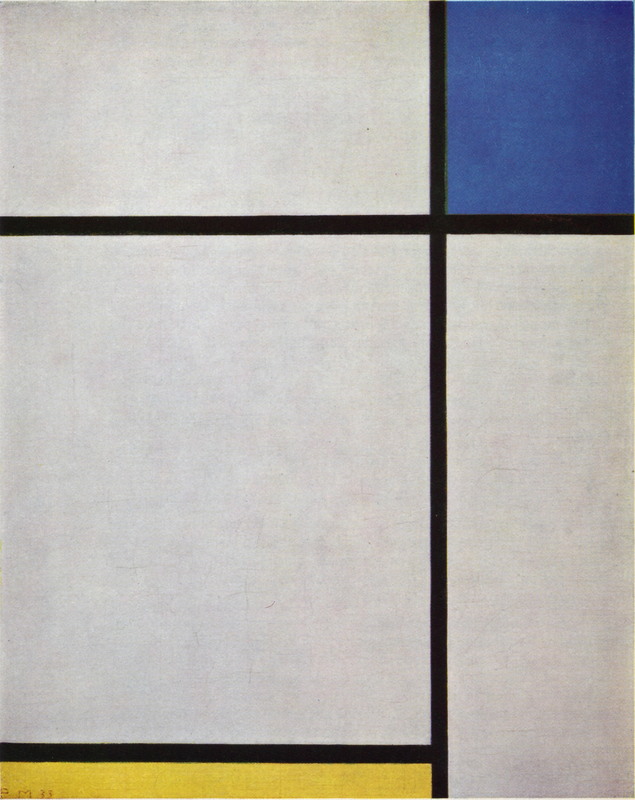 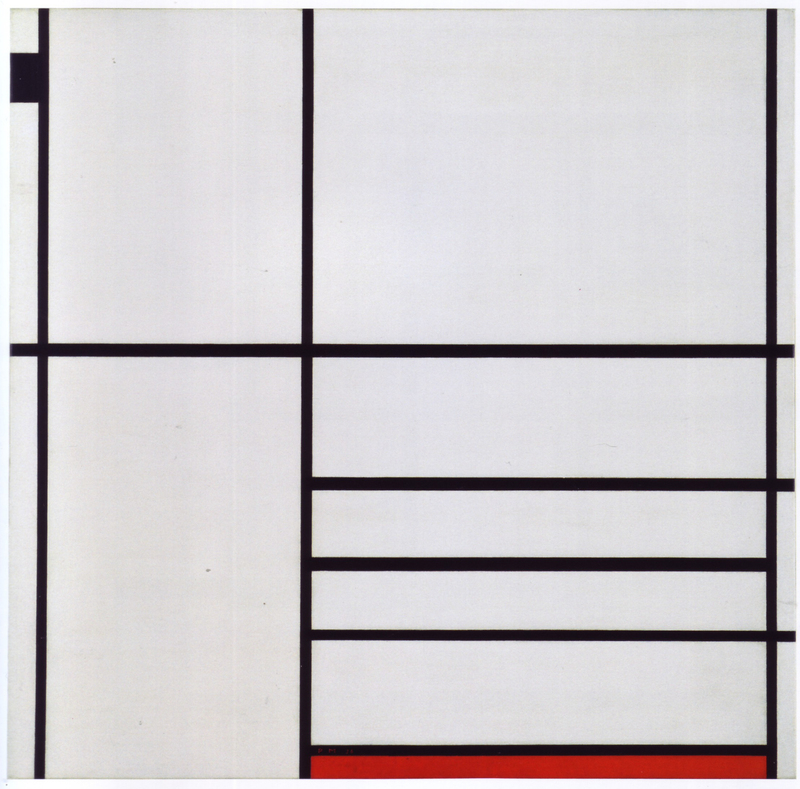 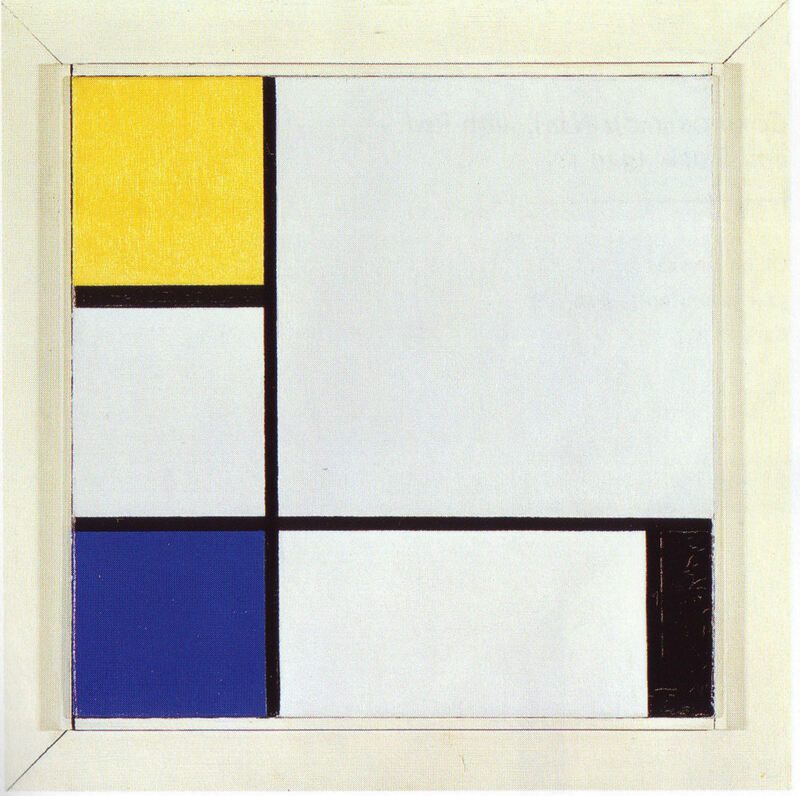 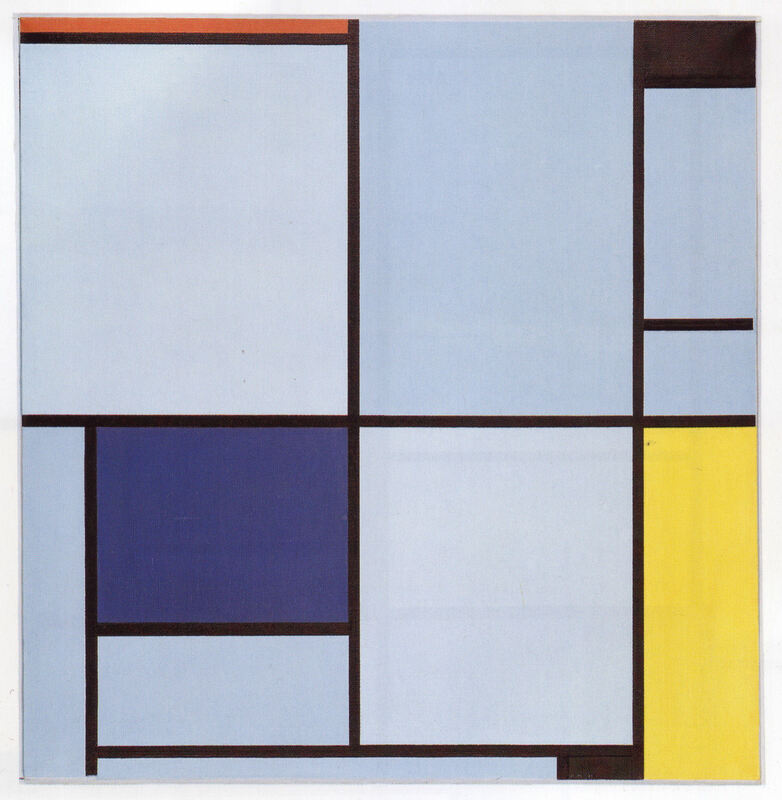 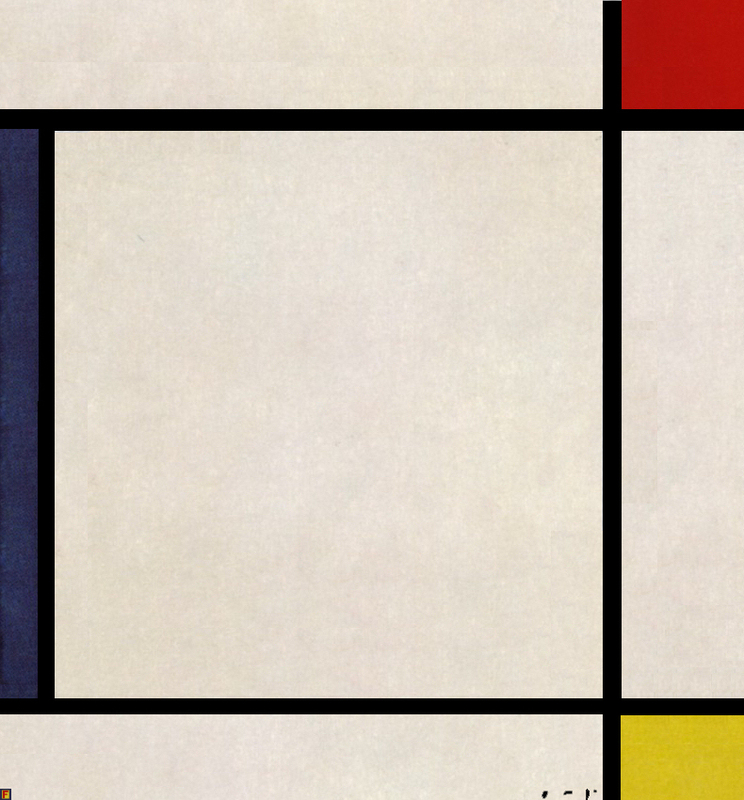 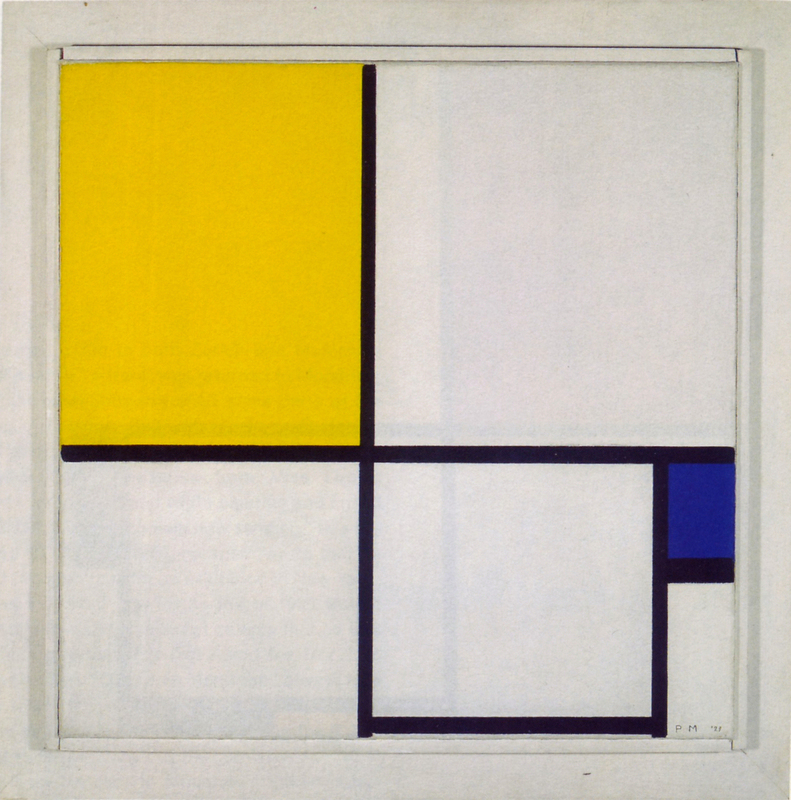 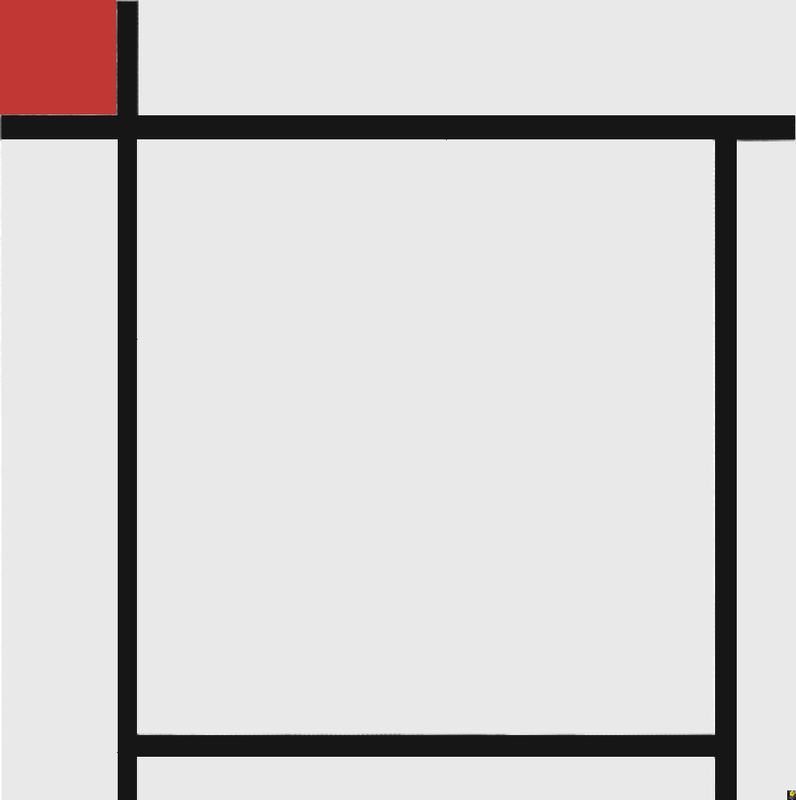 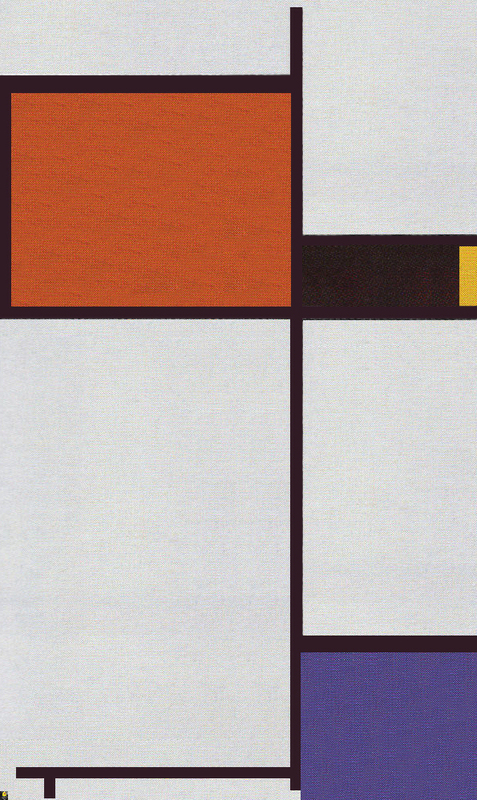 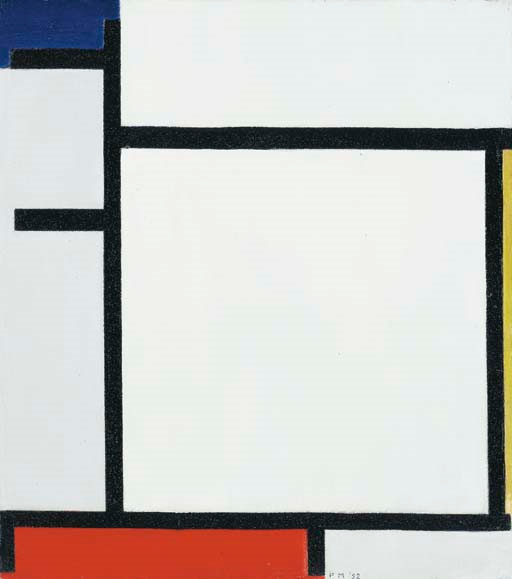 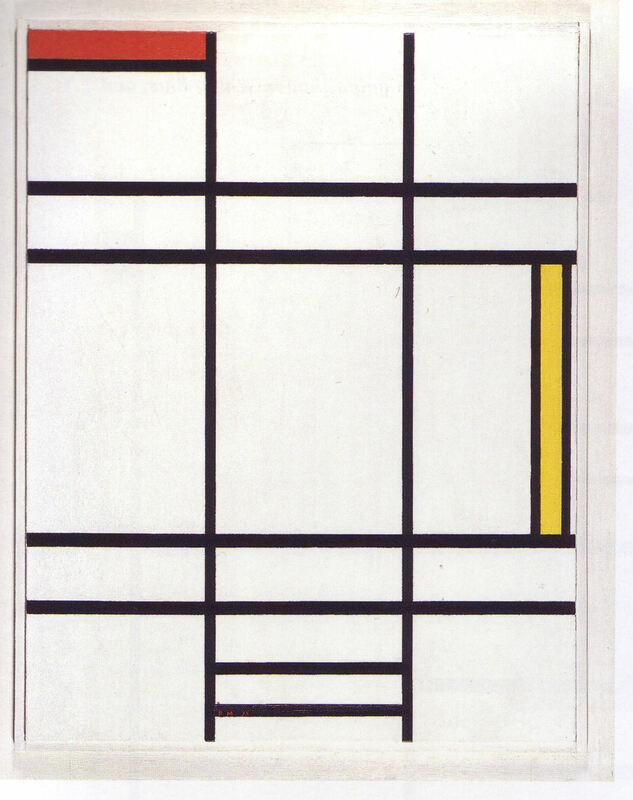 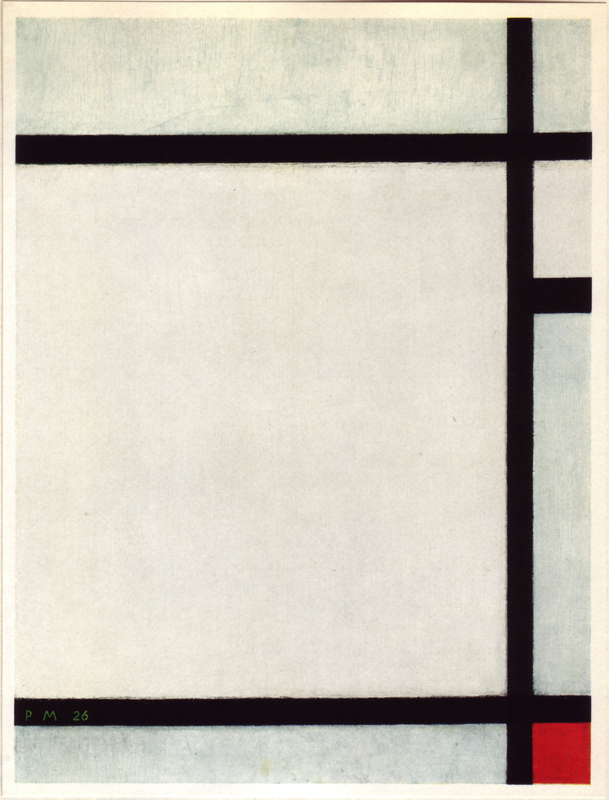 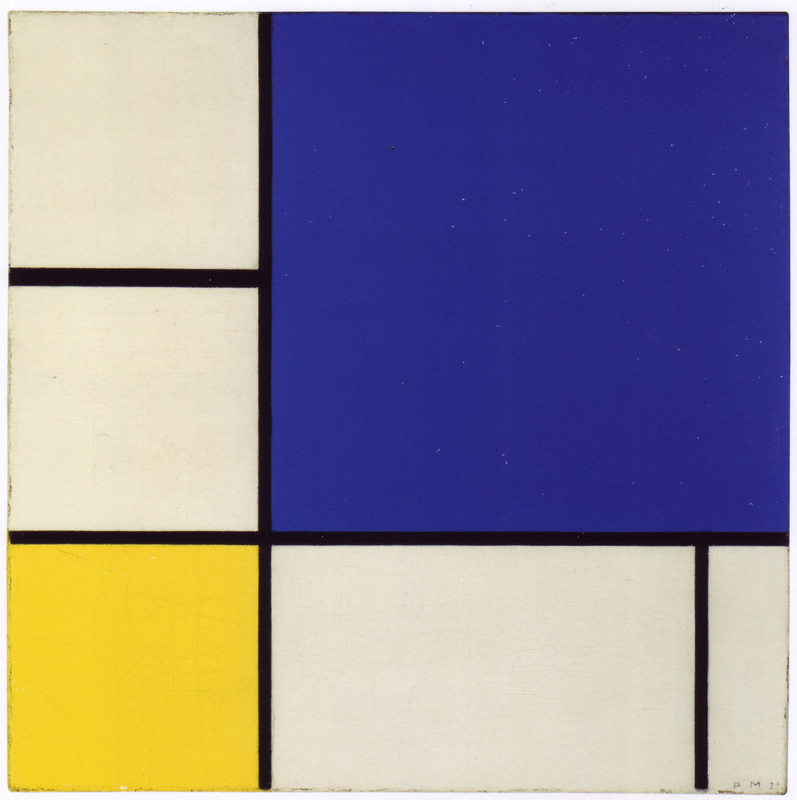 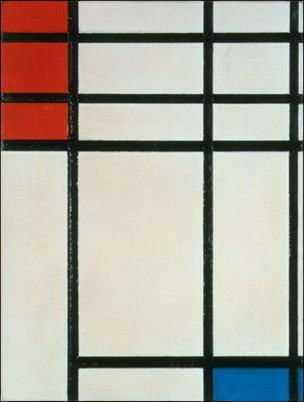 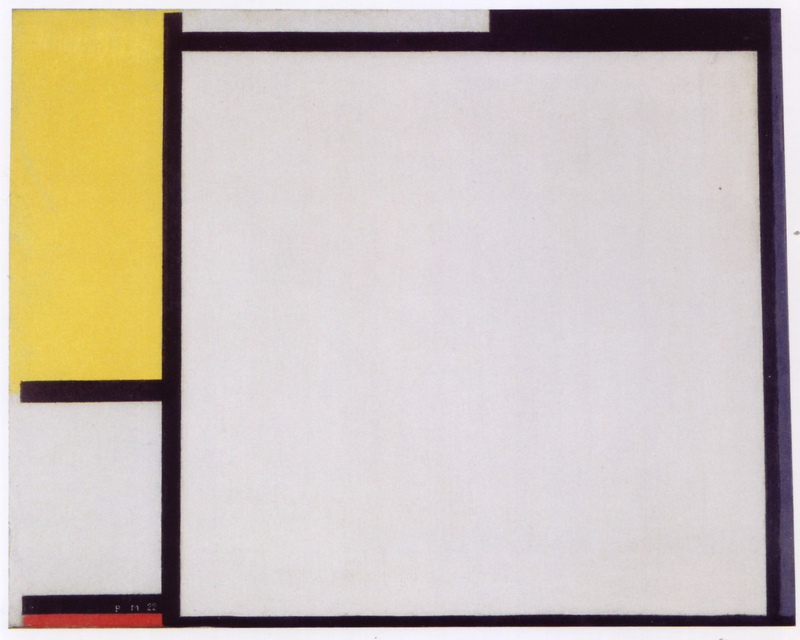 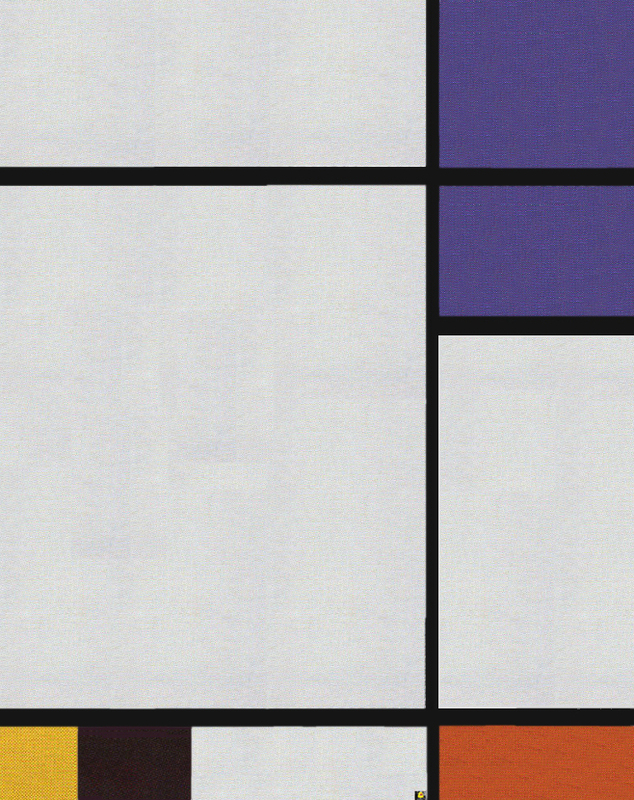 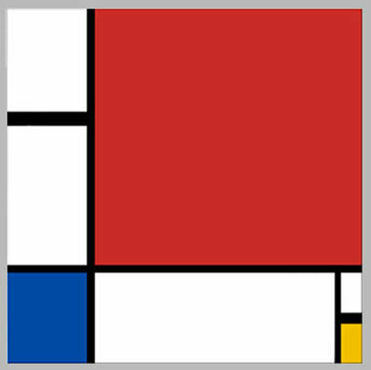 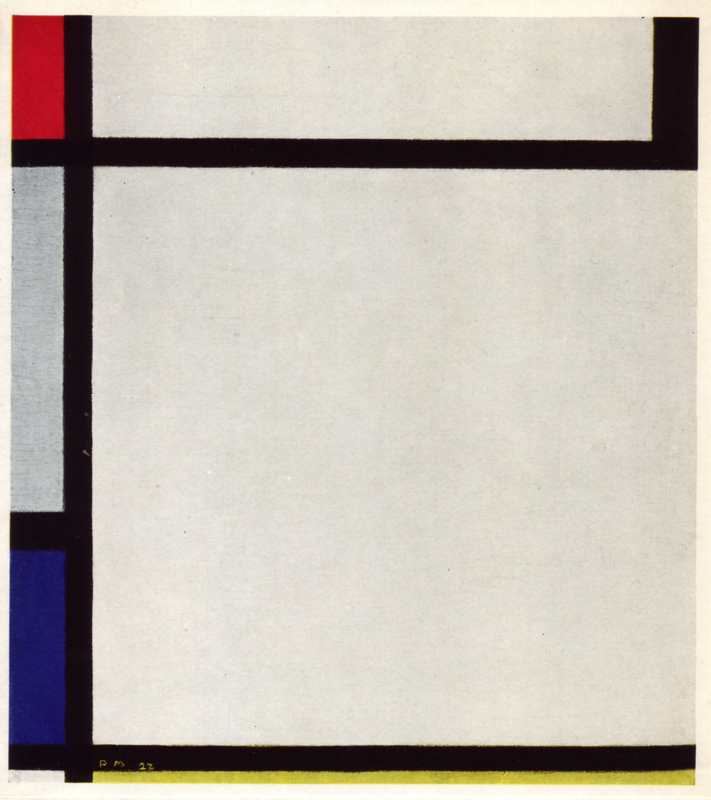 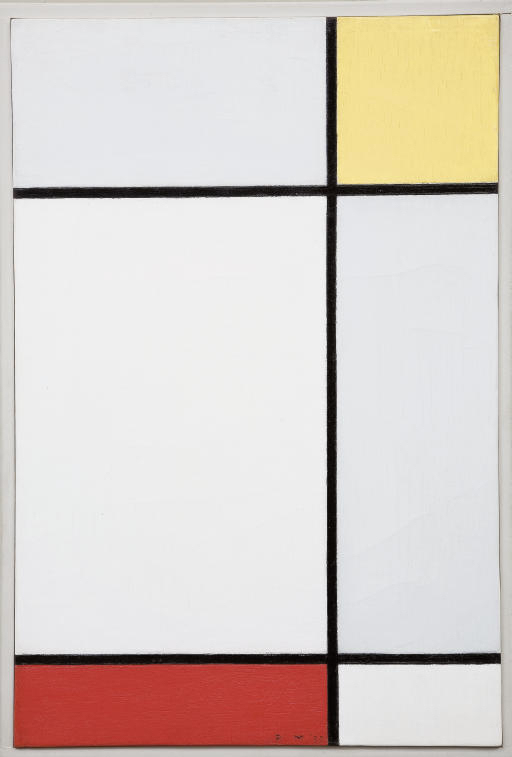 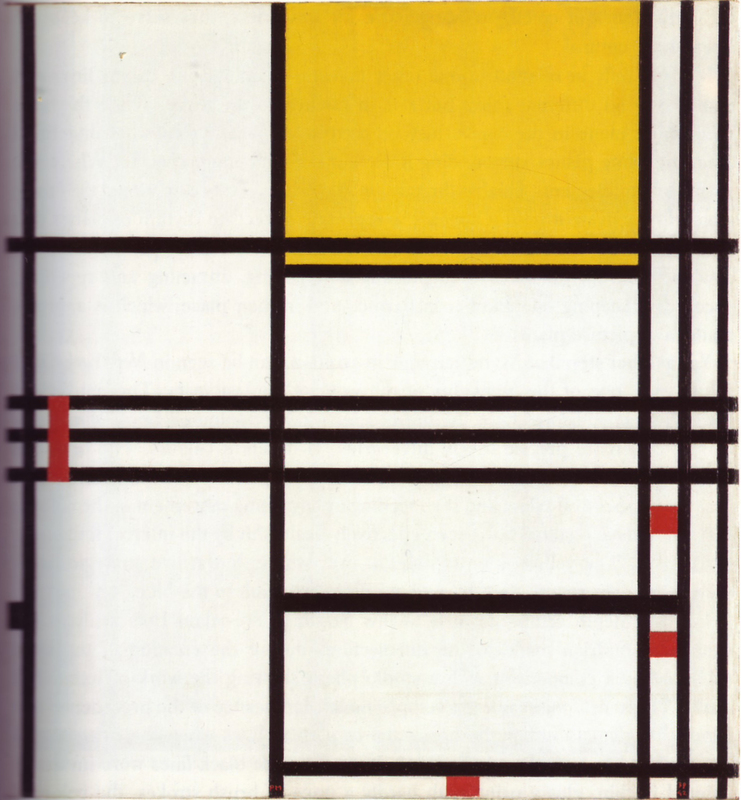 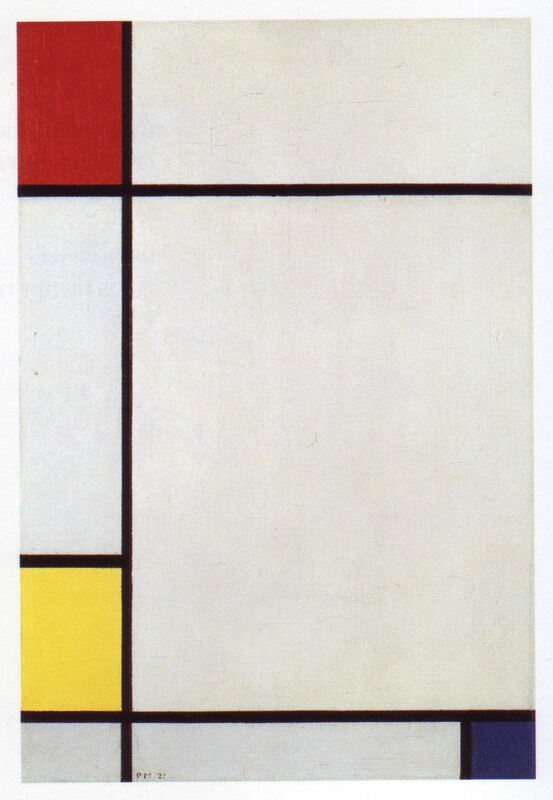 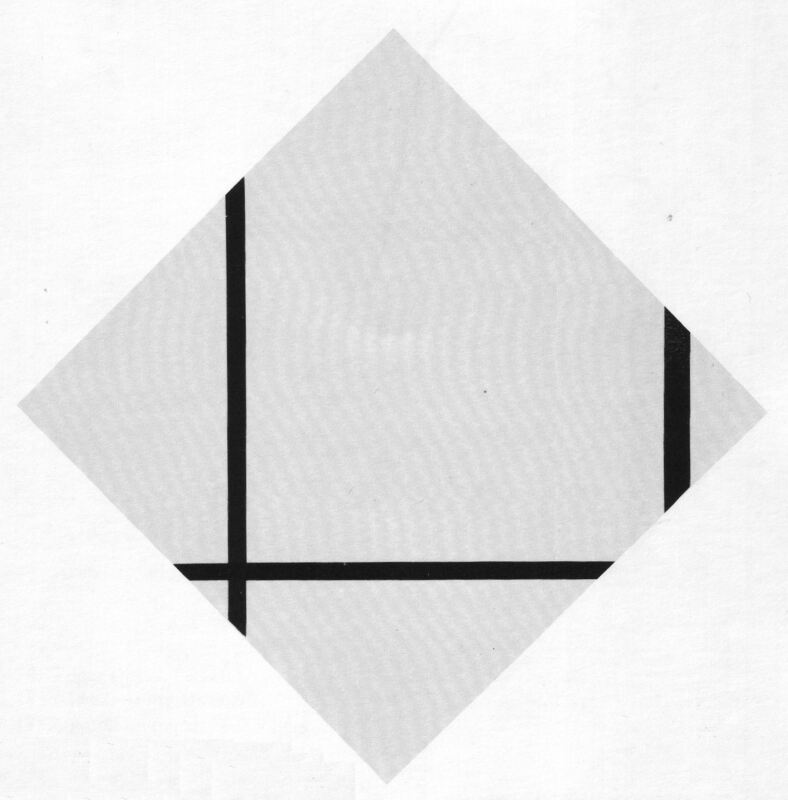 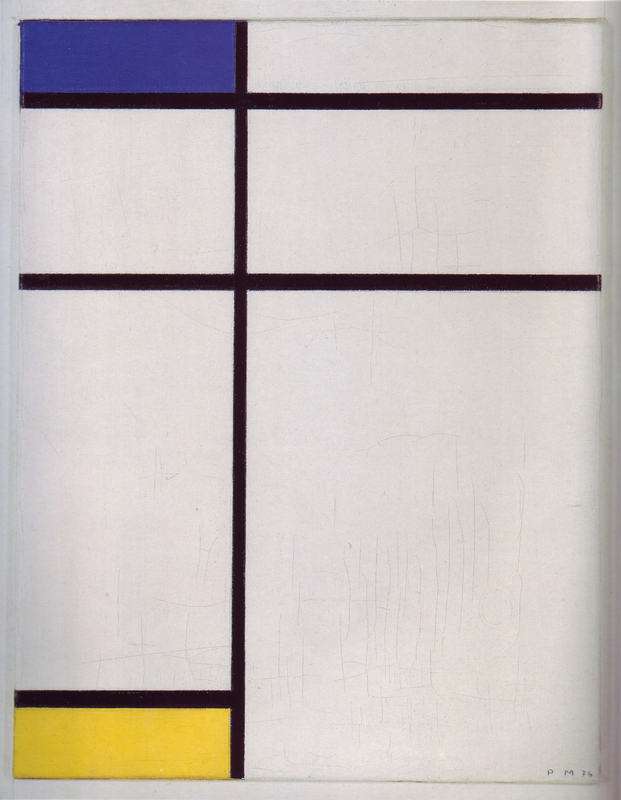 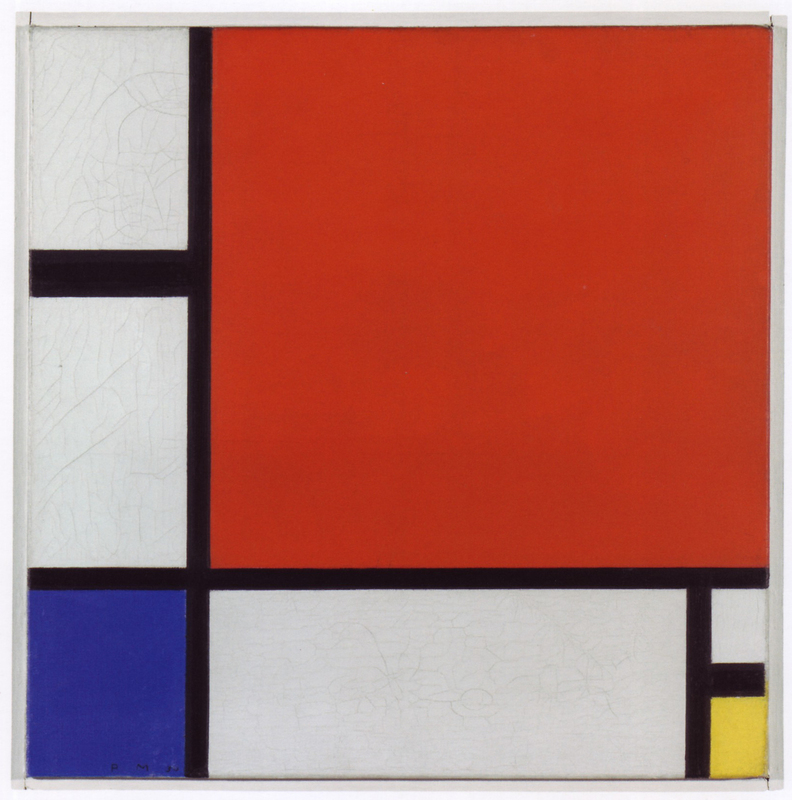 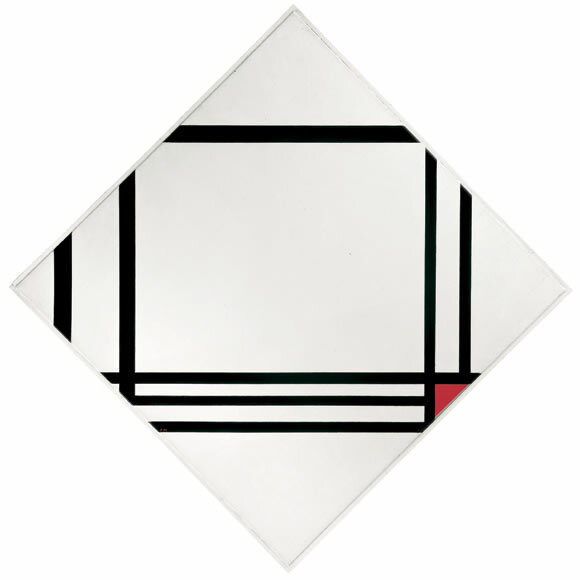 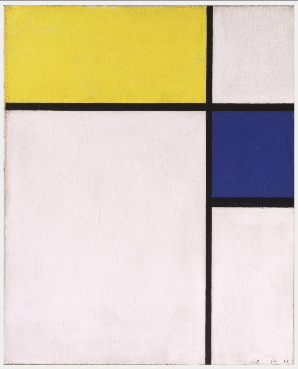 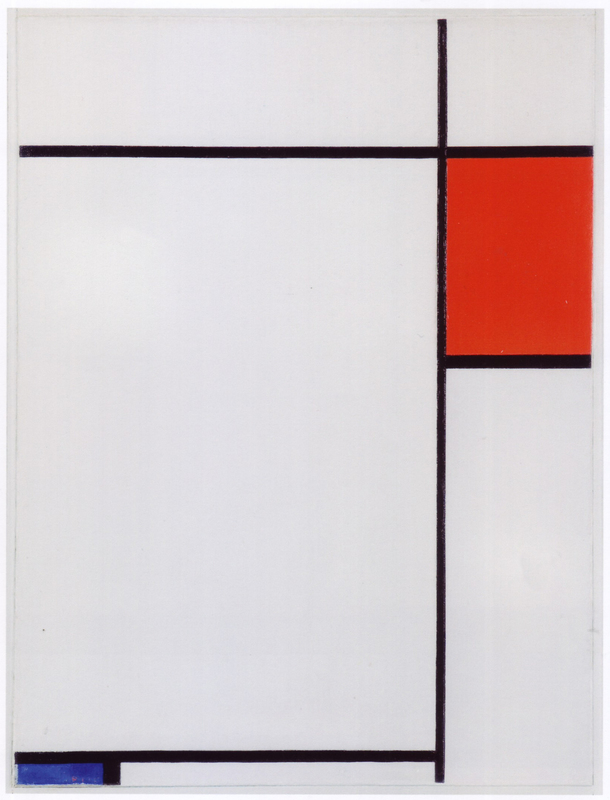 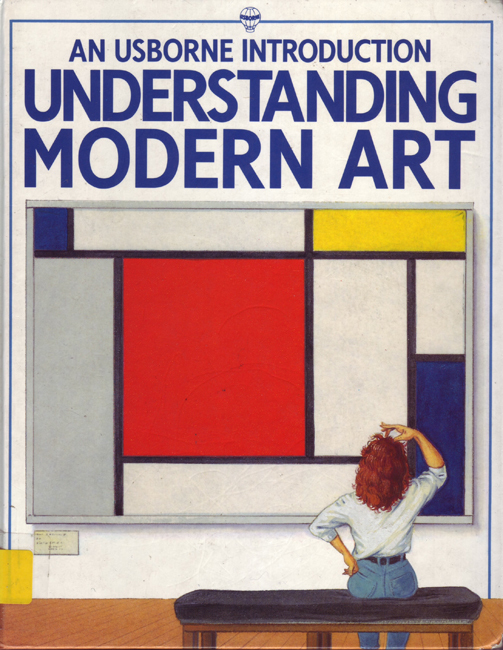 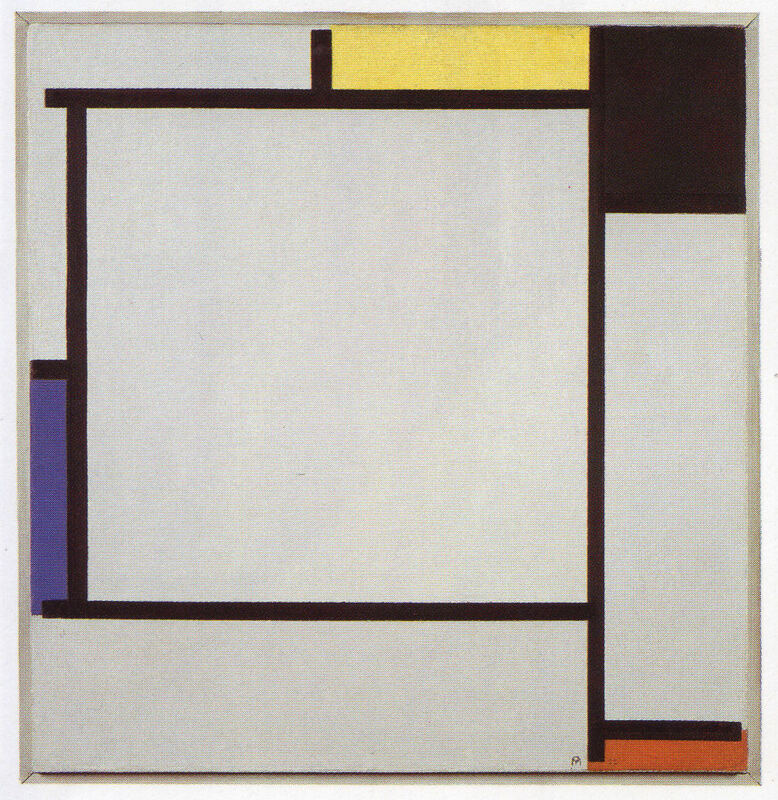 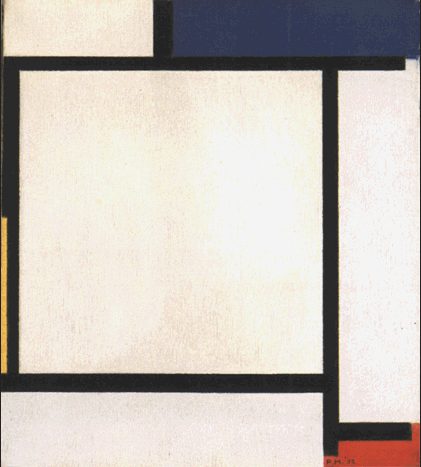 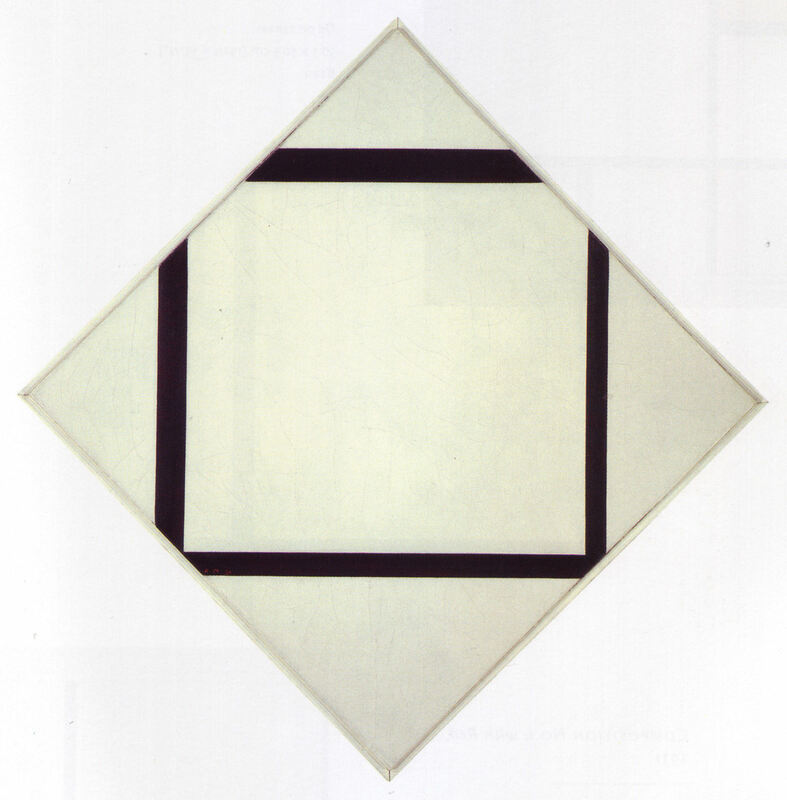 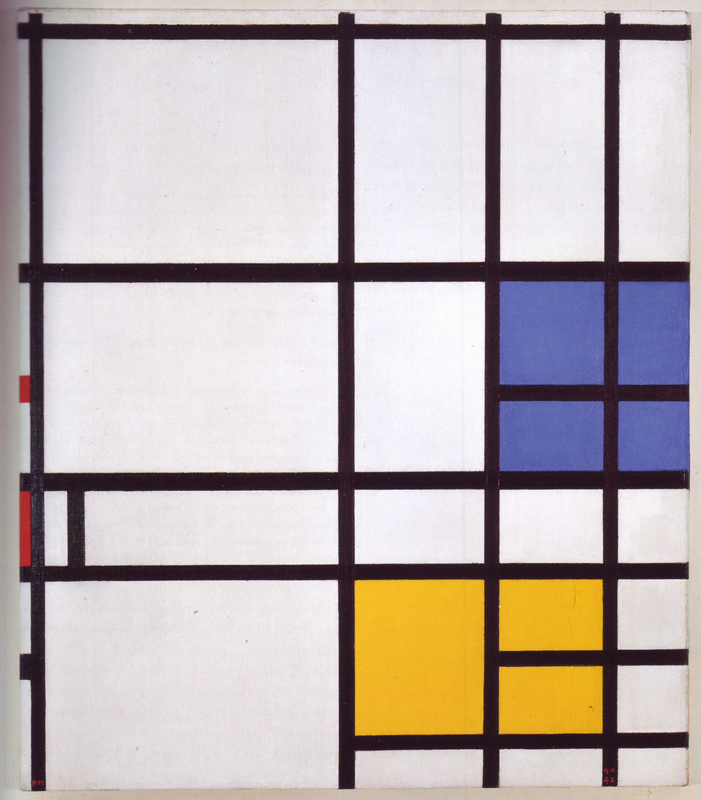 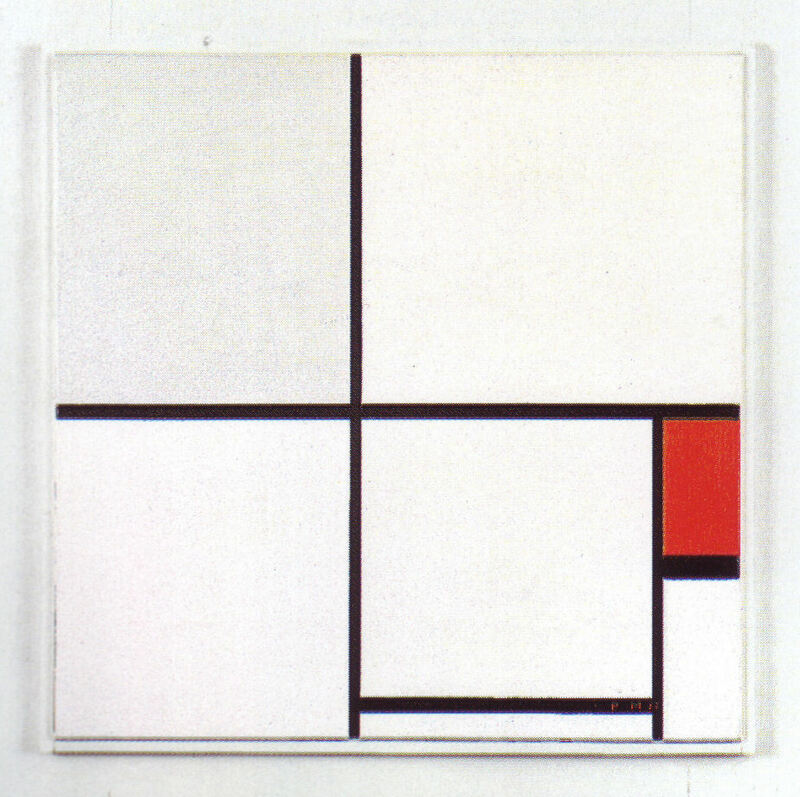 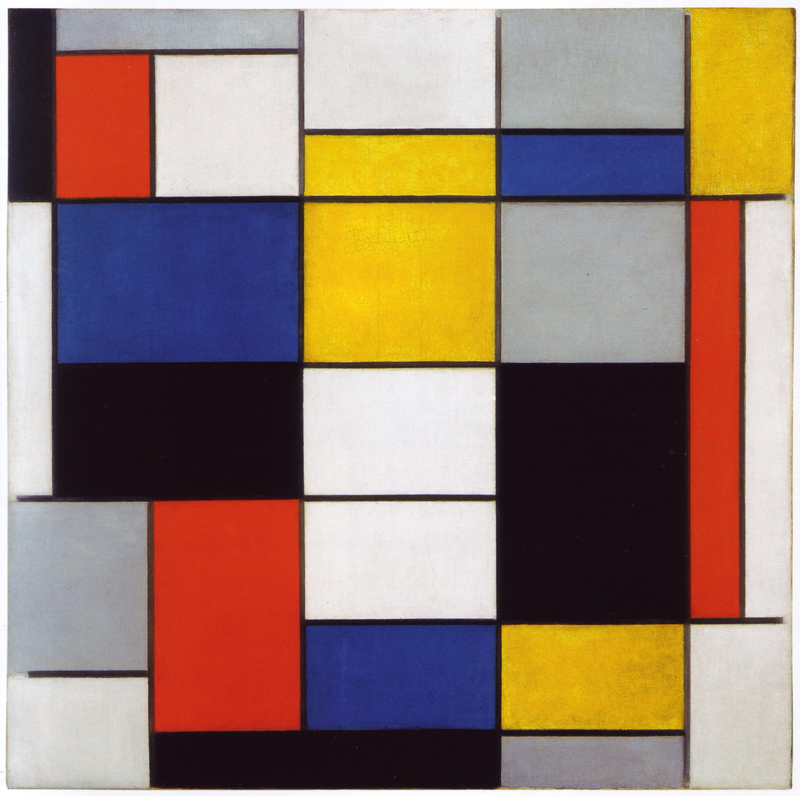 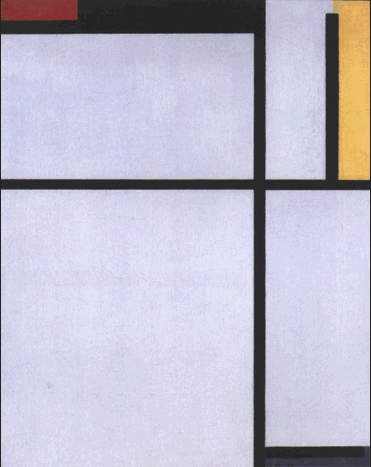 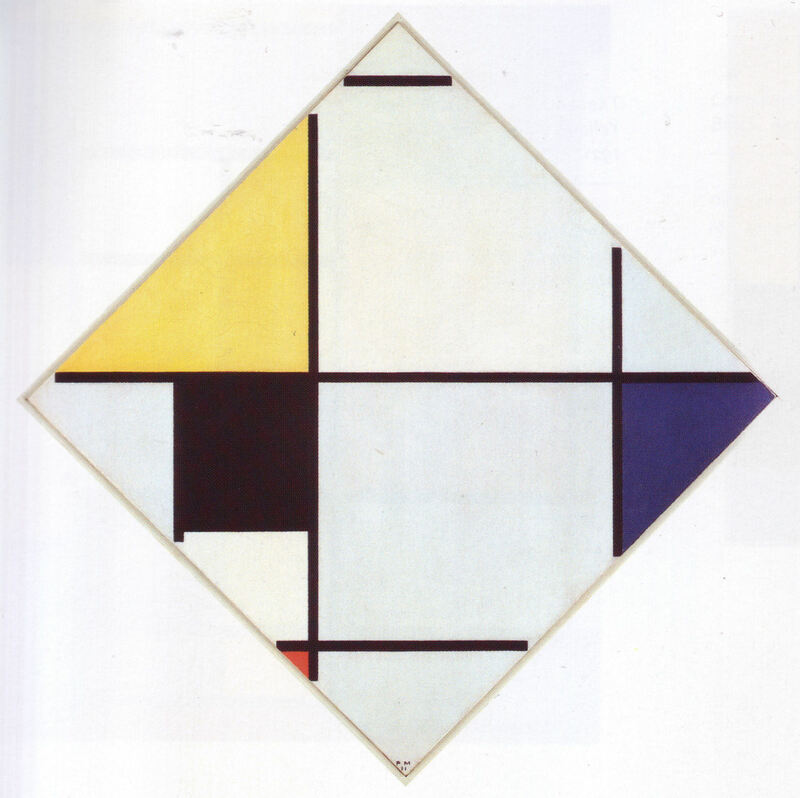 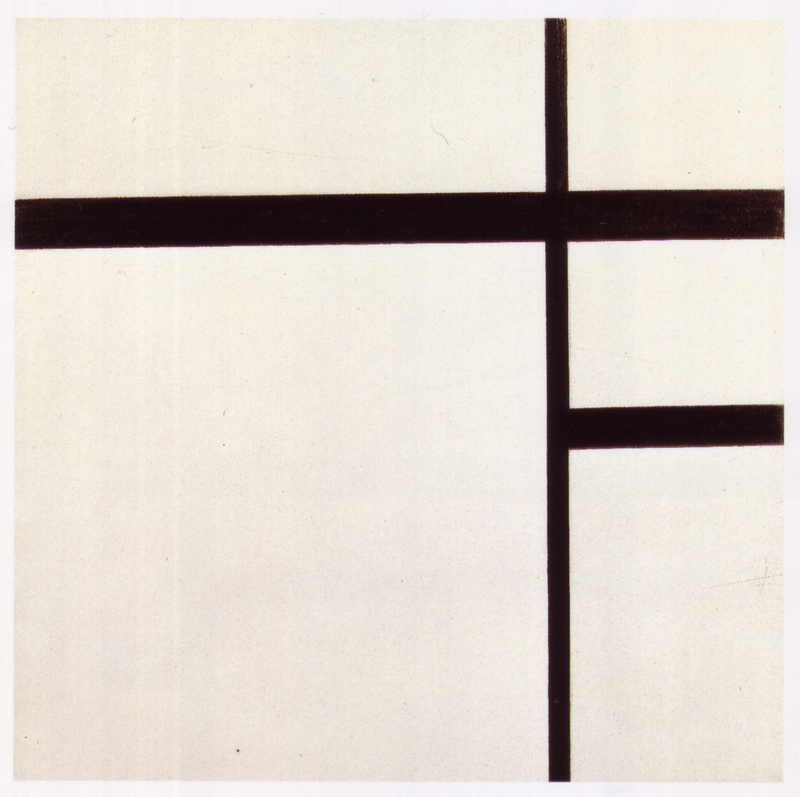 As noted on the main Mondrian pictures page, in checking the cover of Usborne's Understanding Modern Art, it occurred to me that there should be a classification of all the relevant paintings from 1920 onwards, listed by the number of primary colour planes, so the Usborne cover would be "112", i.e. 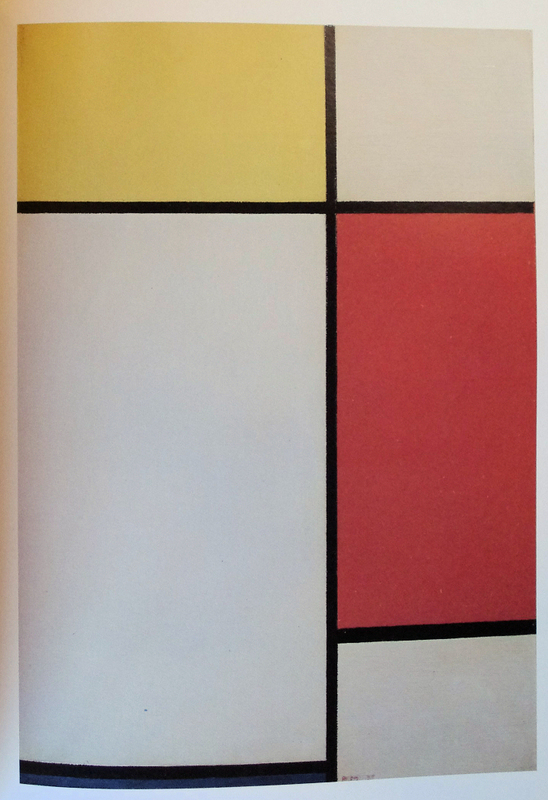 1 red, 1 yellow and 2 blues. 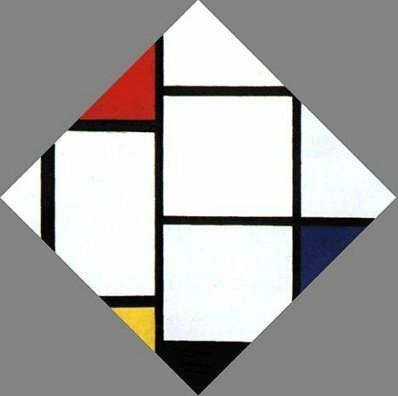 The data was assembled, including counts of black and white/grey planes and the most efficient analysis seems to be RYB plus black. 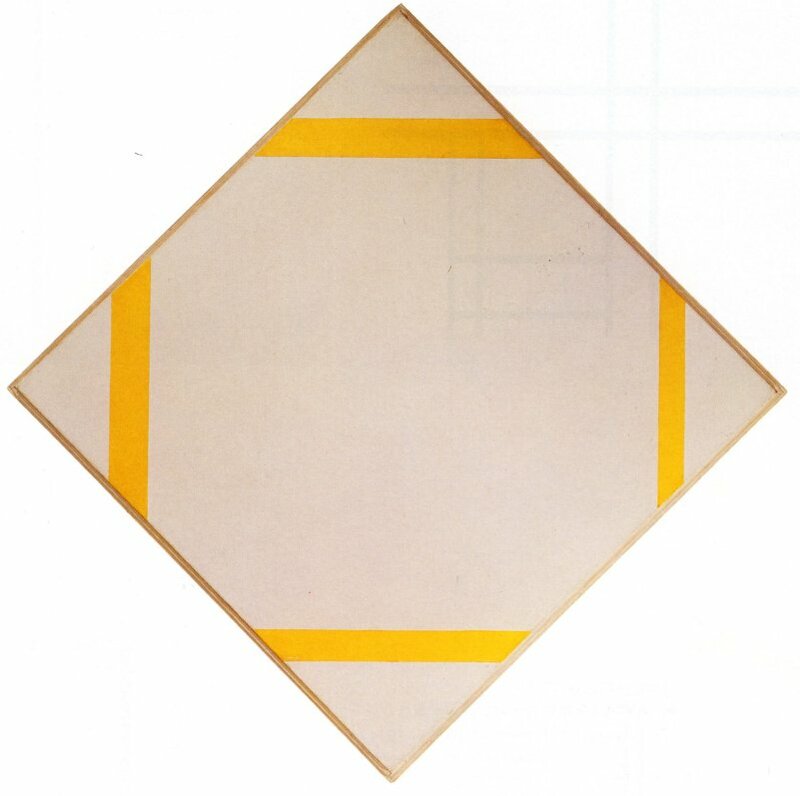 Suffixes have been added to the picture IDs to denote D(iamond), F(acsimile), R(econstruction) or U(nfinished). 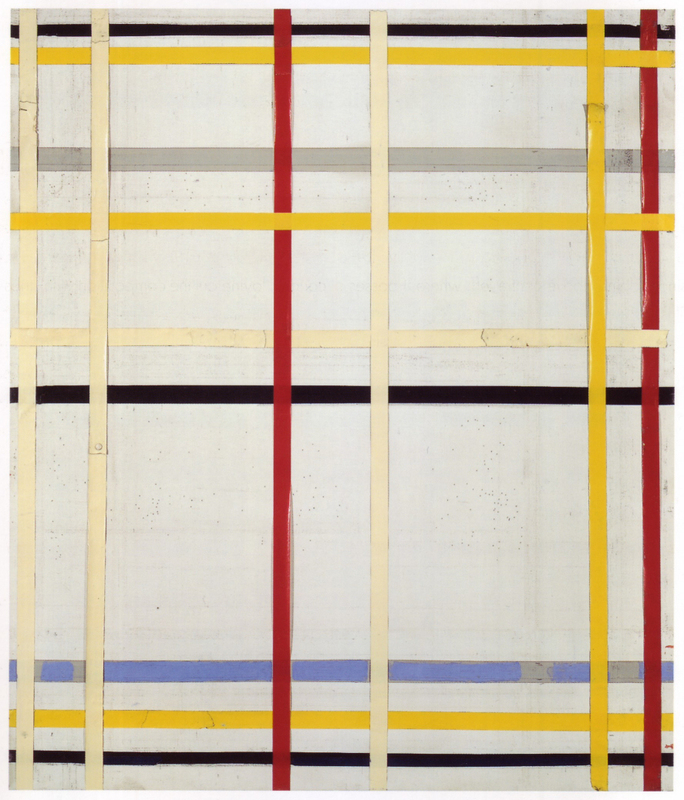 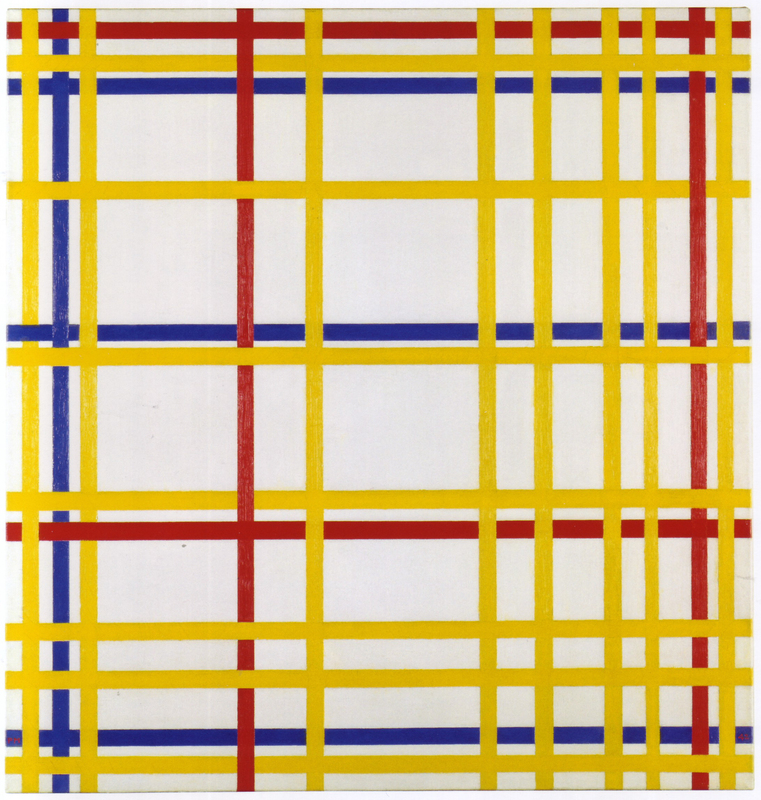 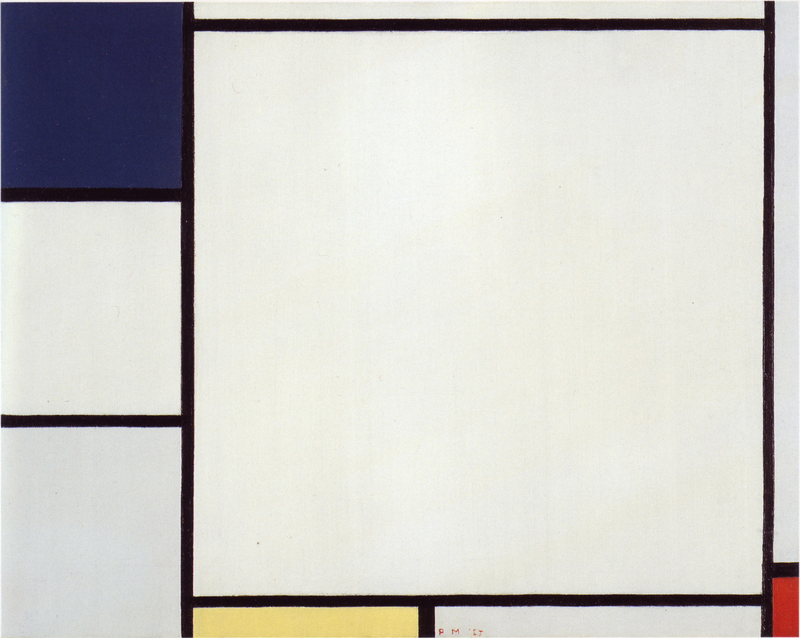 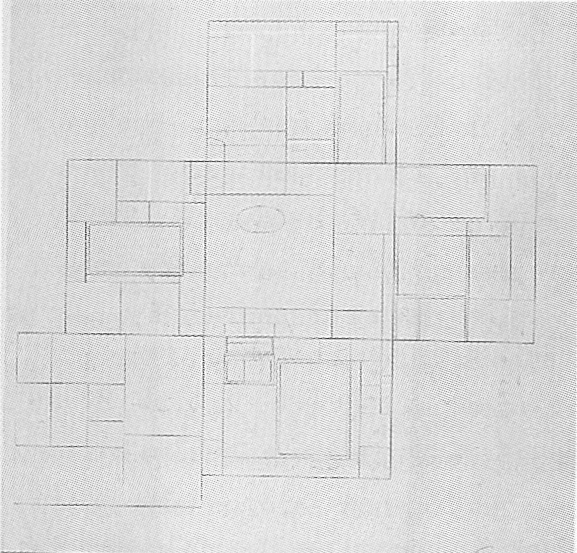 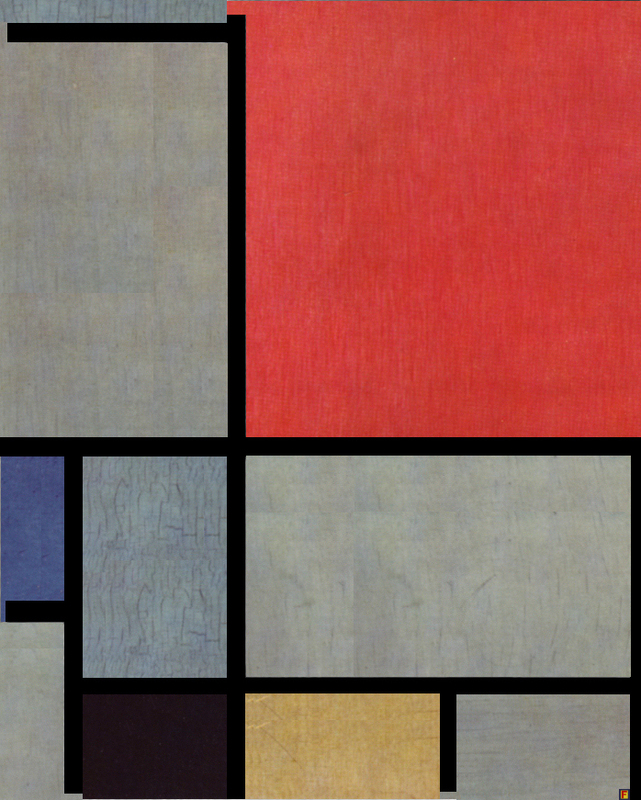 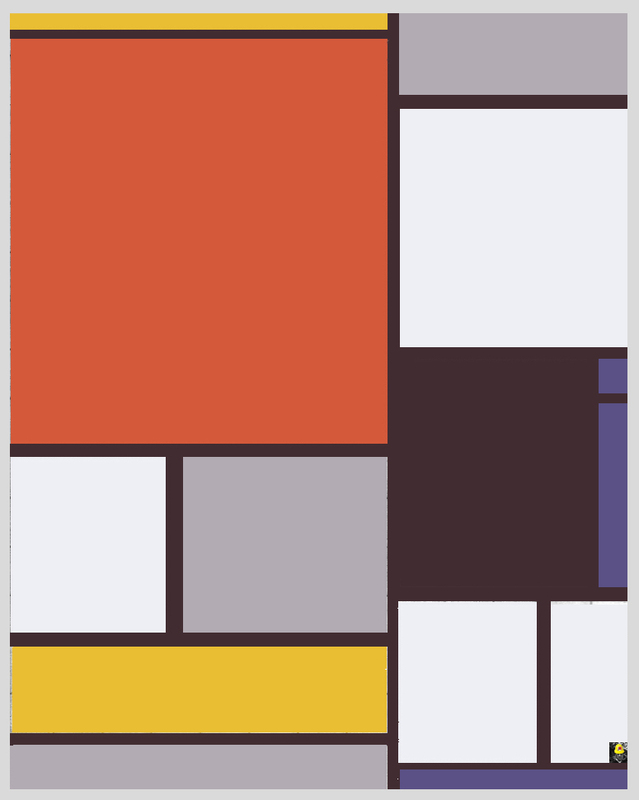 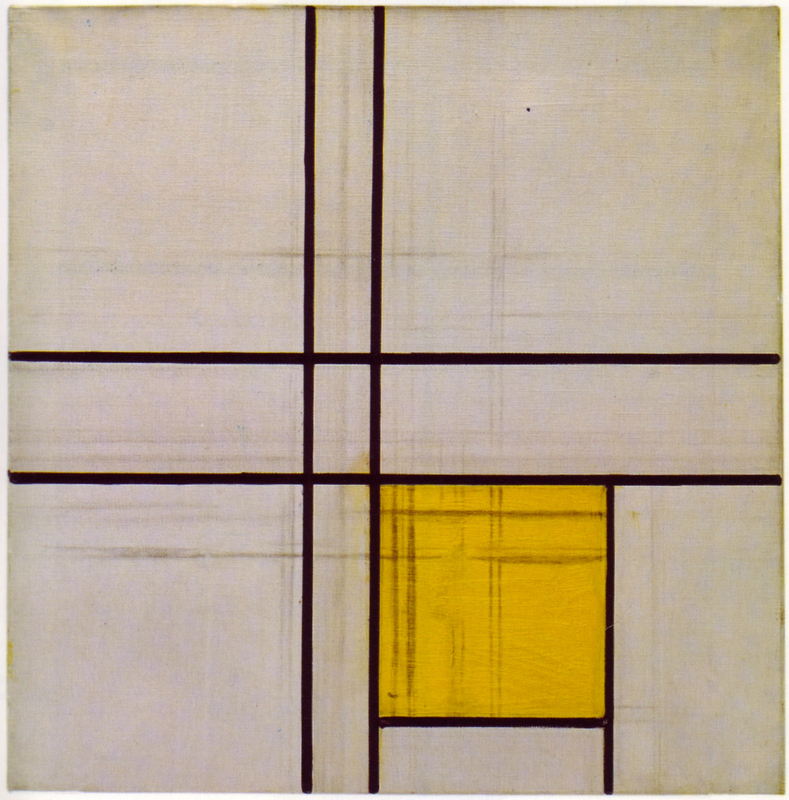 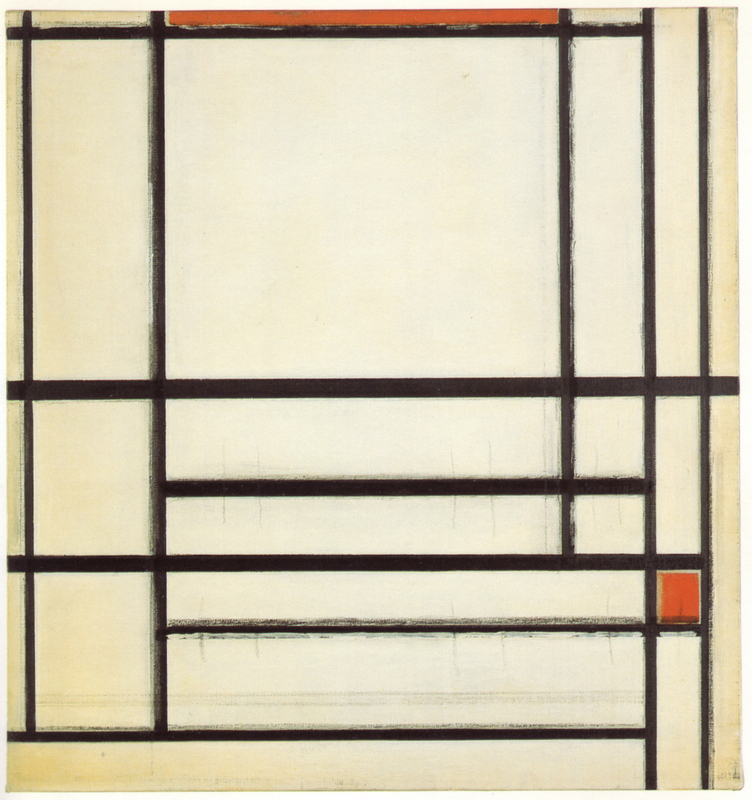 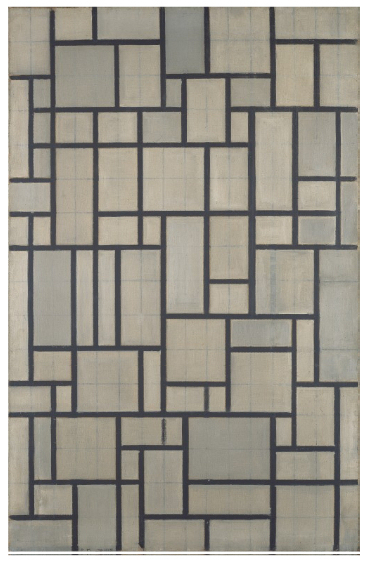 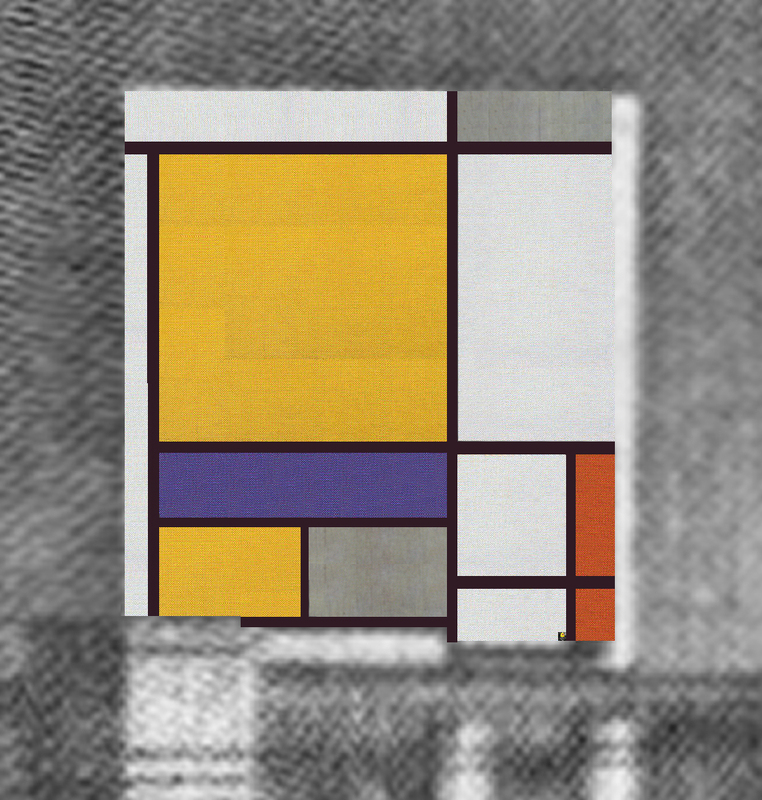 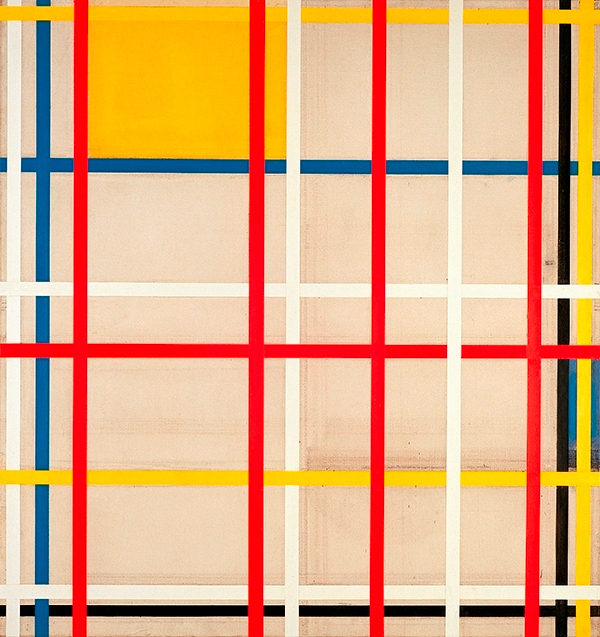 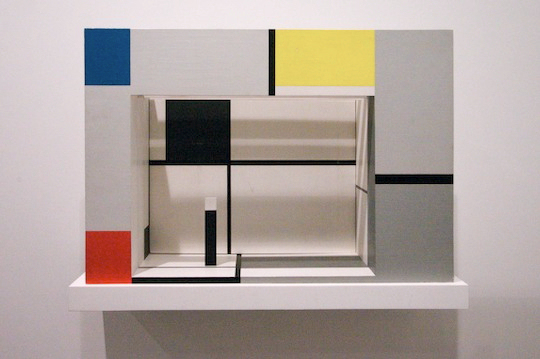 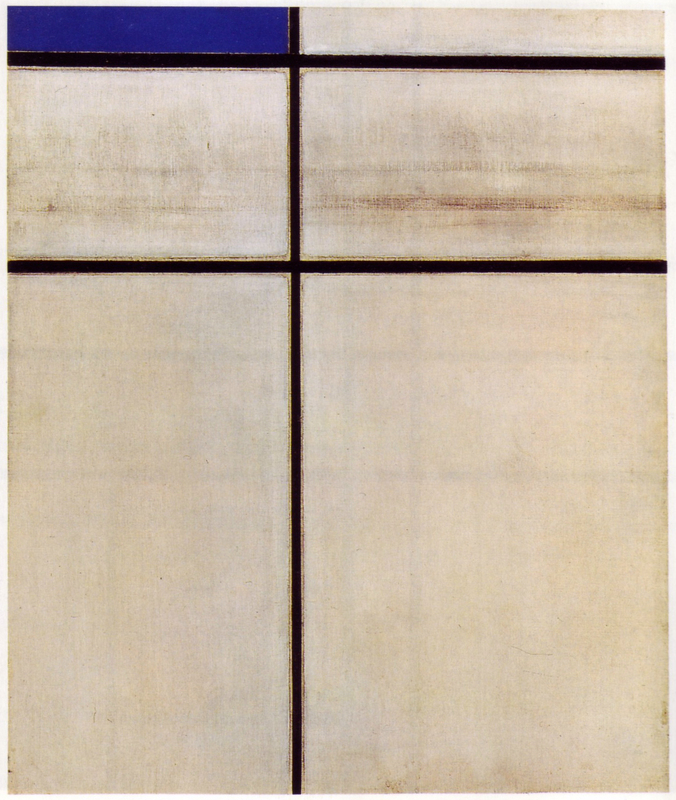 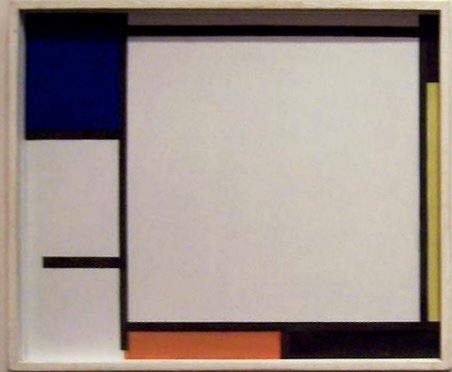 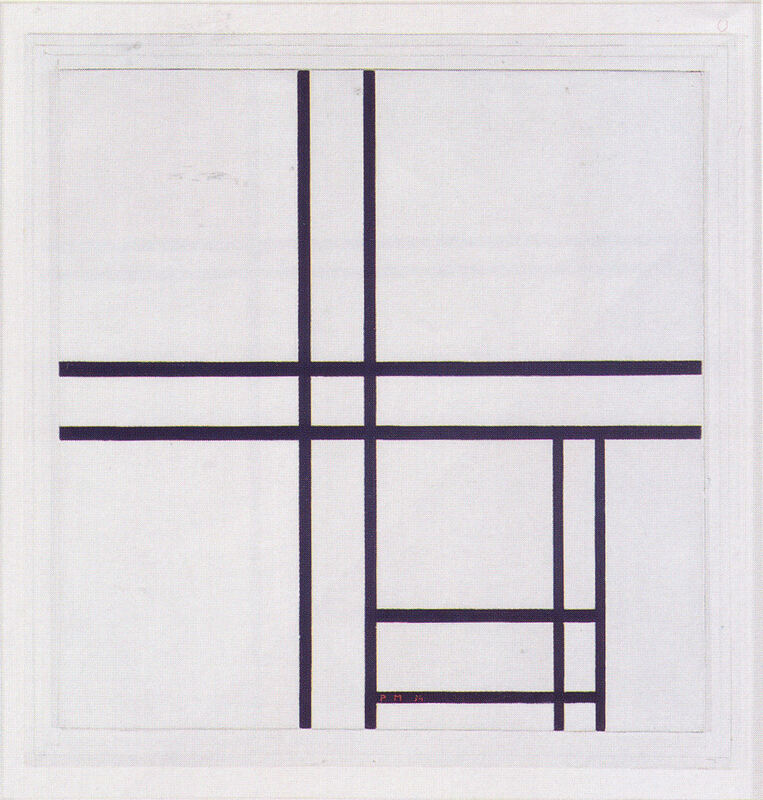 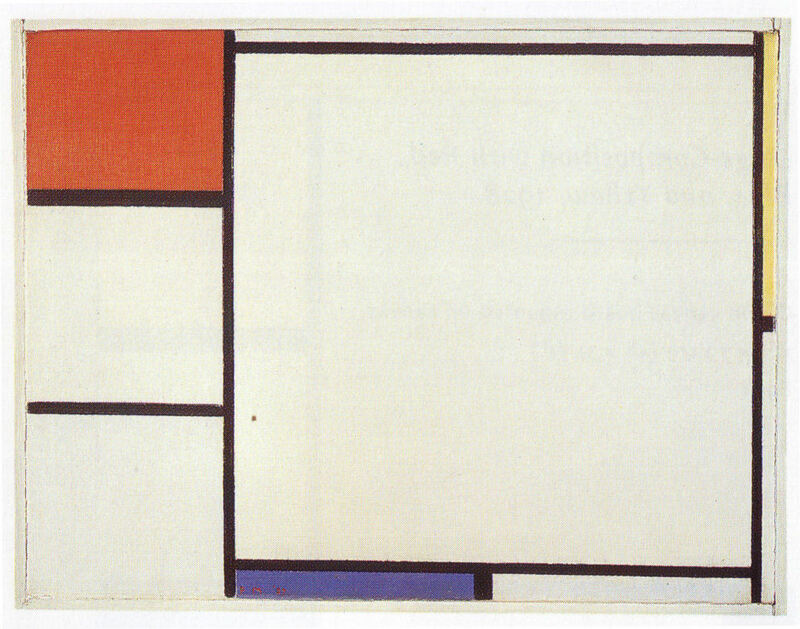 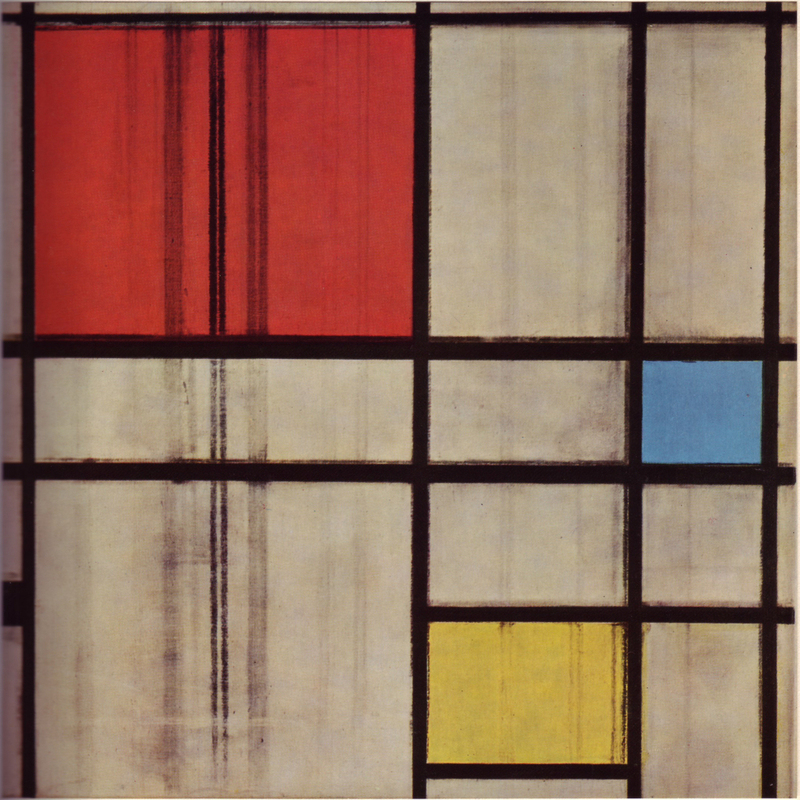 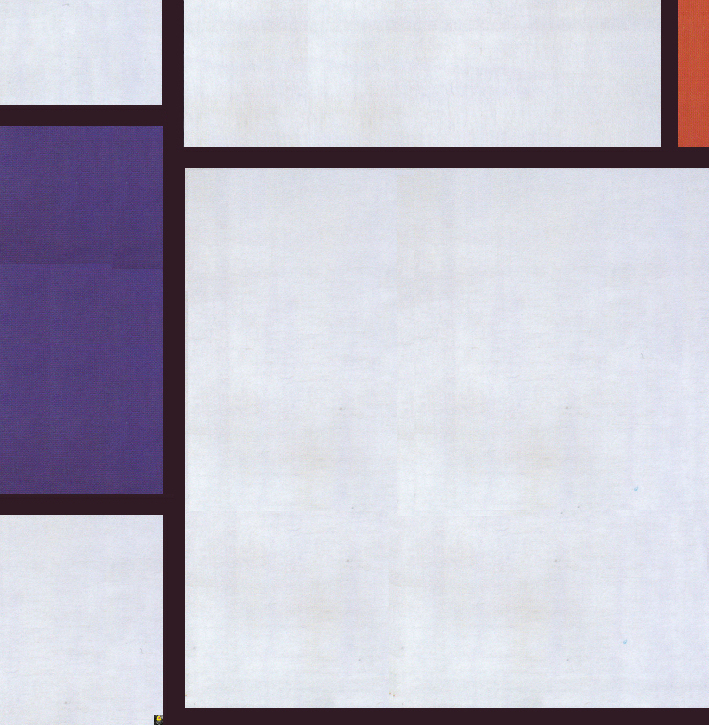 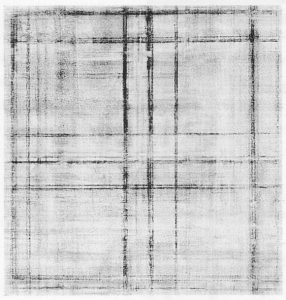 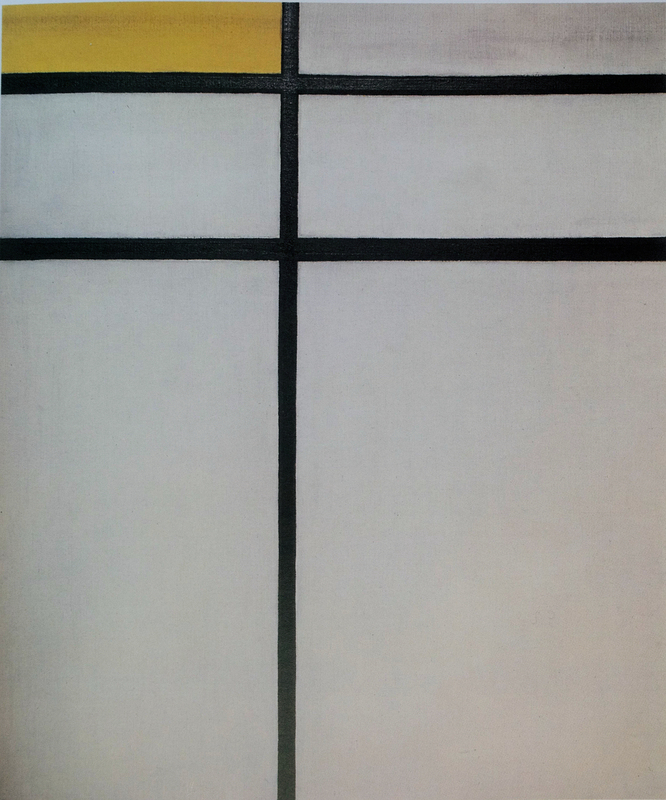 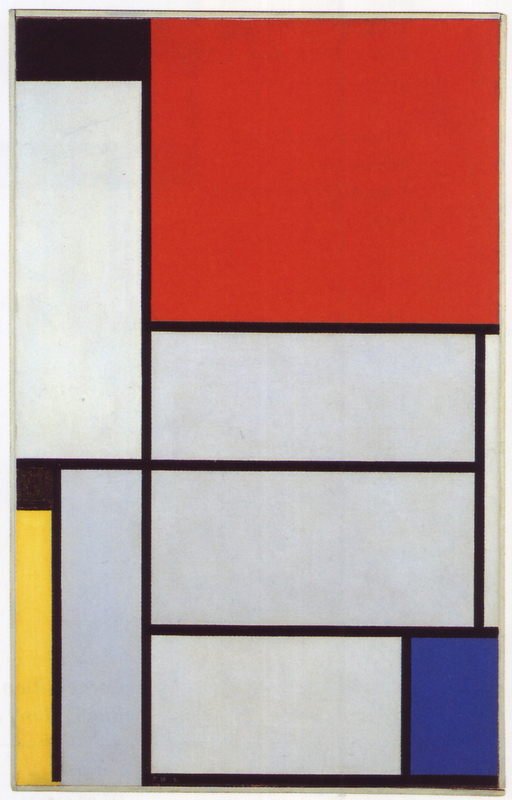 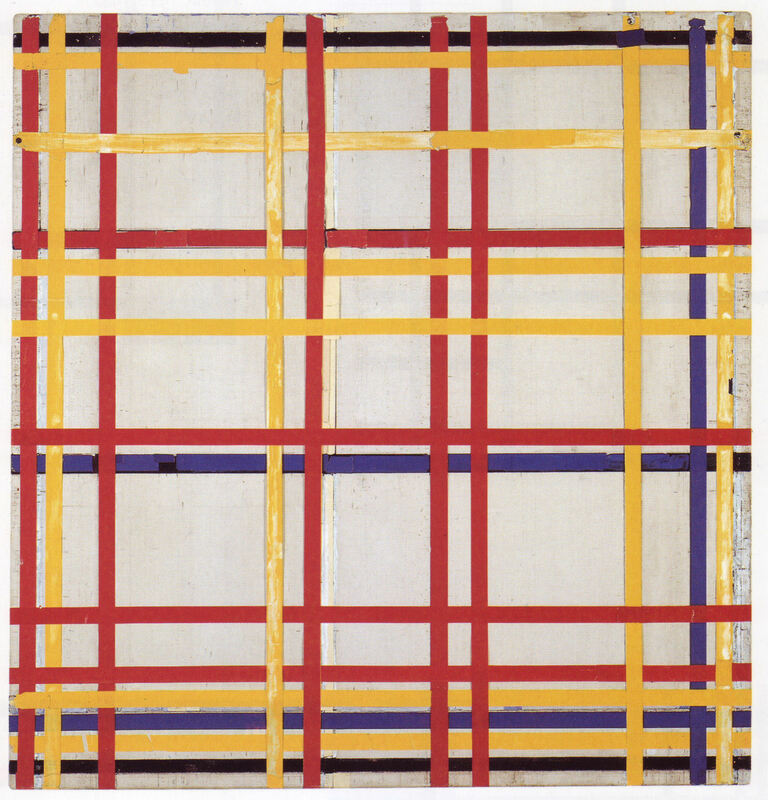 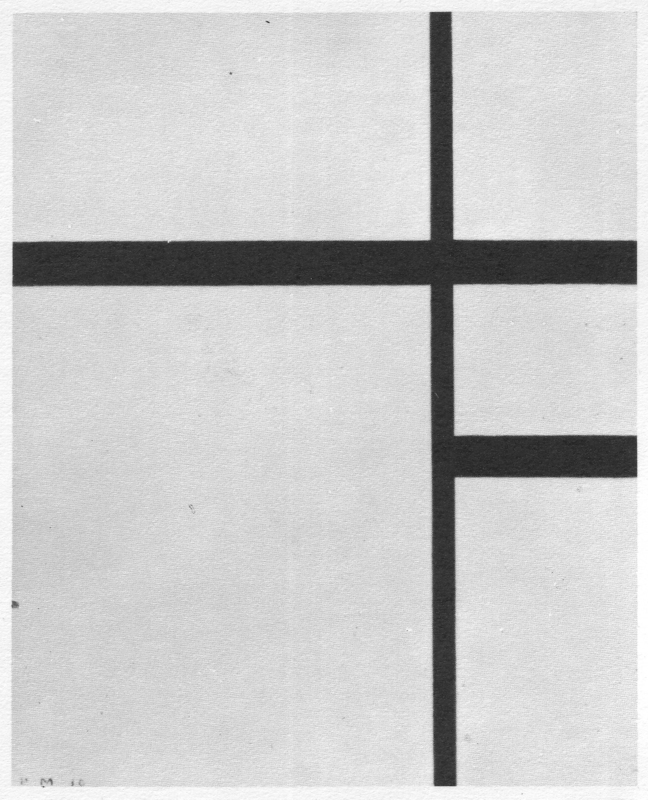 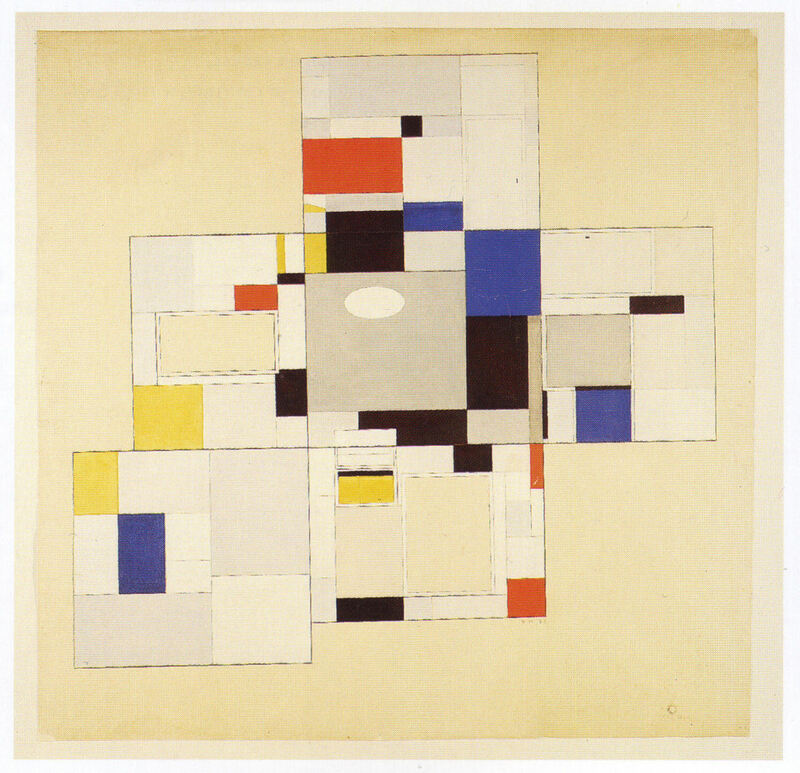 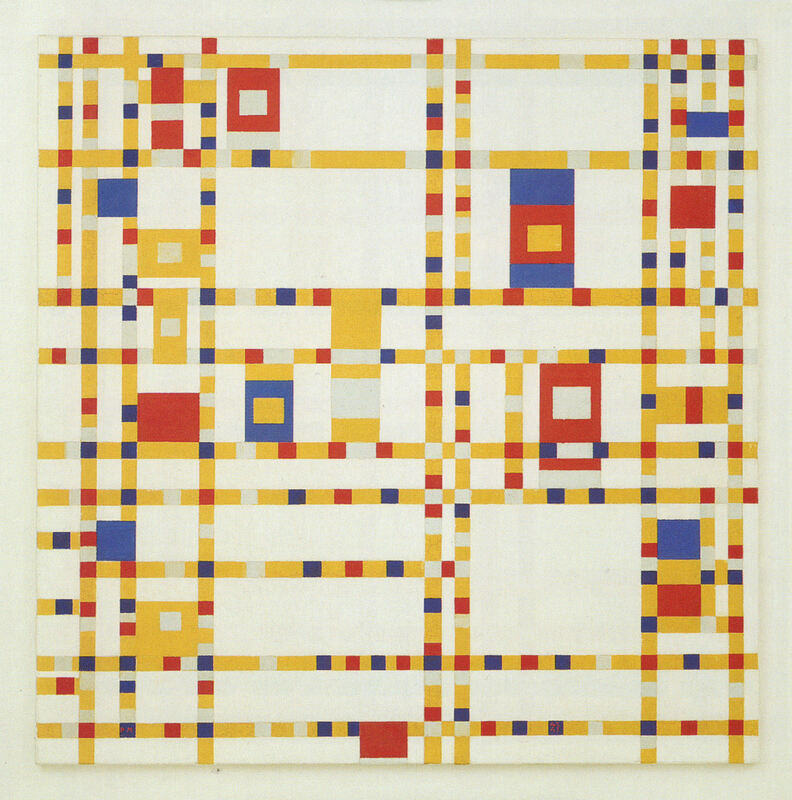 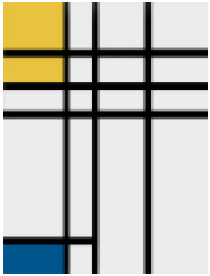 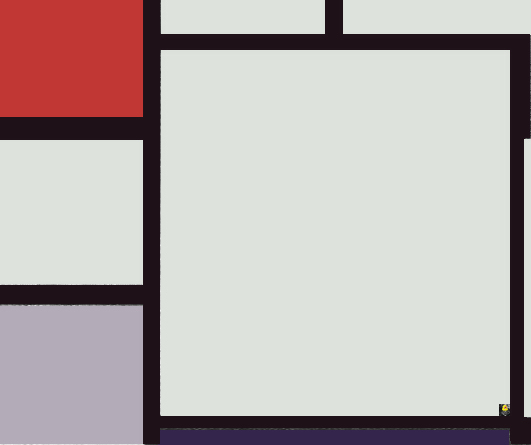 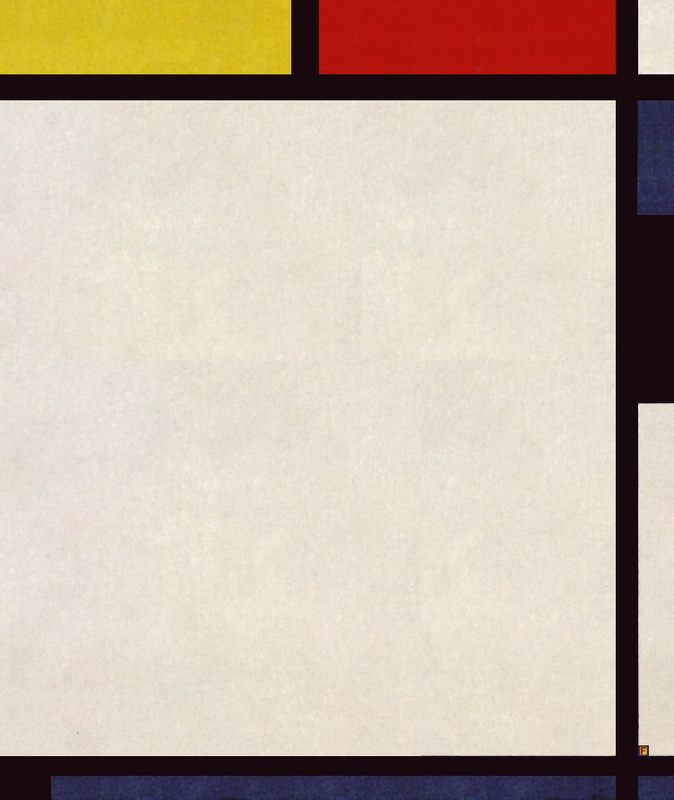 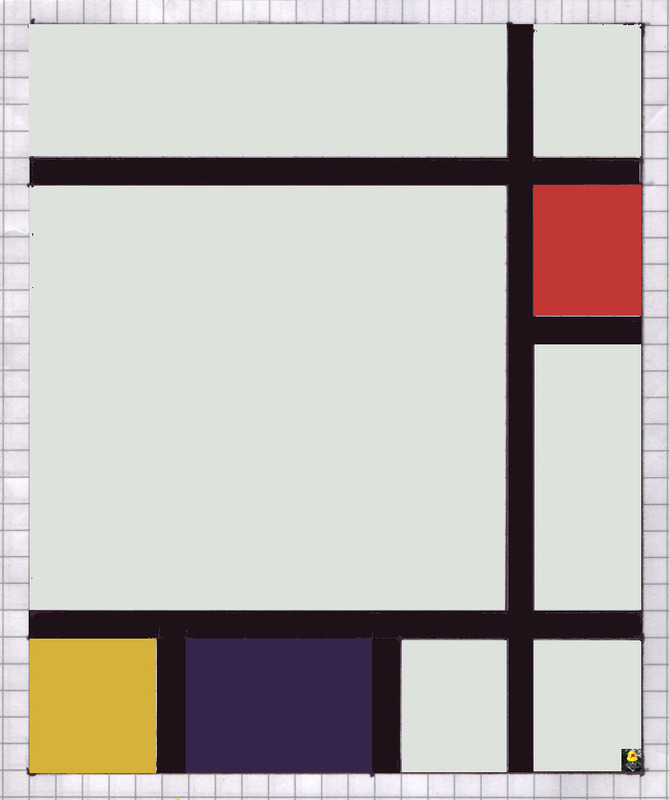 And I might call this coding system the Blackburn-Mondrian Index. 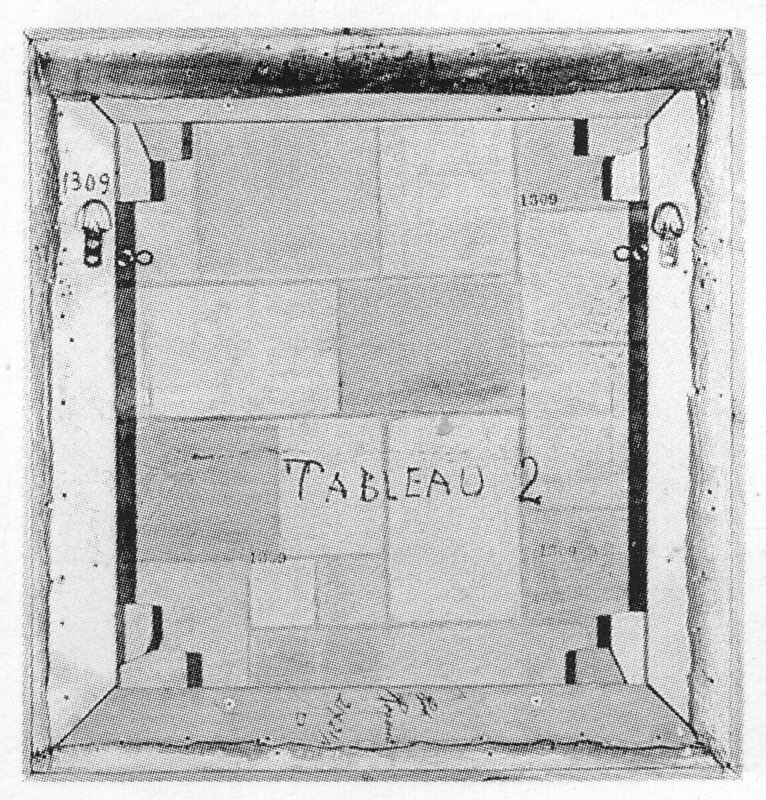 13th August 2011- Now working on v2 of the table, adding images with links to the main picture pages. 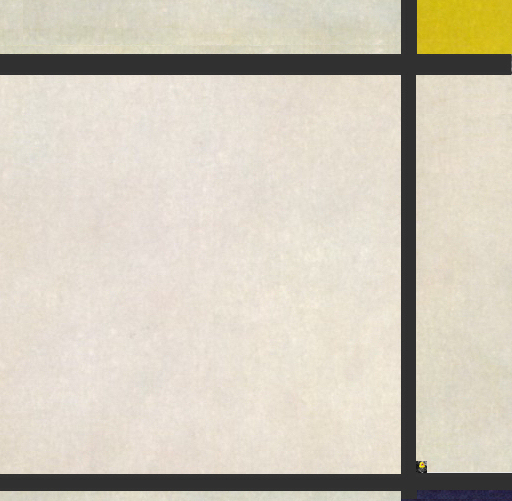 Not every picture on the main pages has an ID to link to (links seem to work only fitfully within tables), but the aim is to get the user within five images of the target - not a particularly elegant or satisfactory solution. 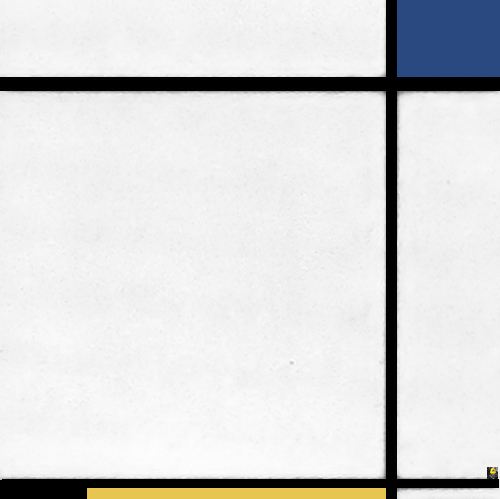 [Later...] Completed loading up the initial picture images with several mistakes found and corrected. 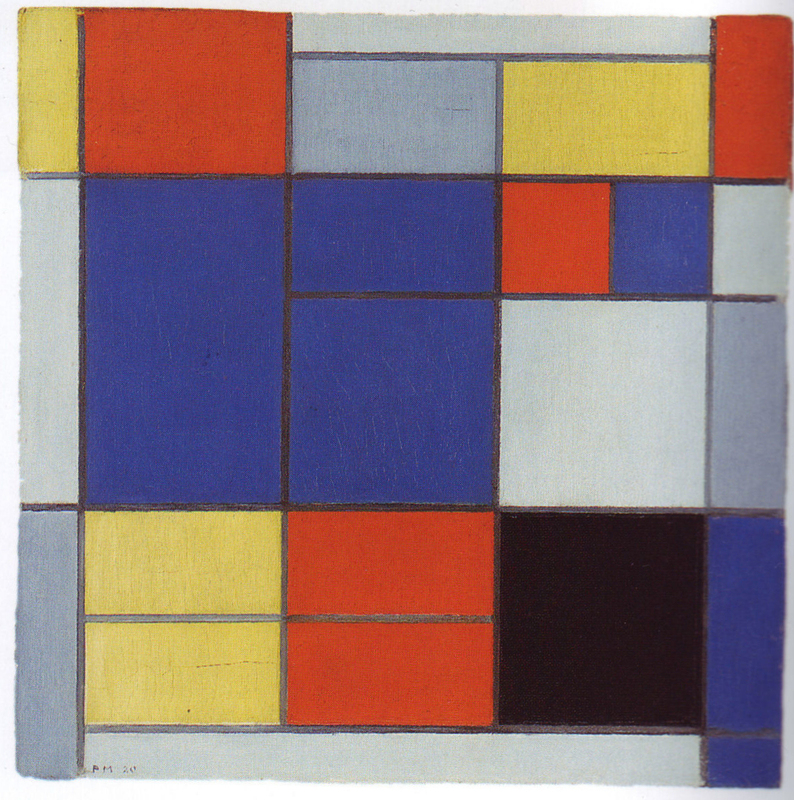 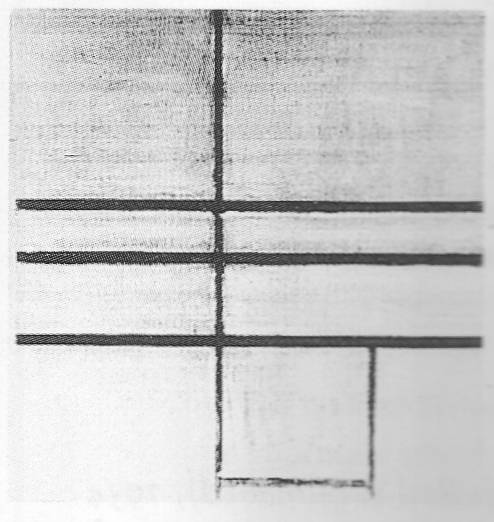 I think I will link the small images on this to page to the full image of each painting. 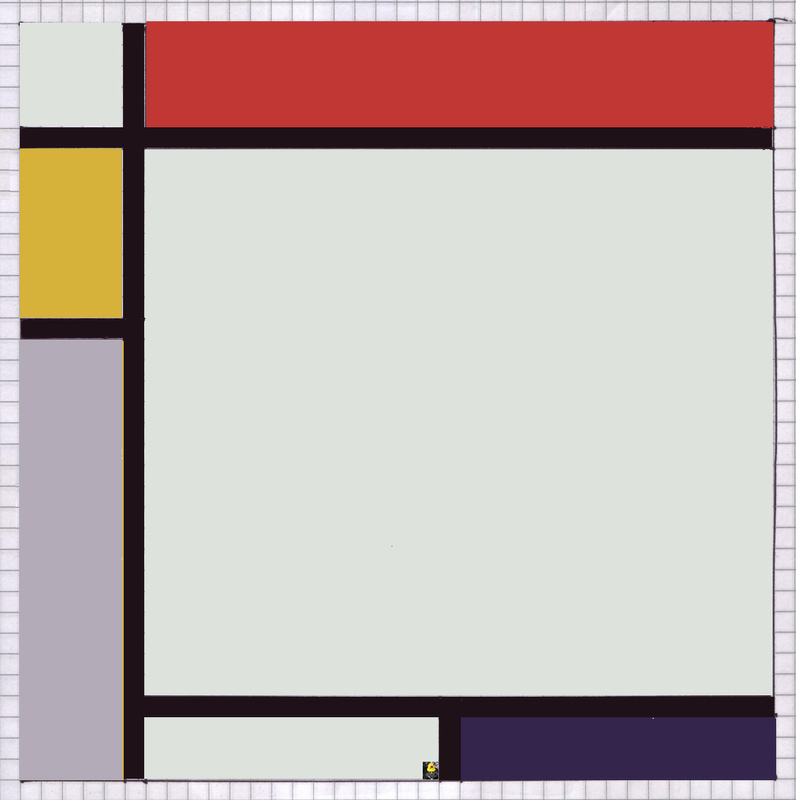 I am adding suffixes to the picture IDs to denote D(iamond), F(acsimile), R(econstruction) or U(nfinished). 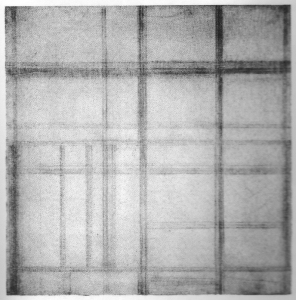 11th August 2011- In assembling the data, I included counts of black and then of white or grey planes. 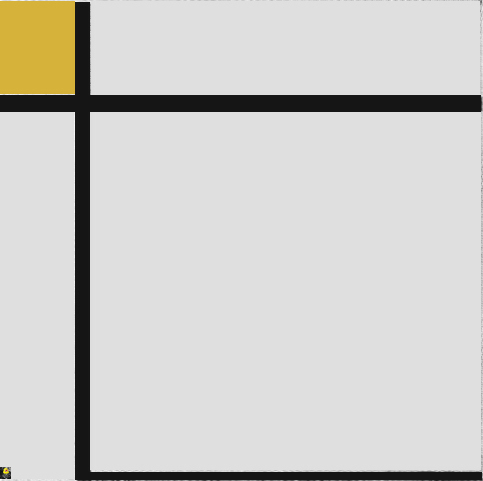 Once compiled, my first assessment is to extend the key to include black, but not white/grey. 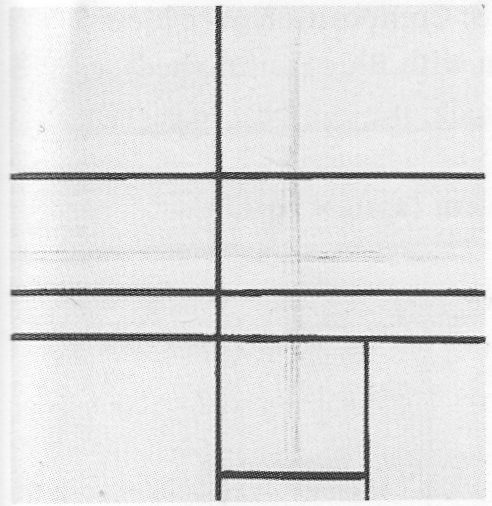 Here is the first summary, showing the work numbers but no images. 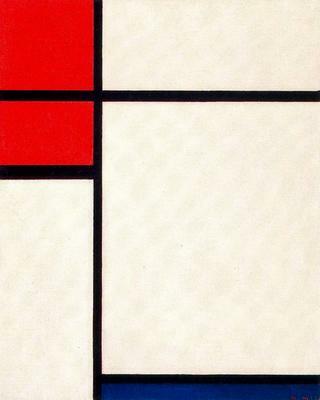 As usual, I start with B104 from 1920. 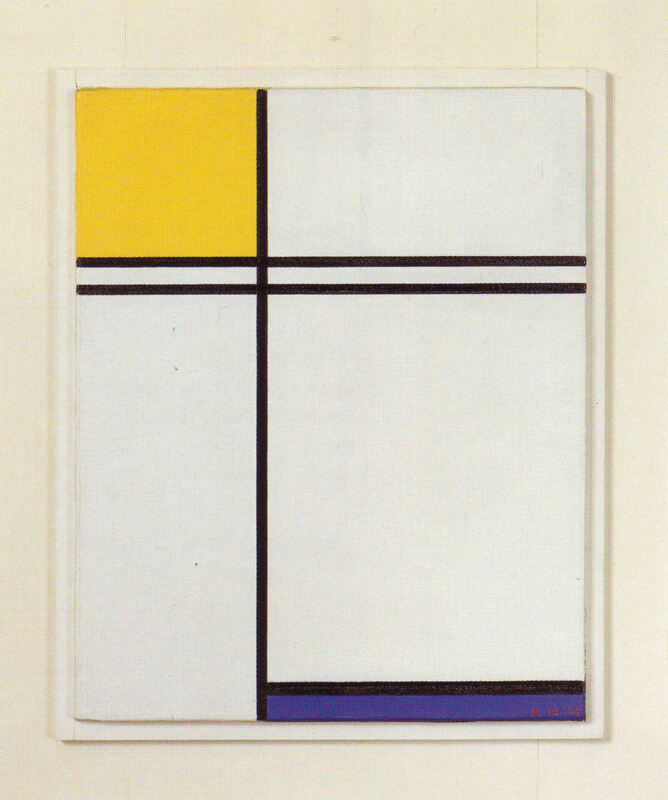 9th August - 2011 As noted on the main Mondrian pictures page, in checking the cover of Usborne's Understanding Modern Art it occurred to me that there should be a classification of all the relevant paintings from 1920 onwards, listed by the number of primary colour planes, so the Usborne cover would be "112", i.e. 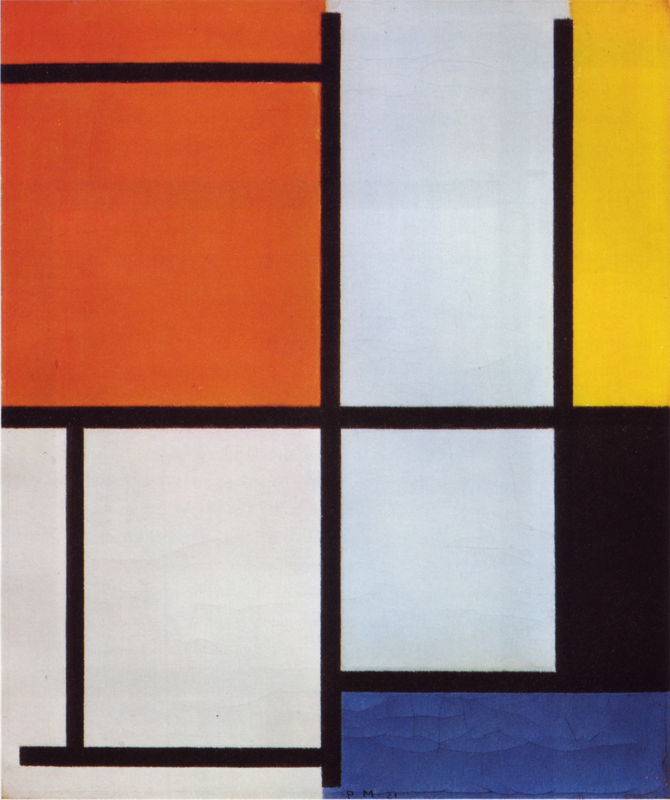 1 red, 1 yellow and 2 blues. 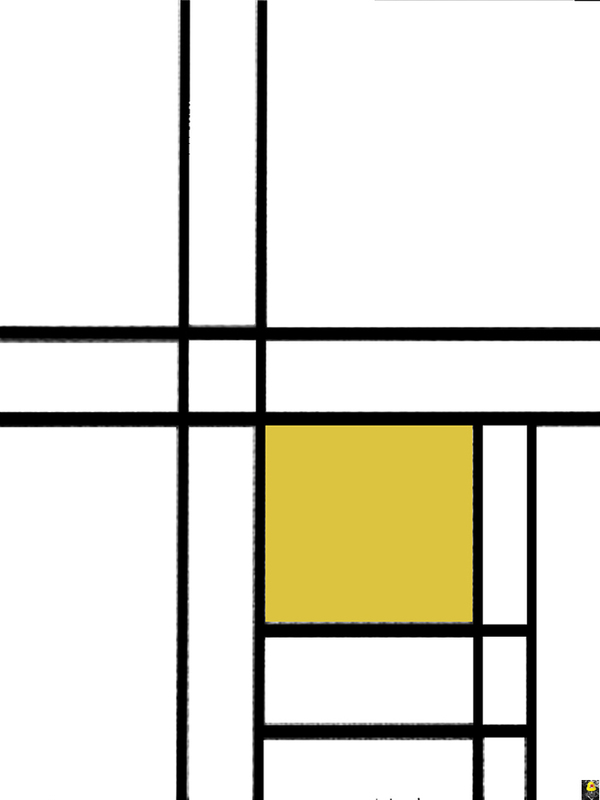 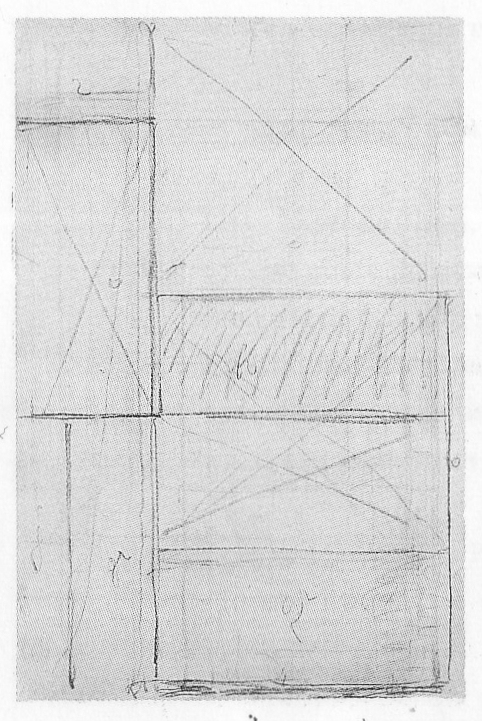 It might be necessary to consider lines and planes of other colours (grey and white), but I'll try the RYB first.